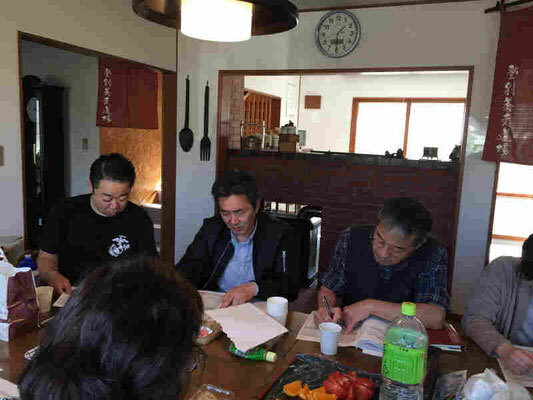 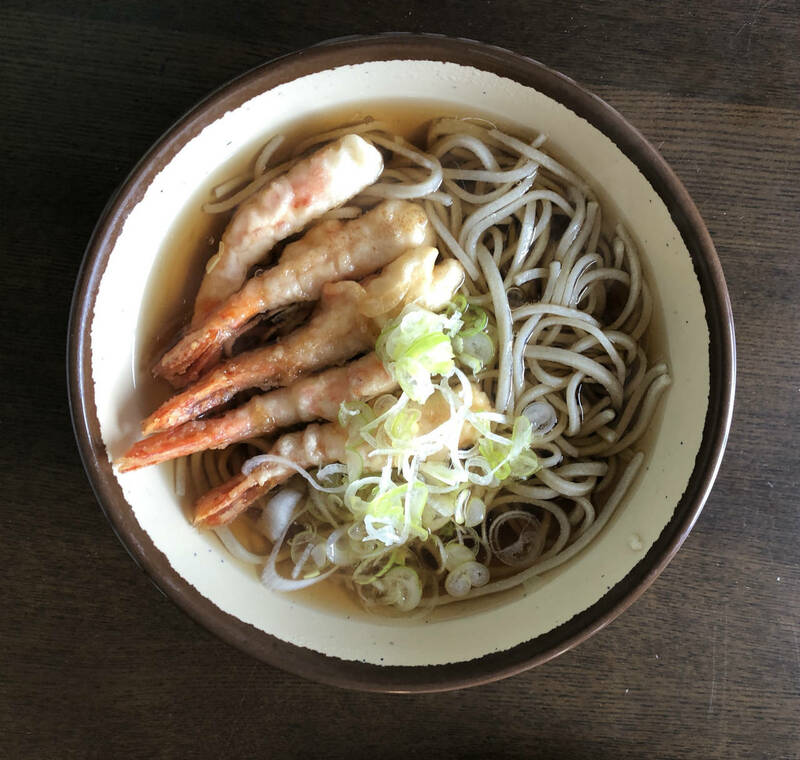 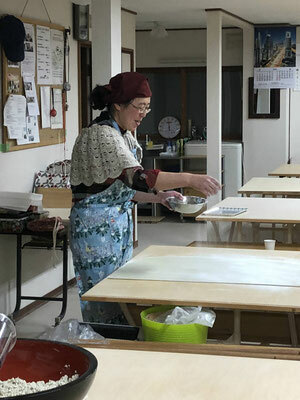 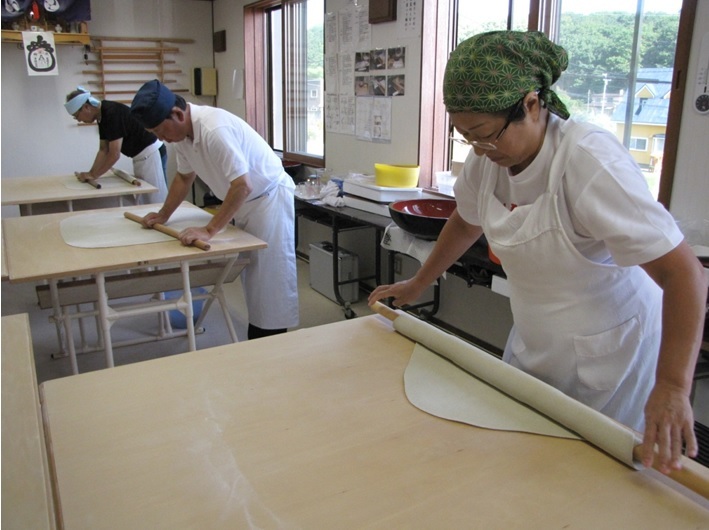 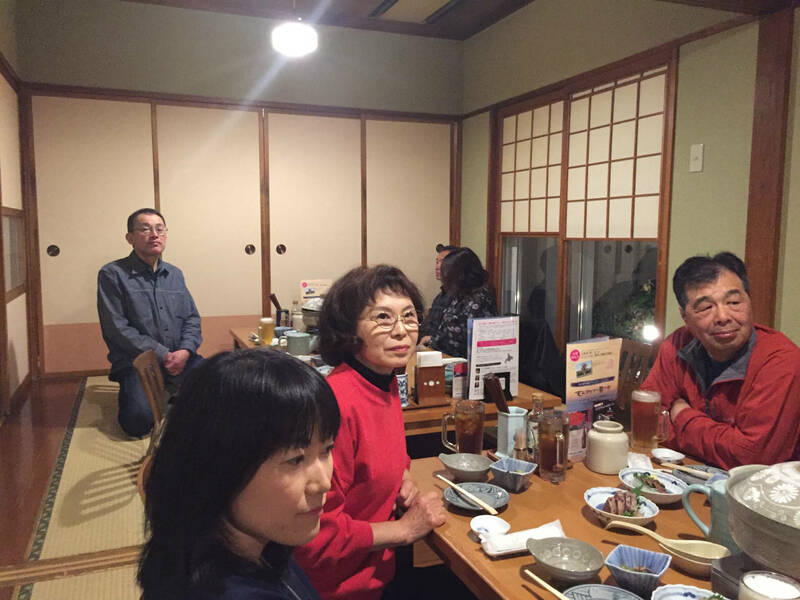 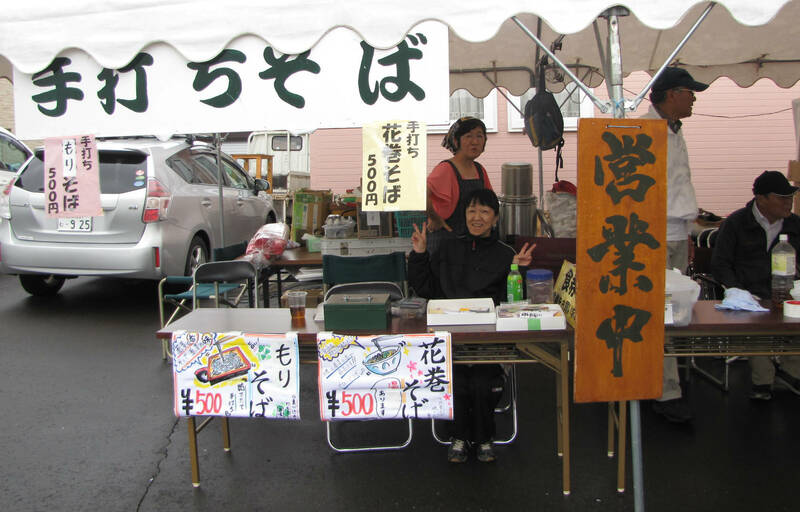 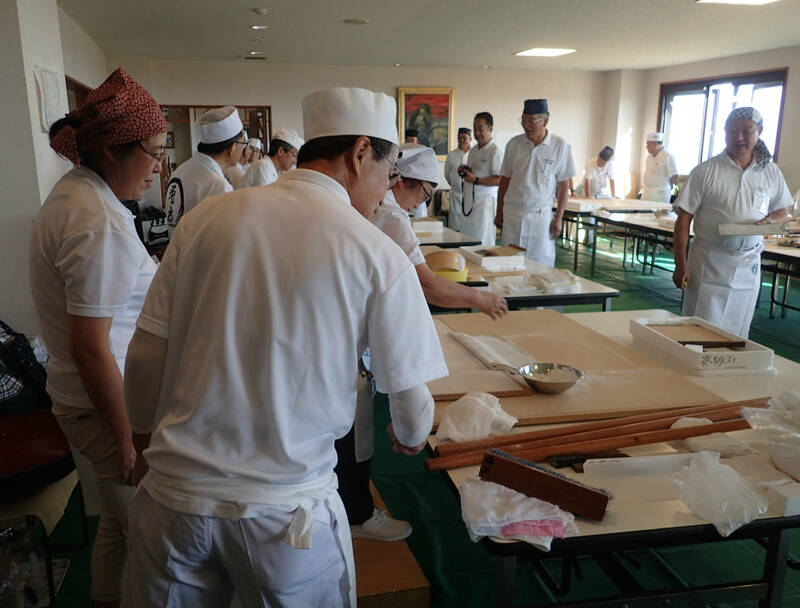 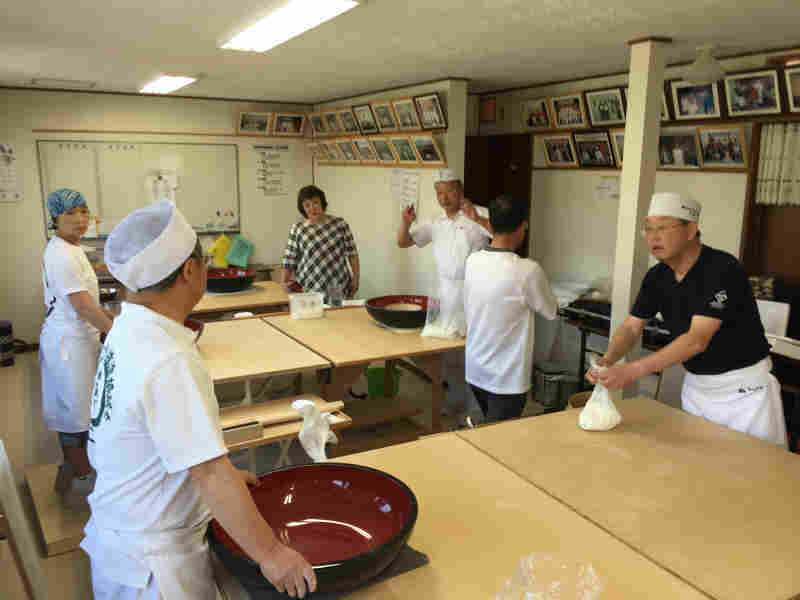 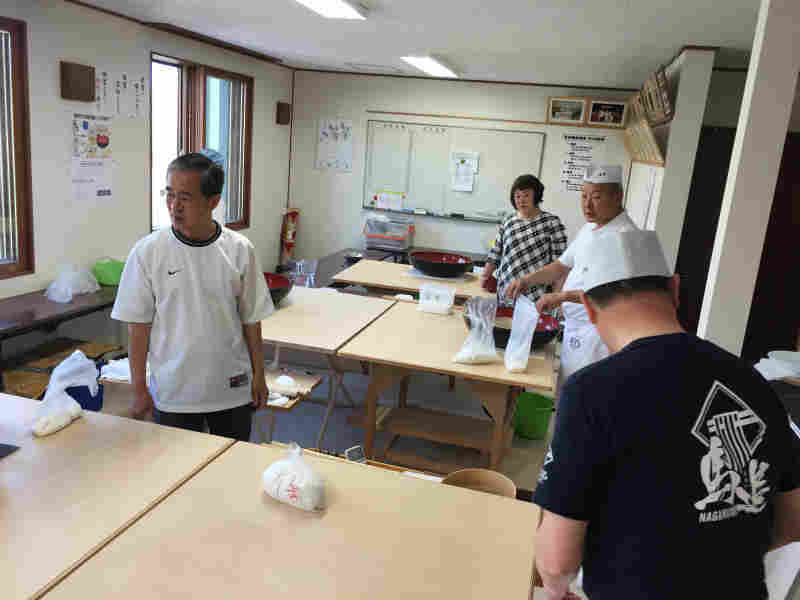 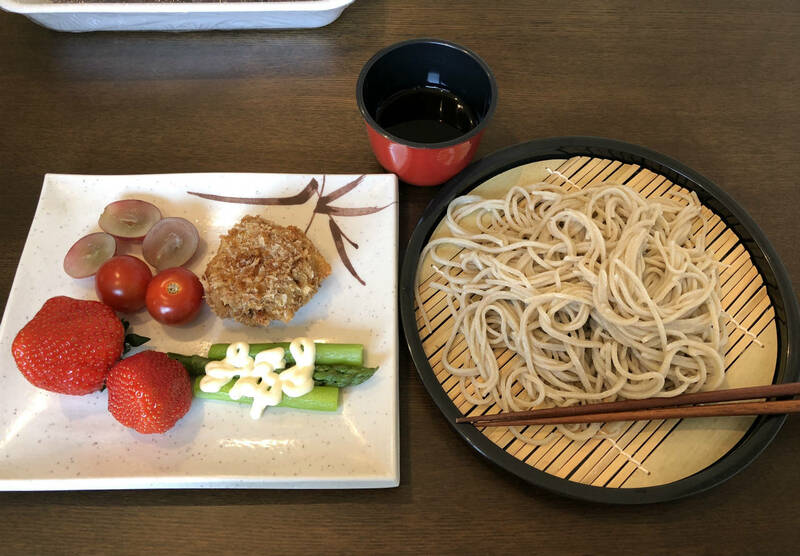 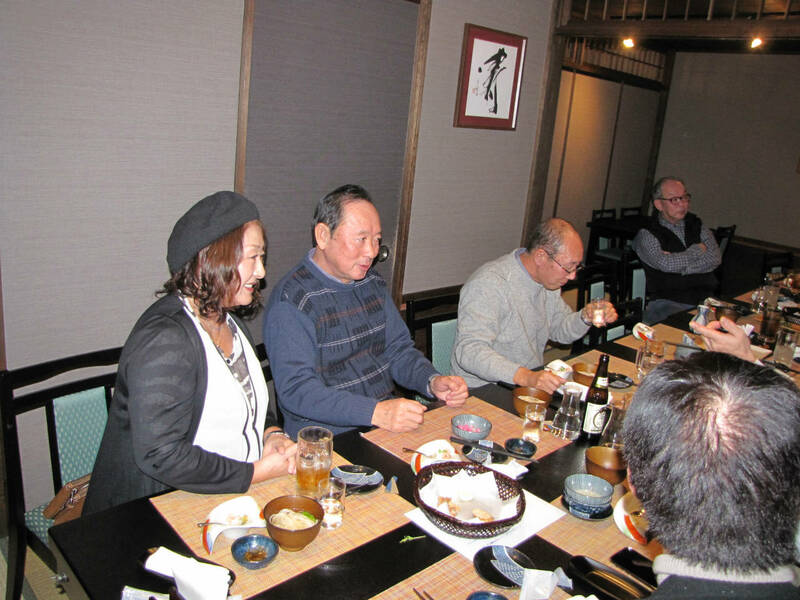 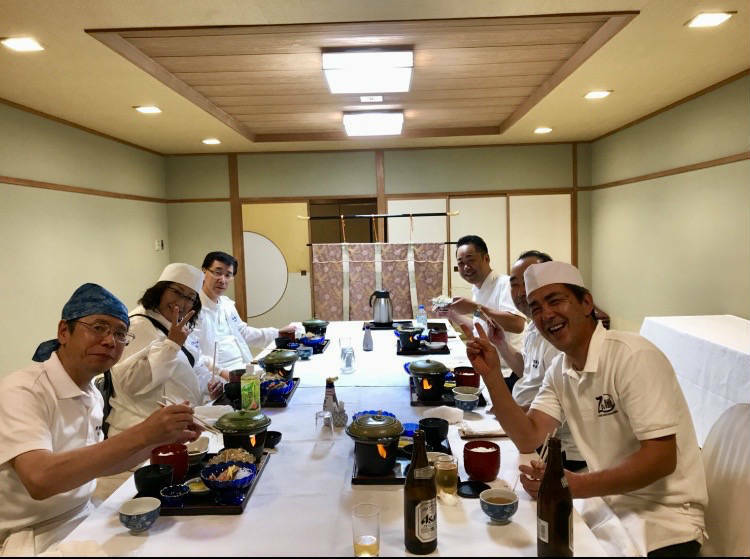 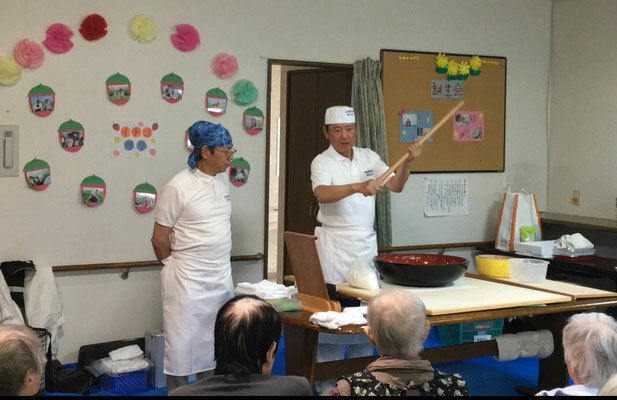 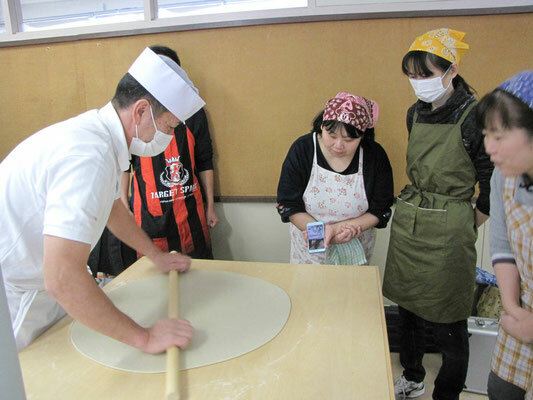 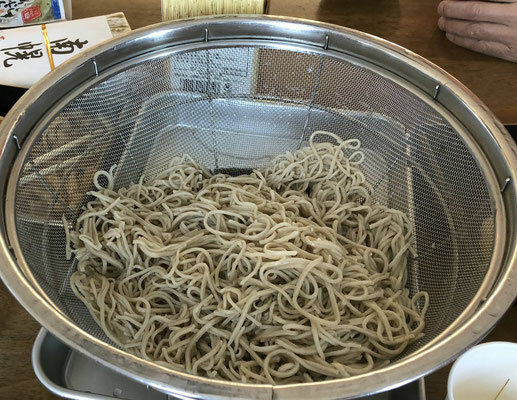 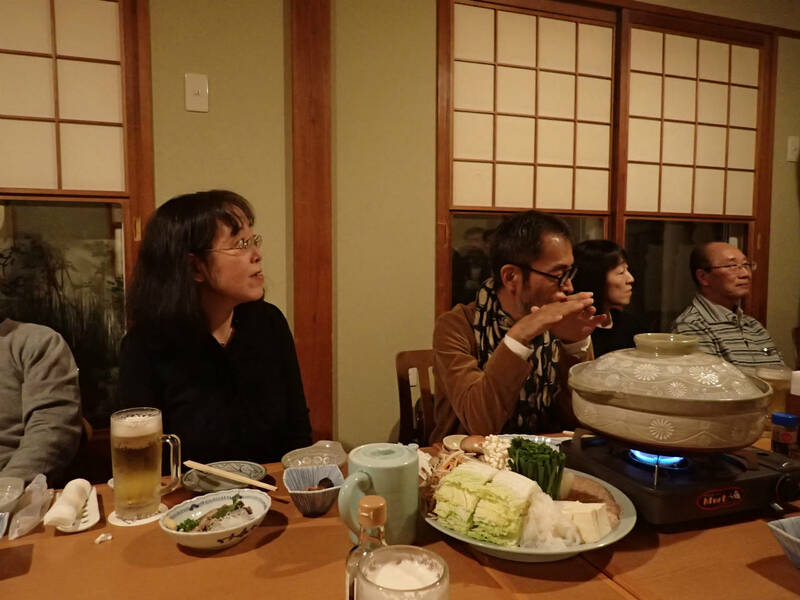 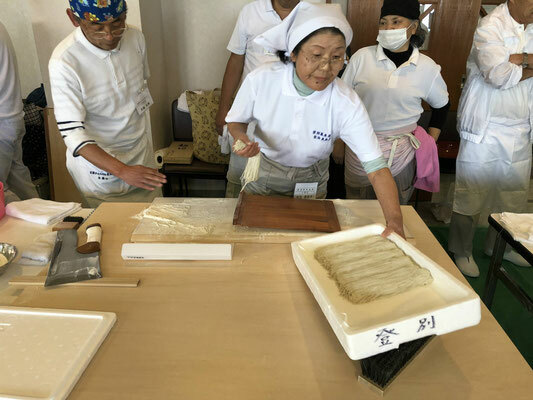 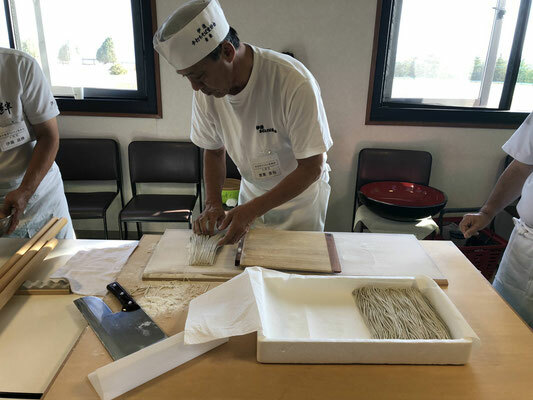 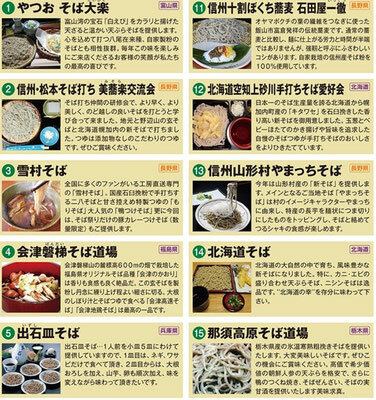 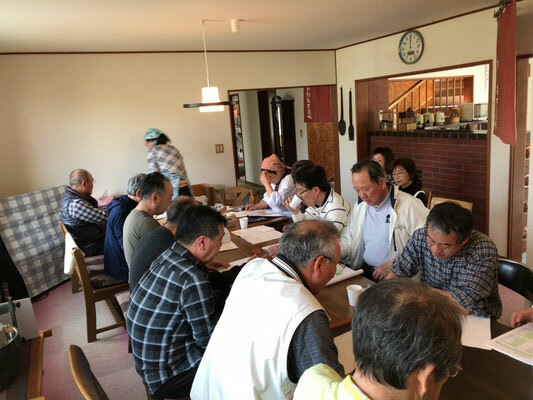 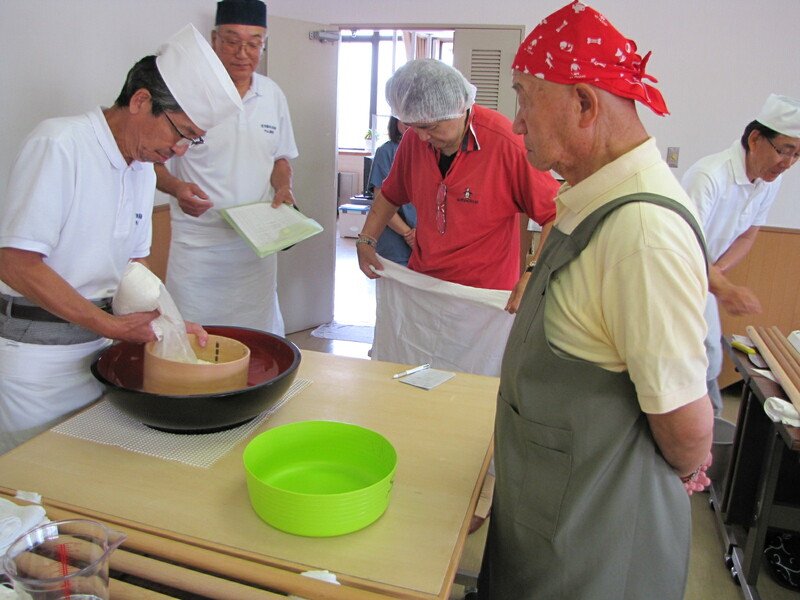 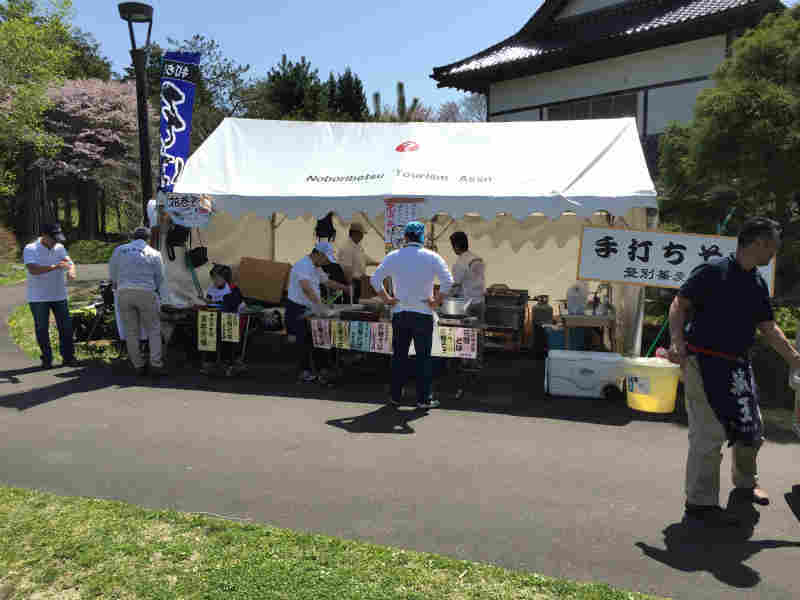 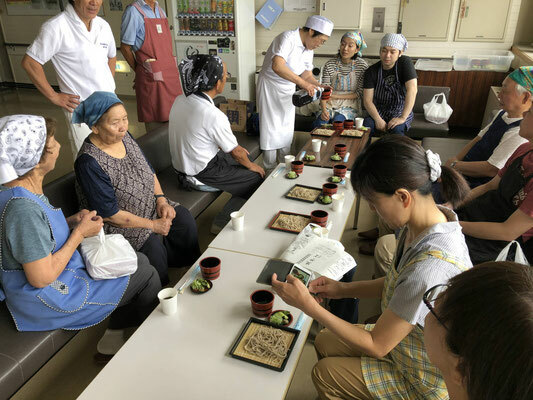 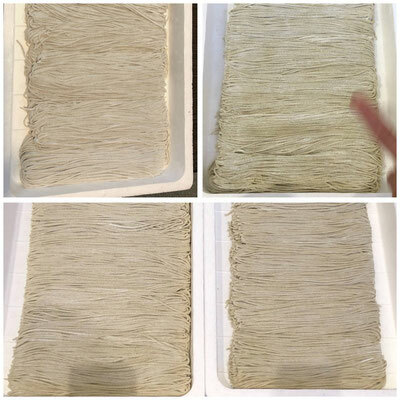 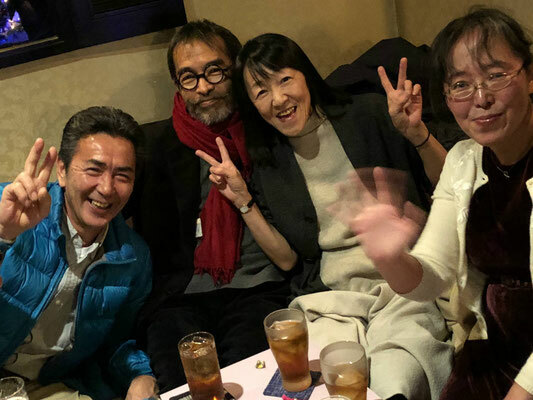 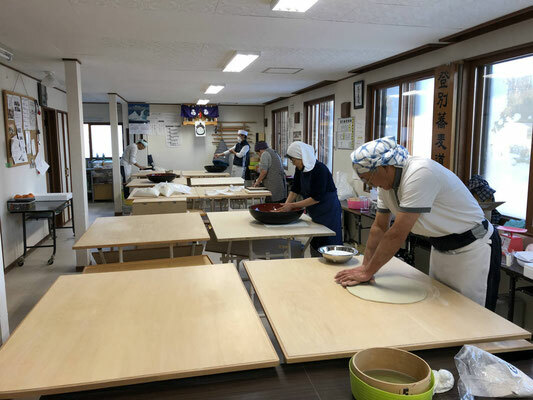 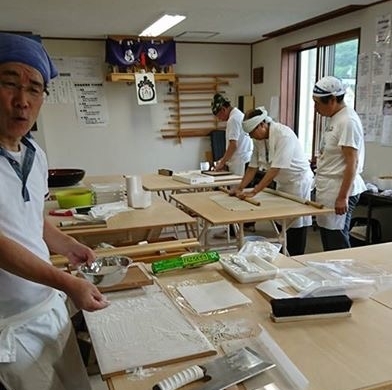 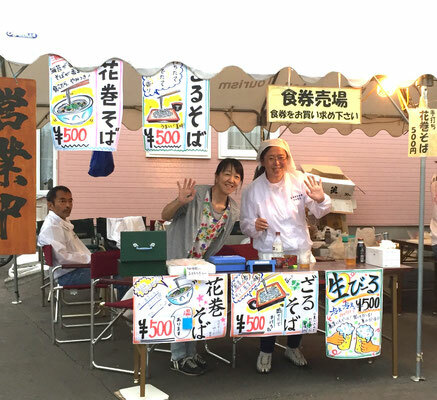 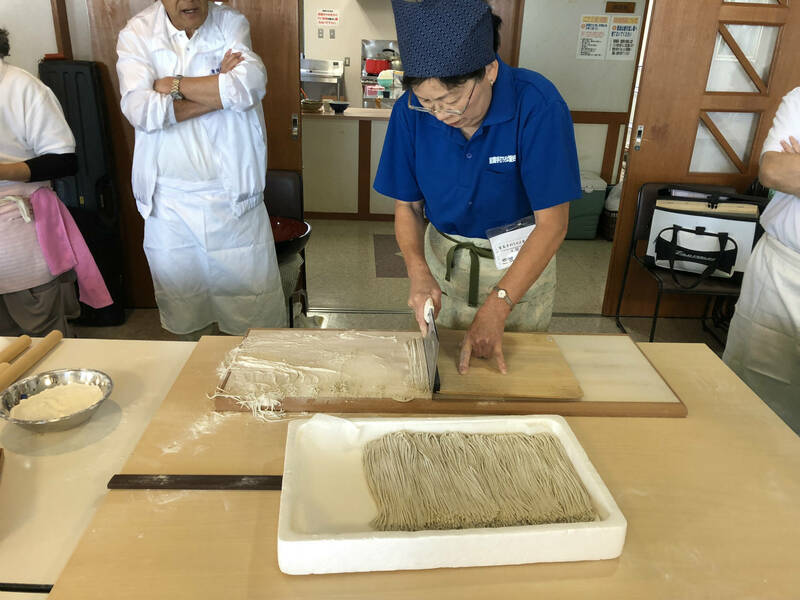 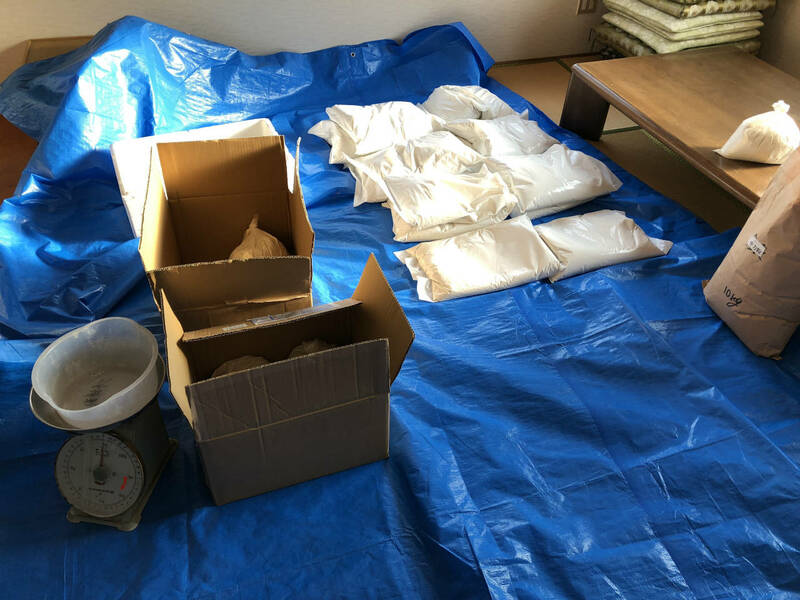 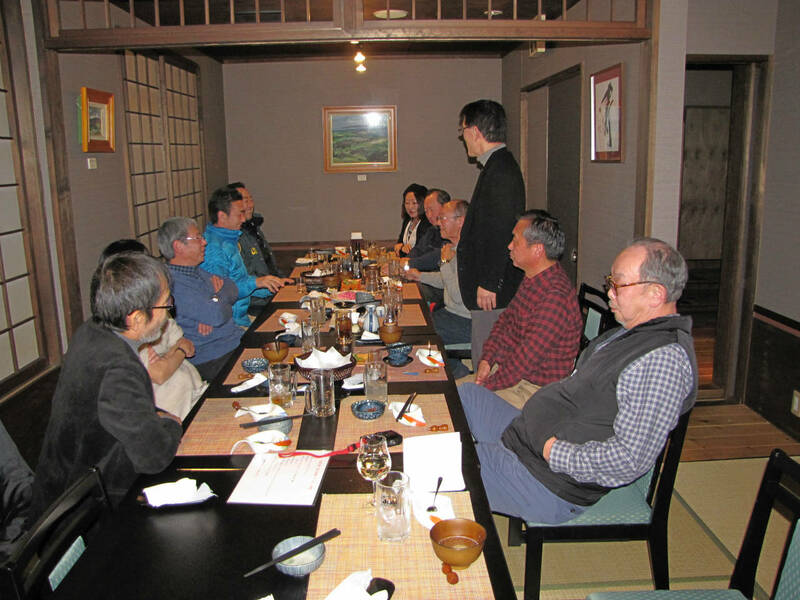 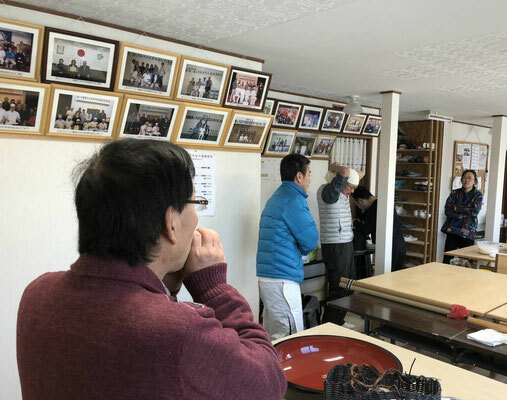 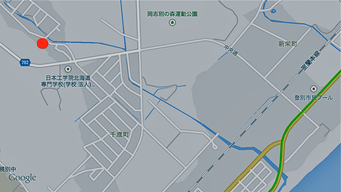 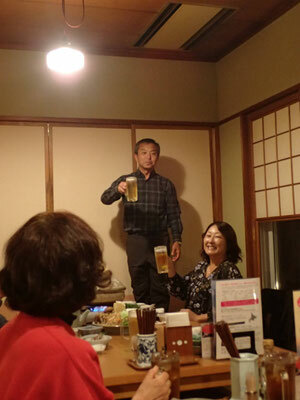 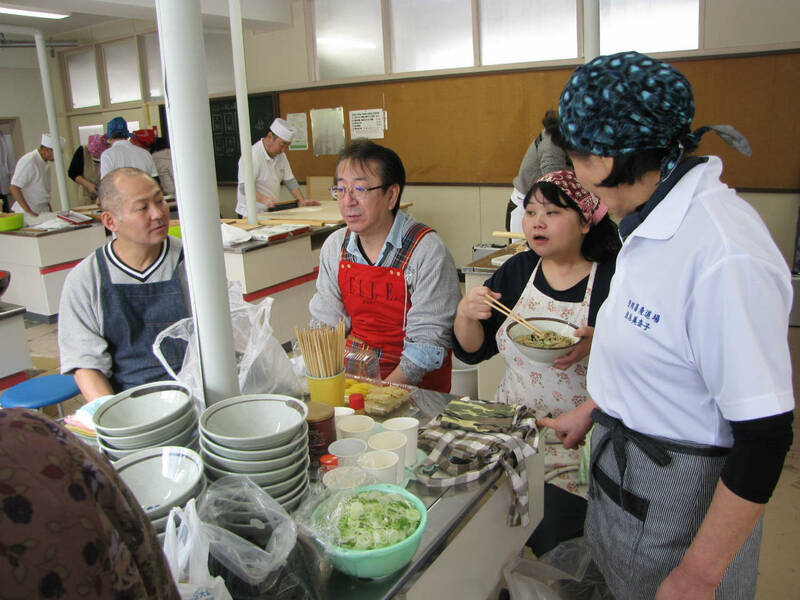 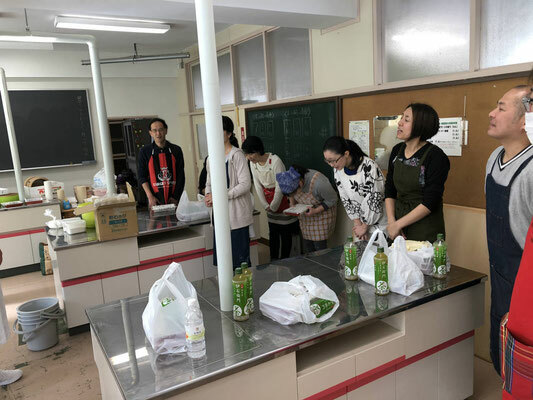 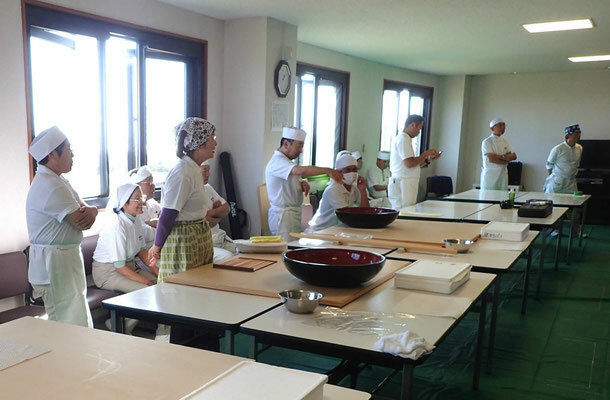 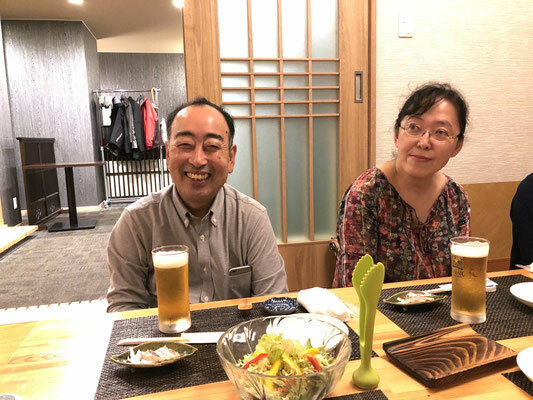 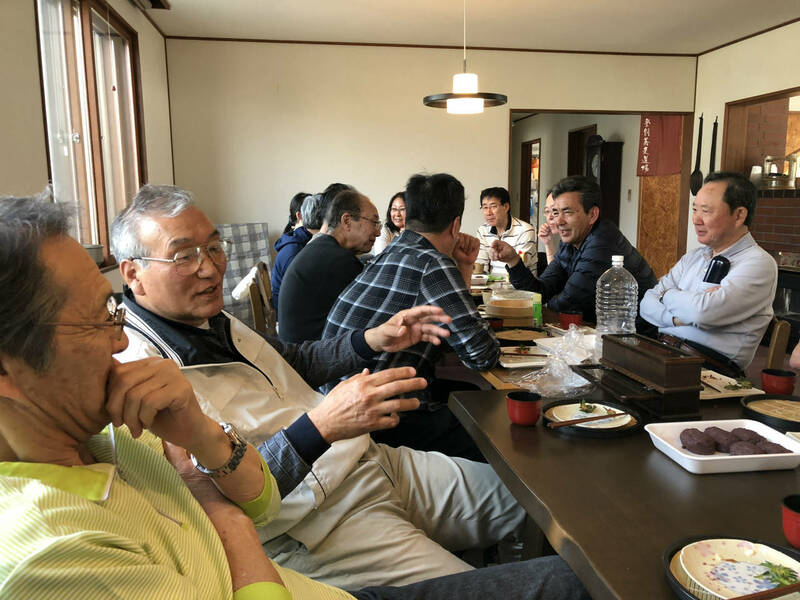 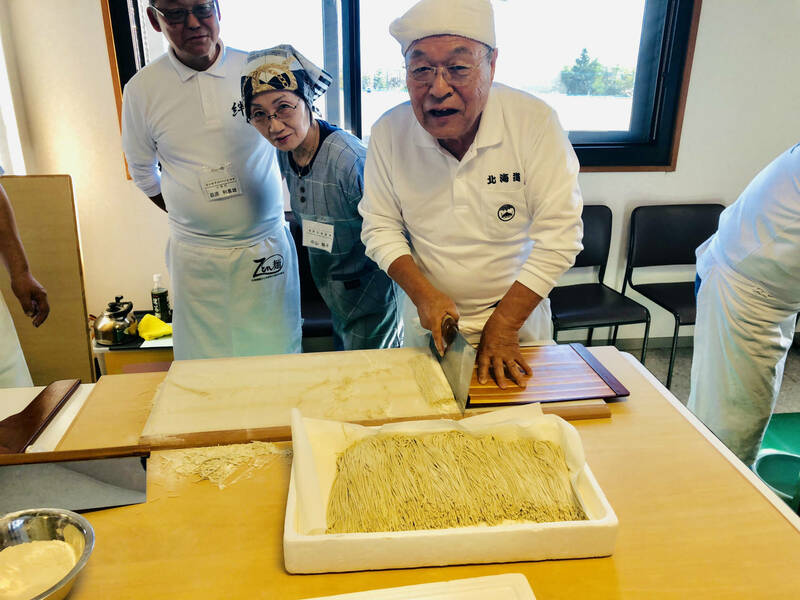 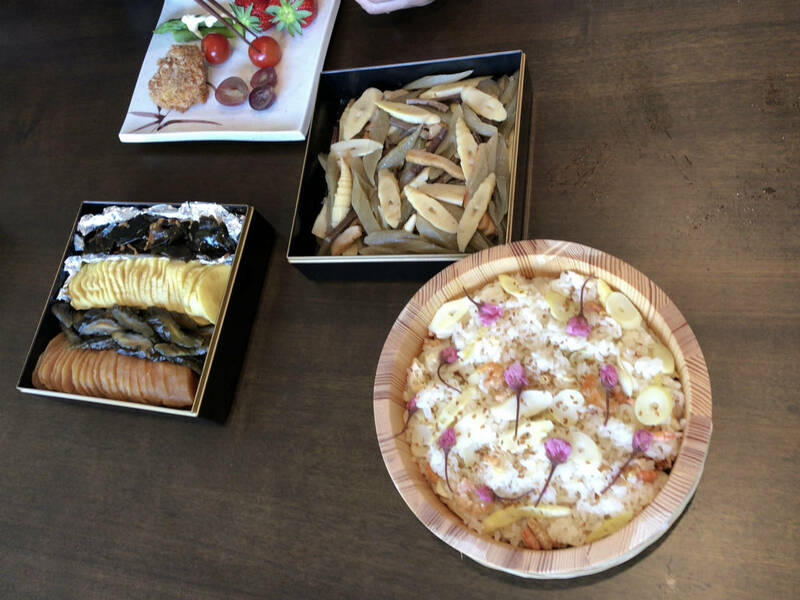 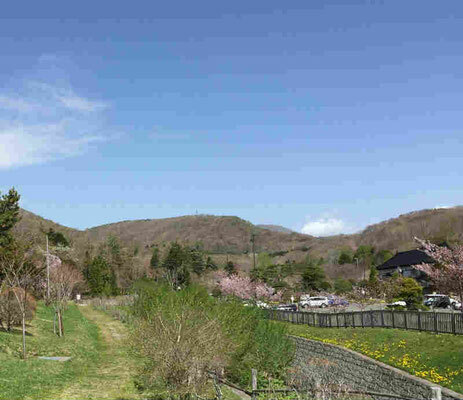 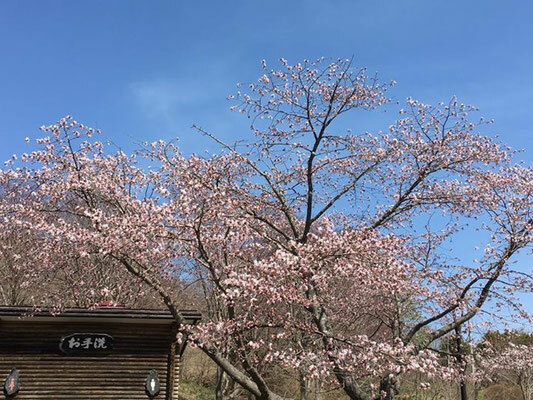 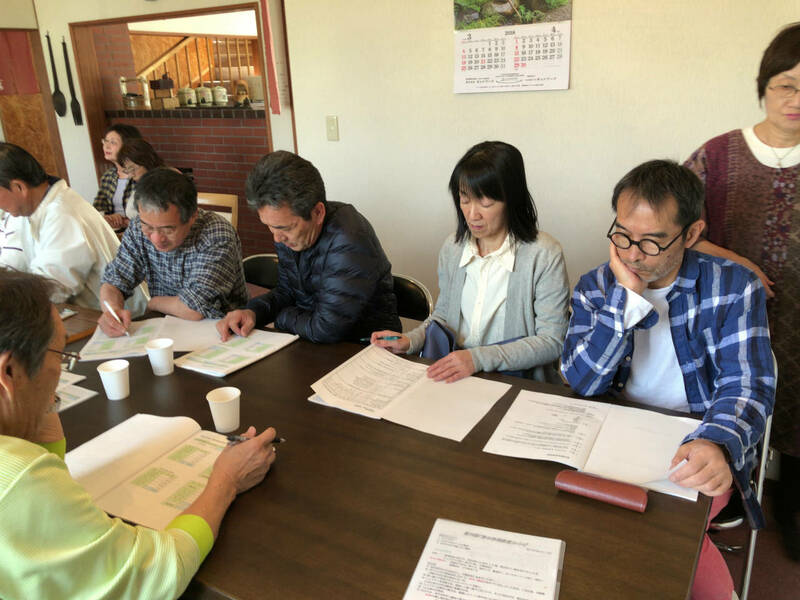 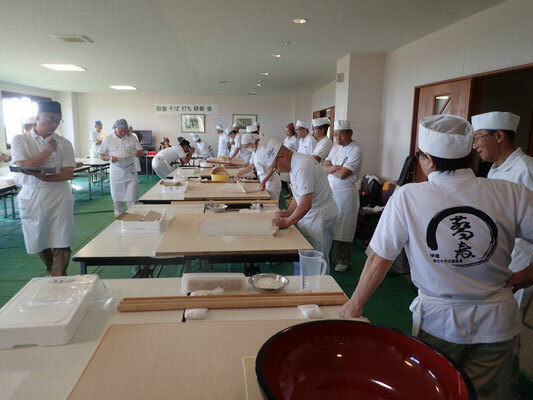 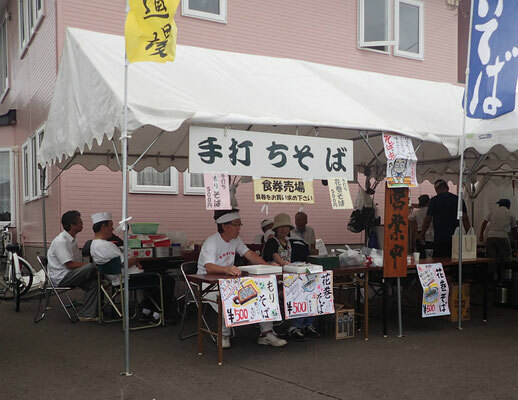 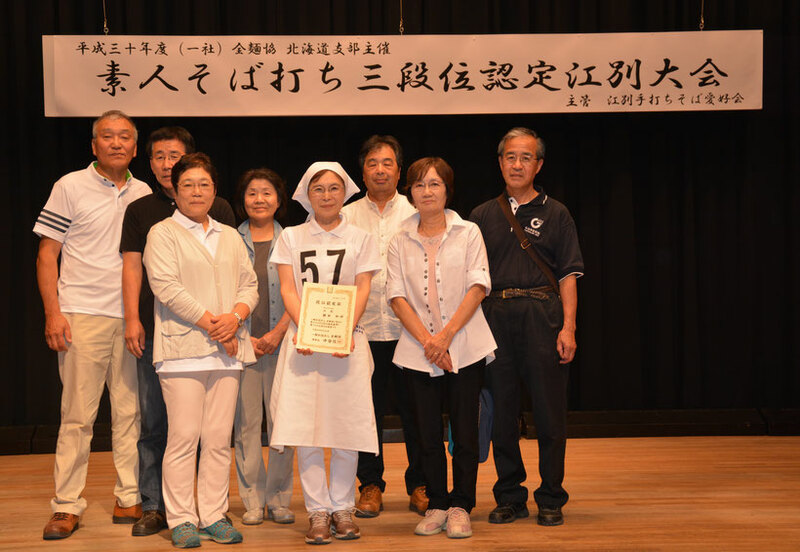 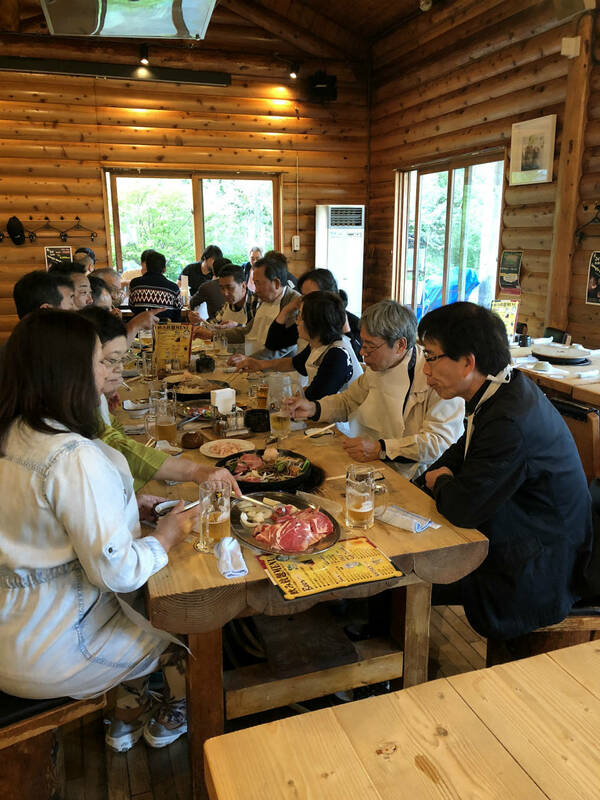 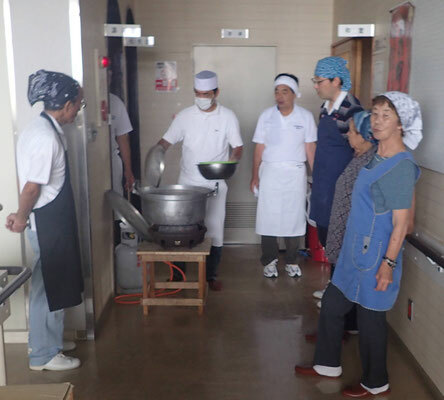 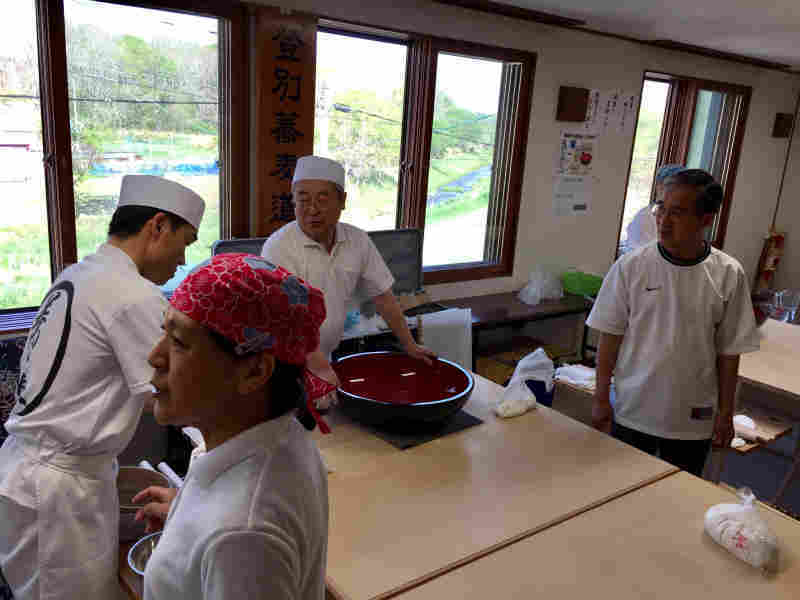 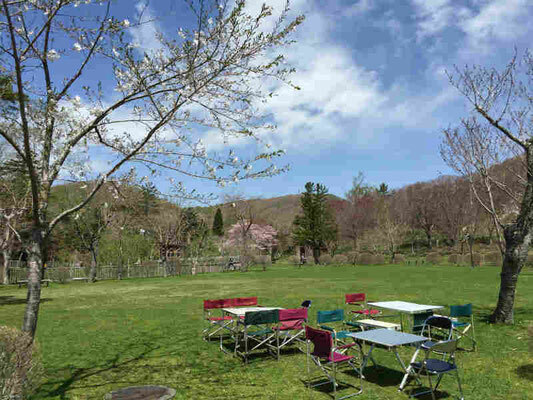 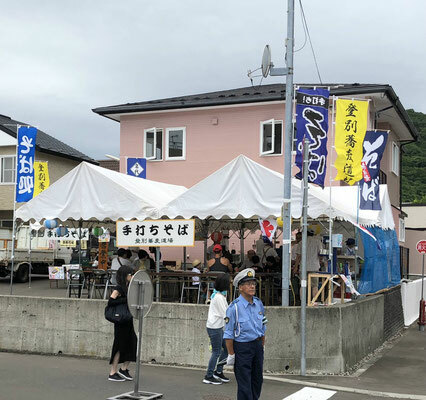 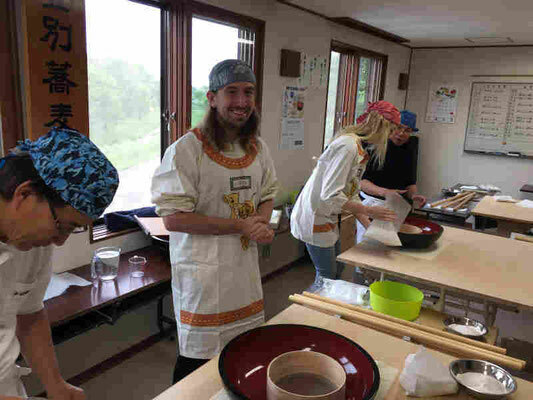 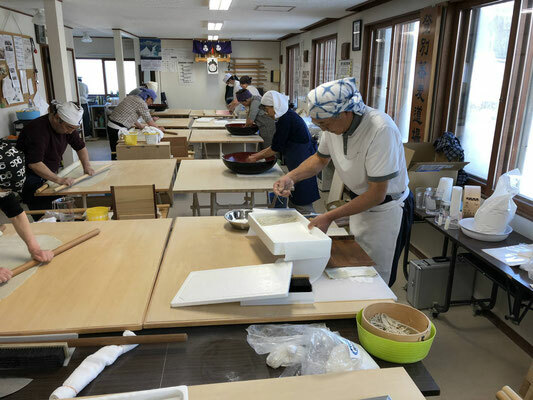 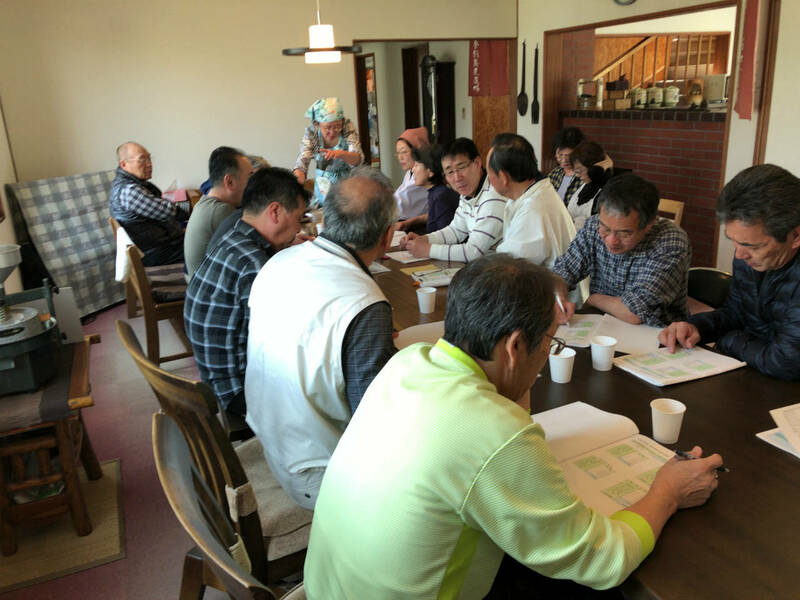 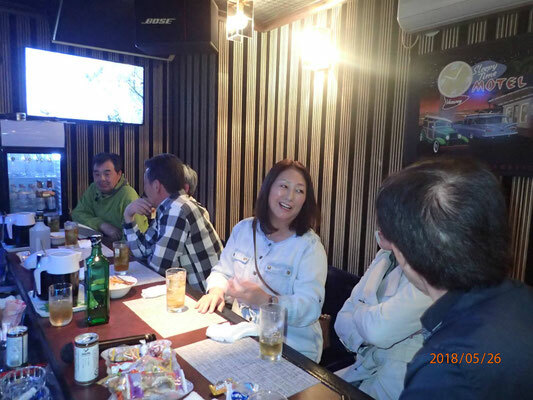 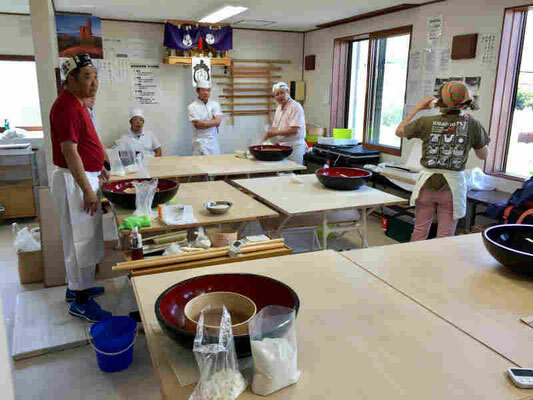 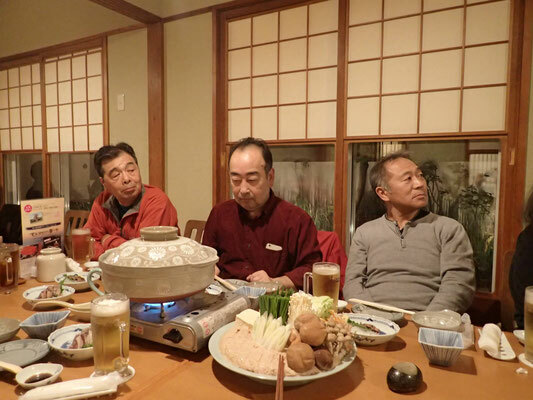 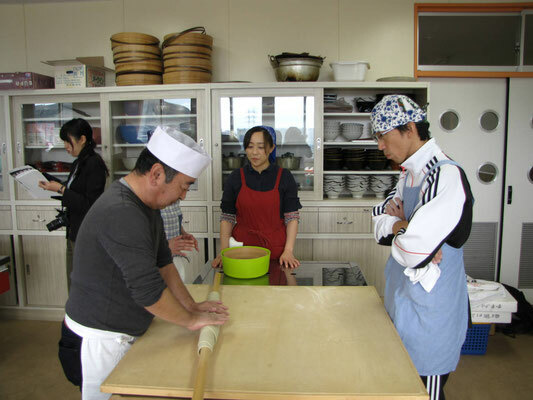 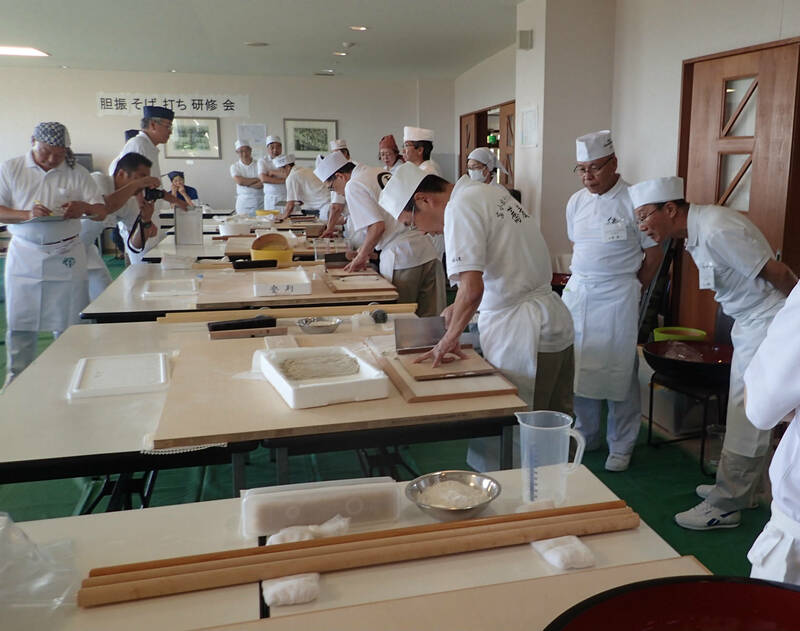 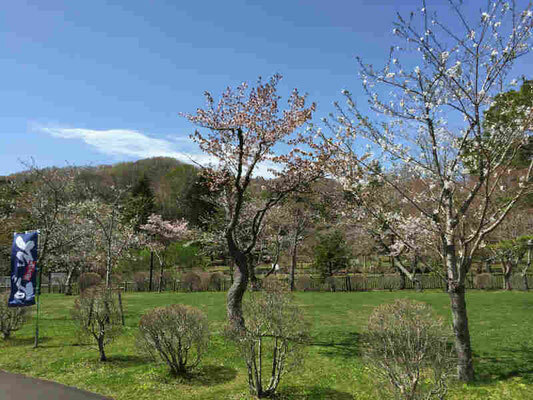 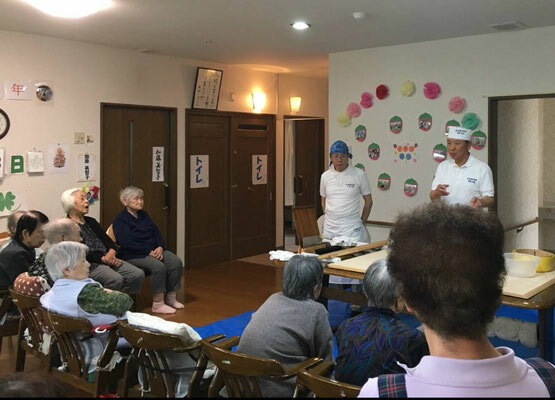 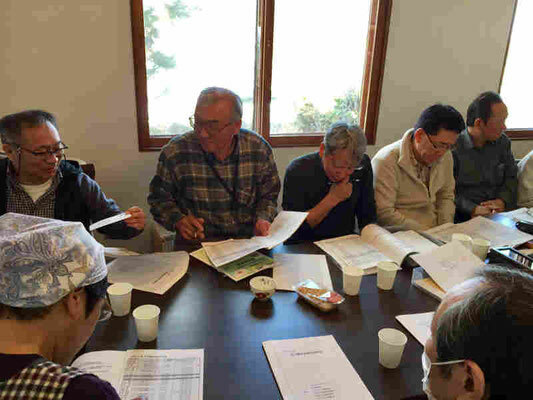 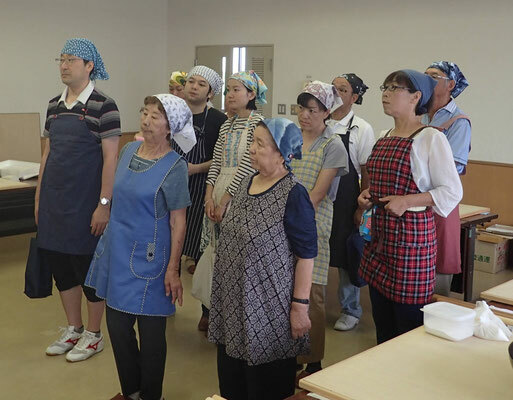 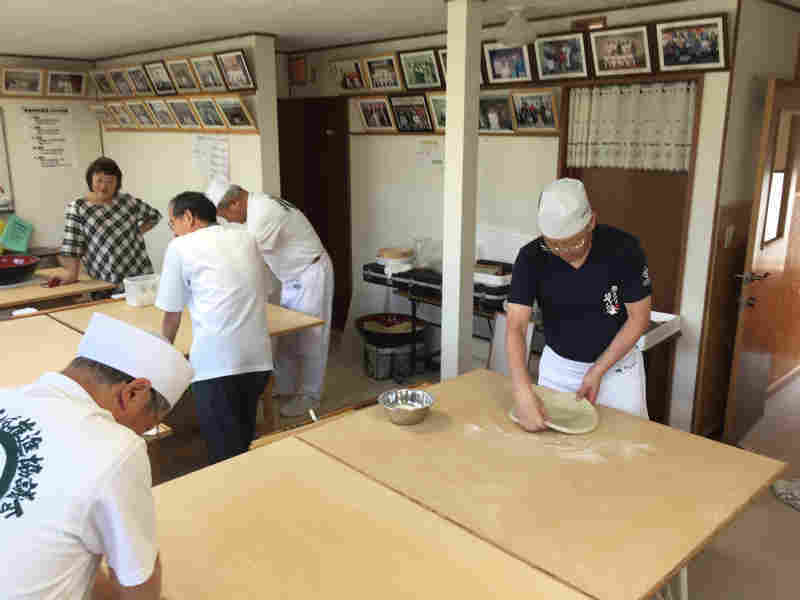 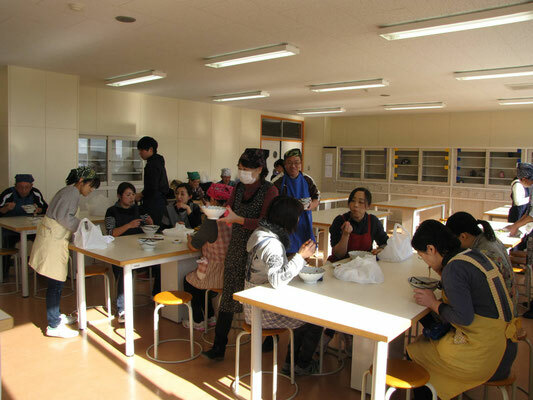 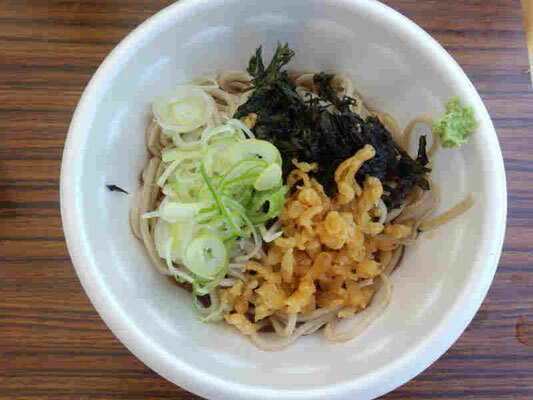 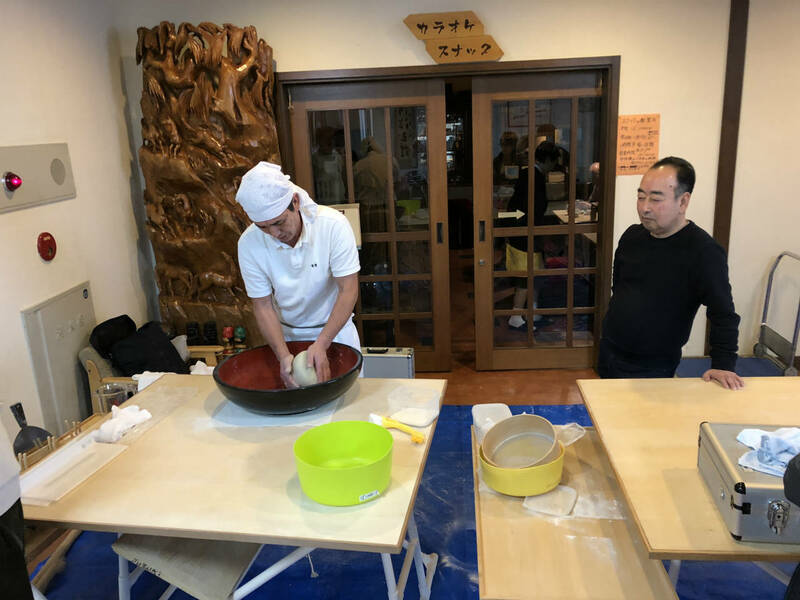 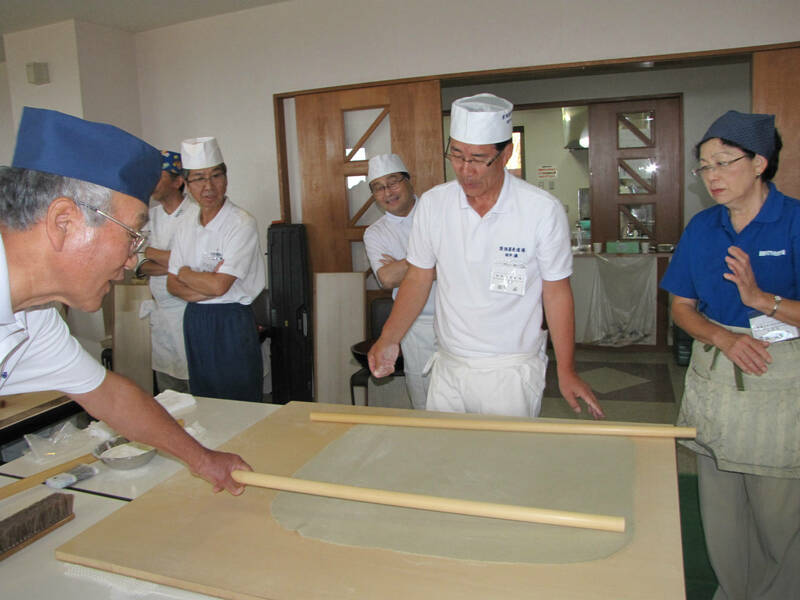 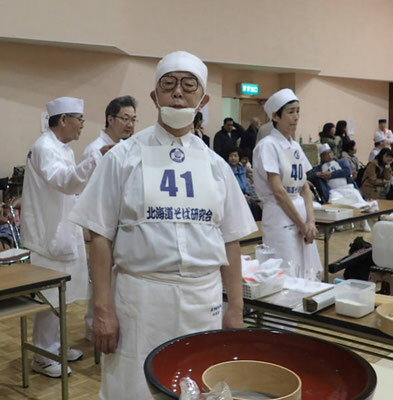 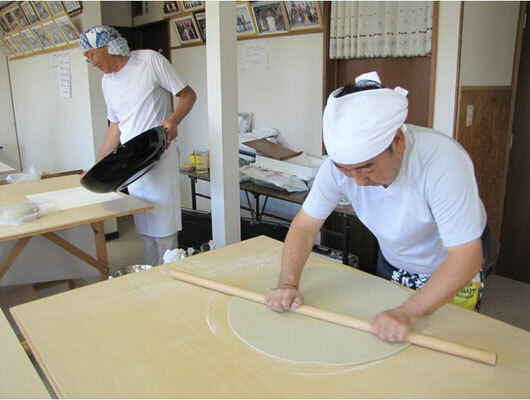 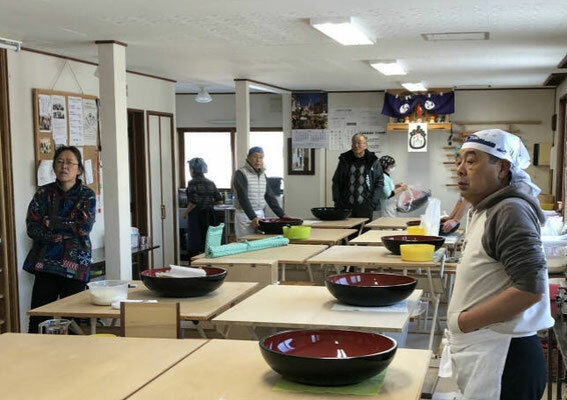 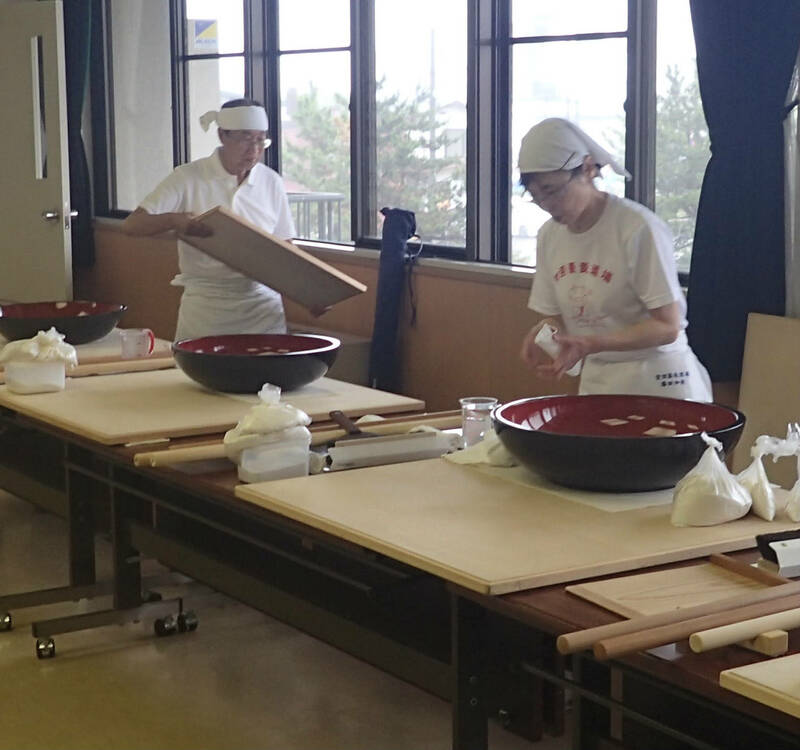 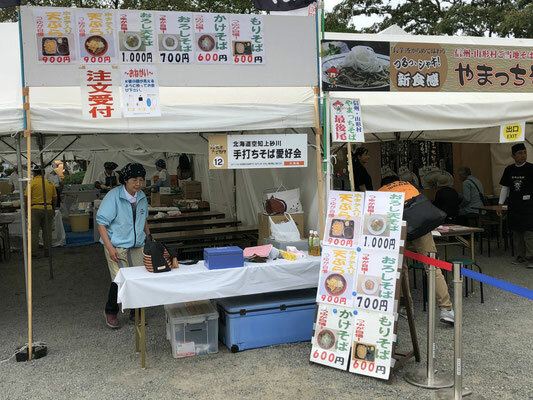 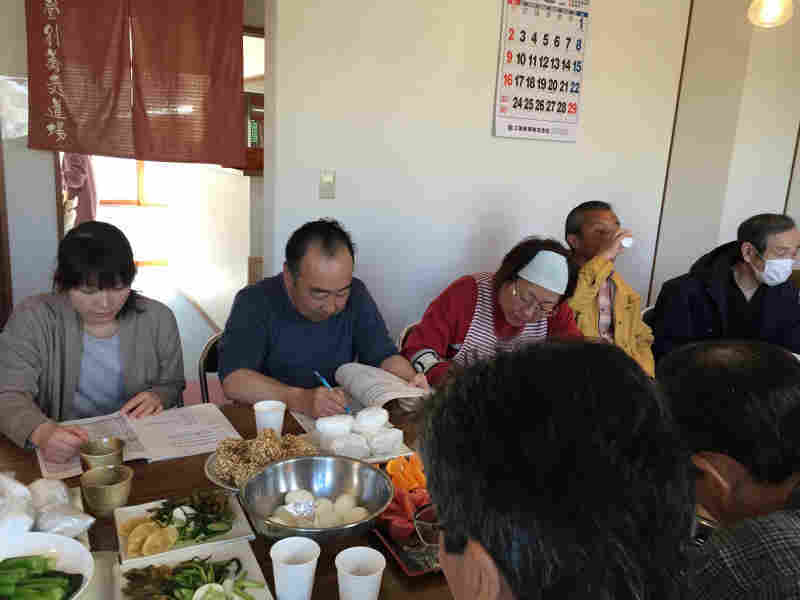 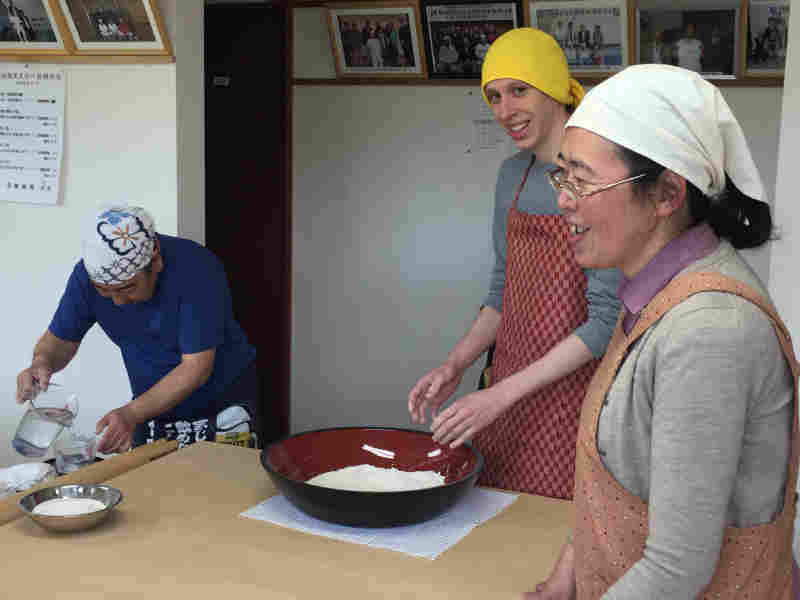 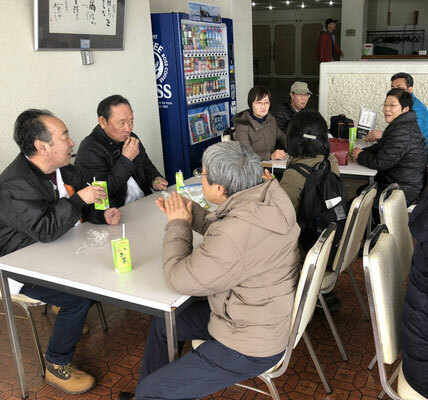 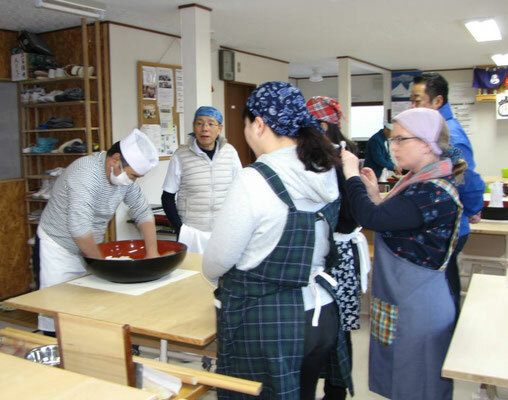 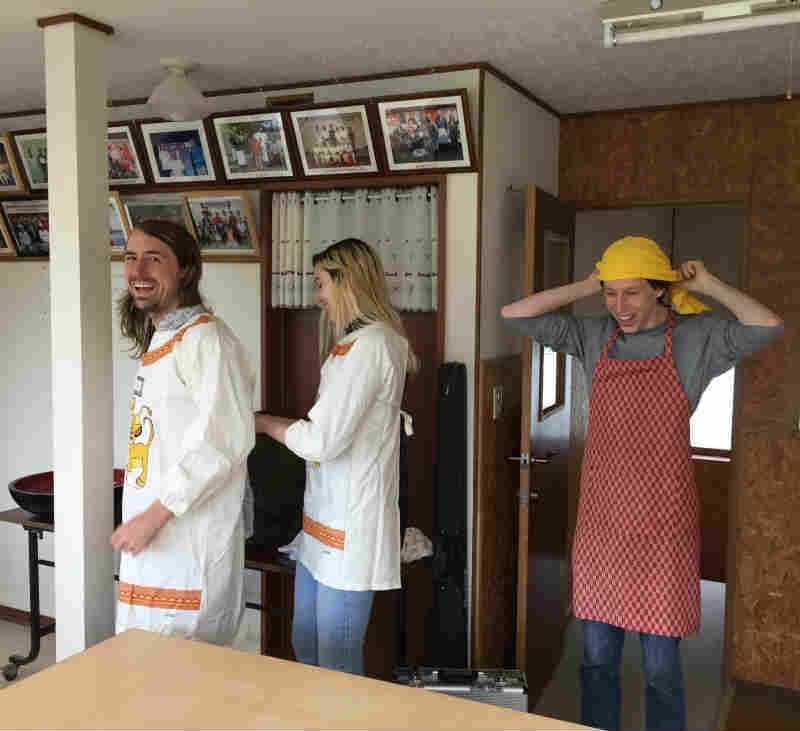 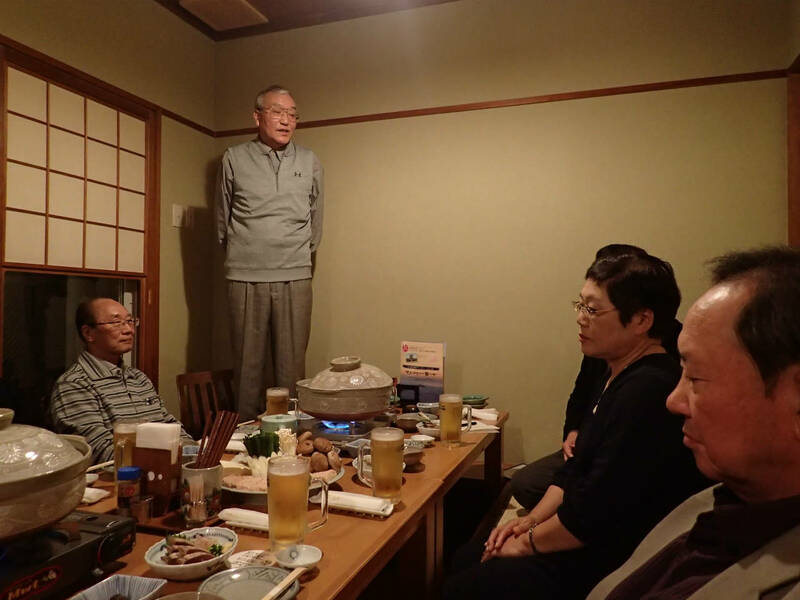 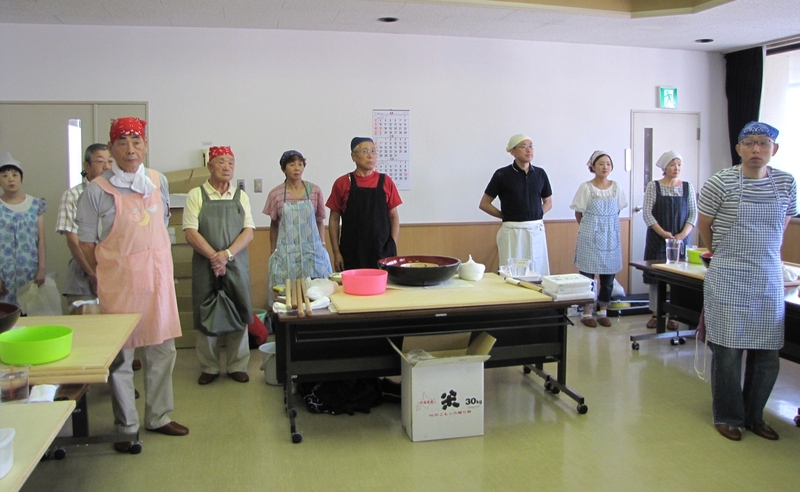 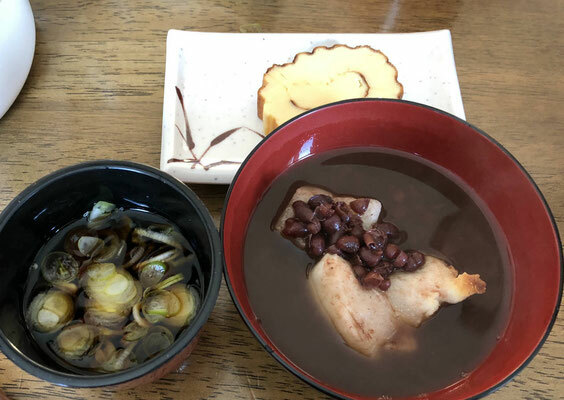 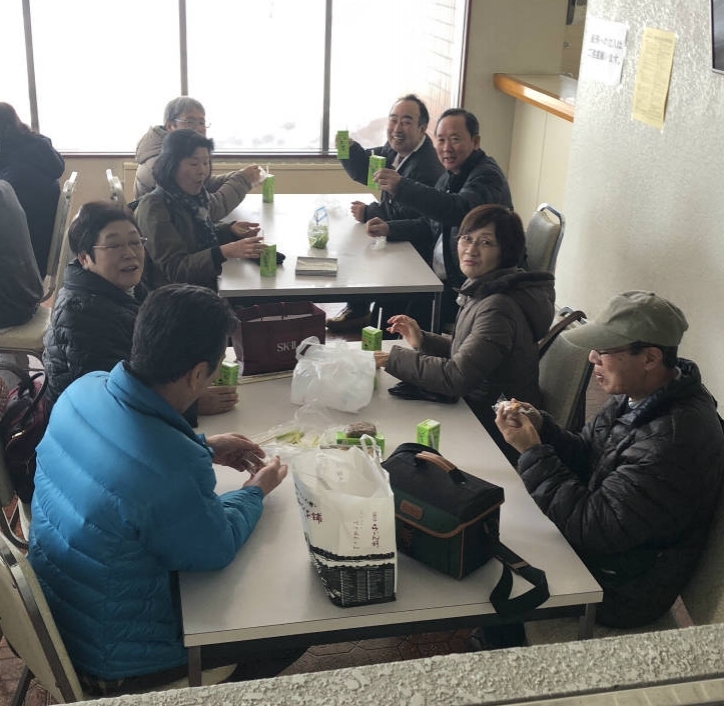 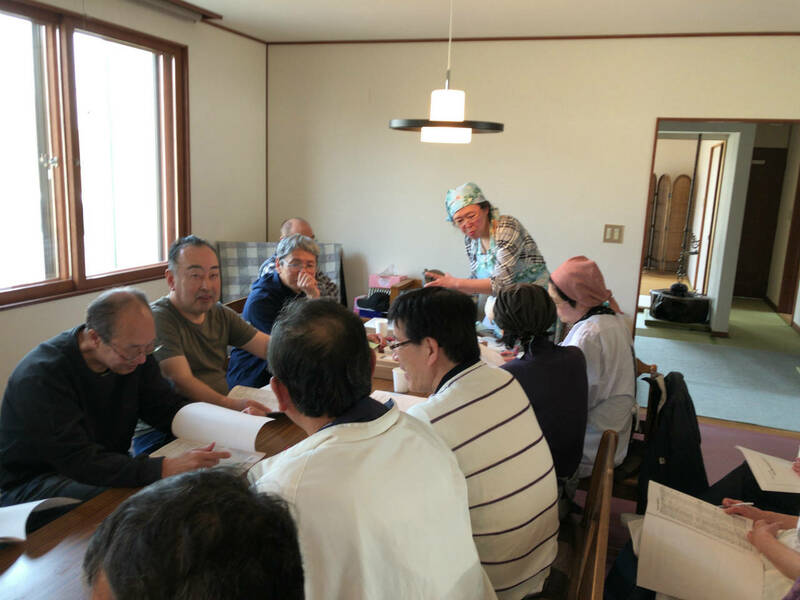 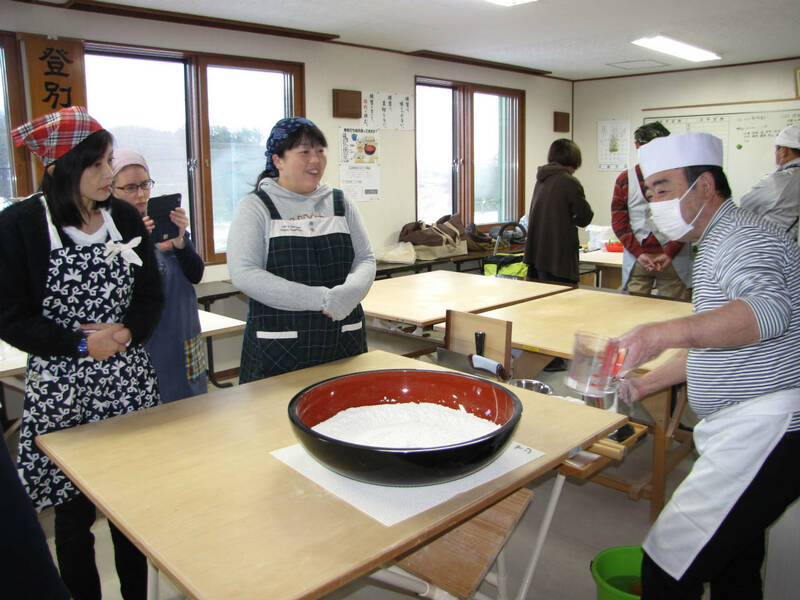 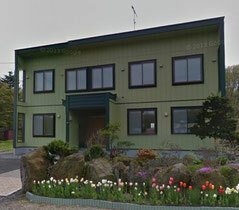 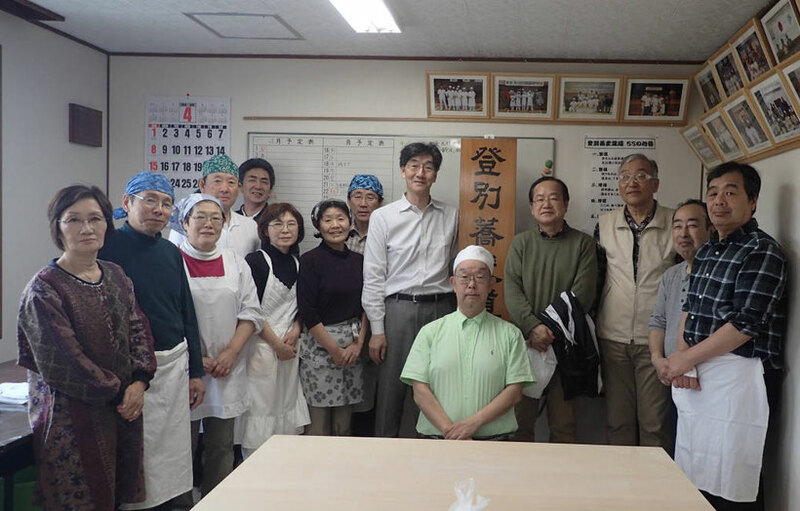 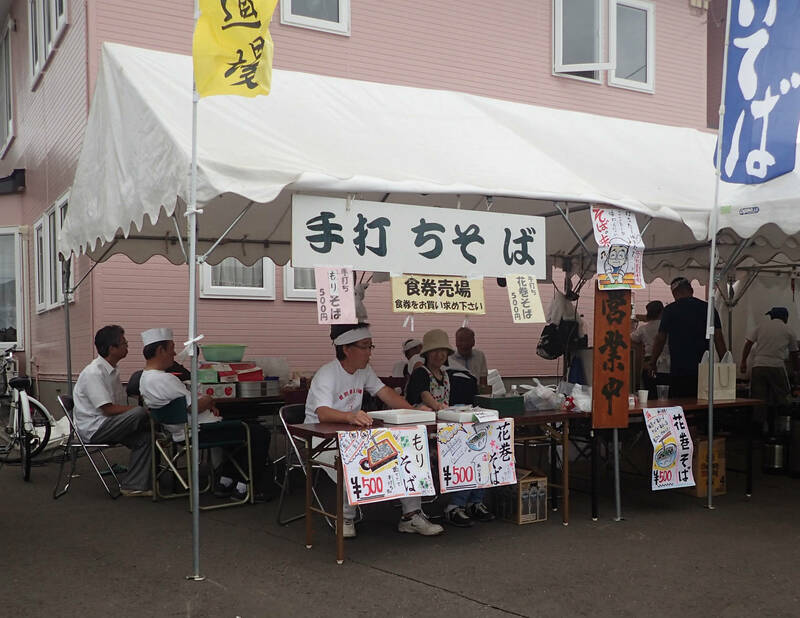 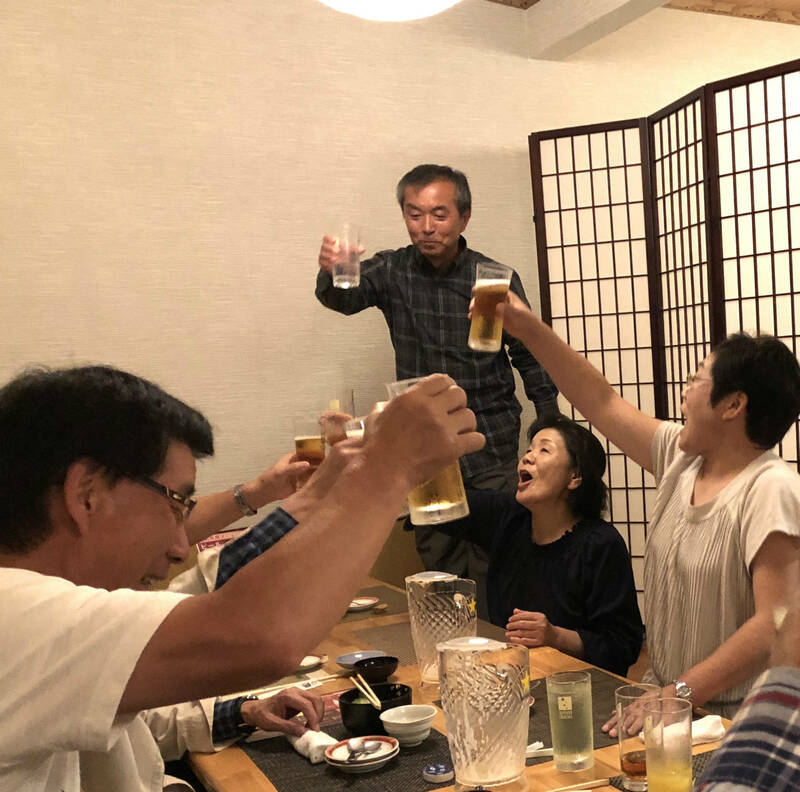 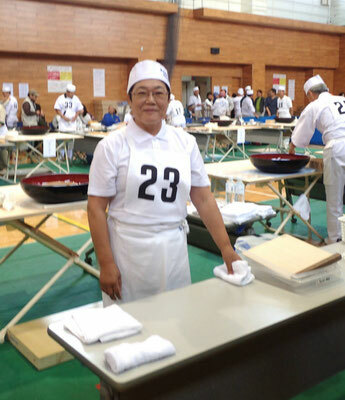 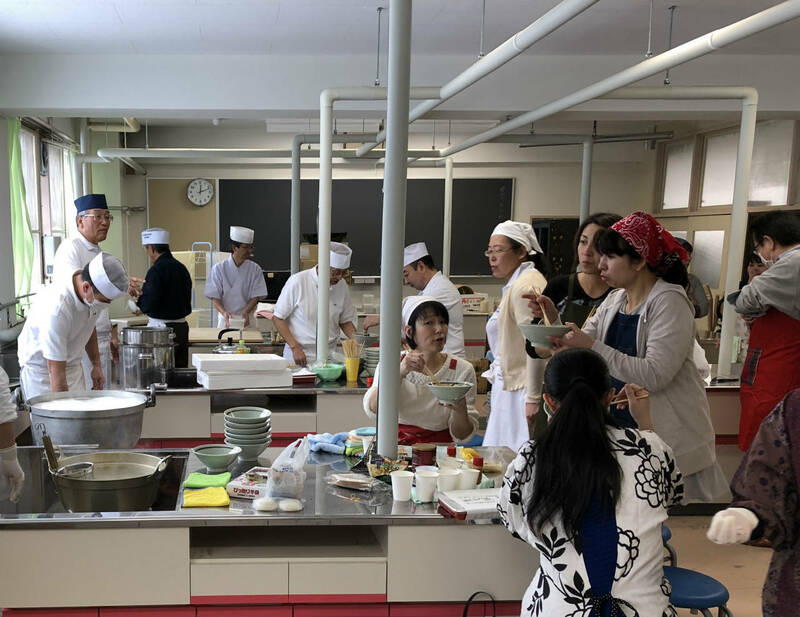 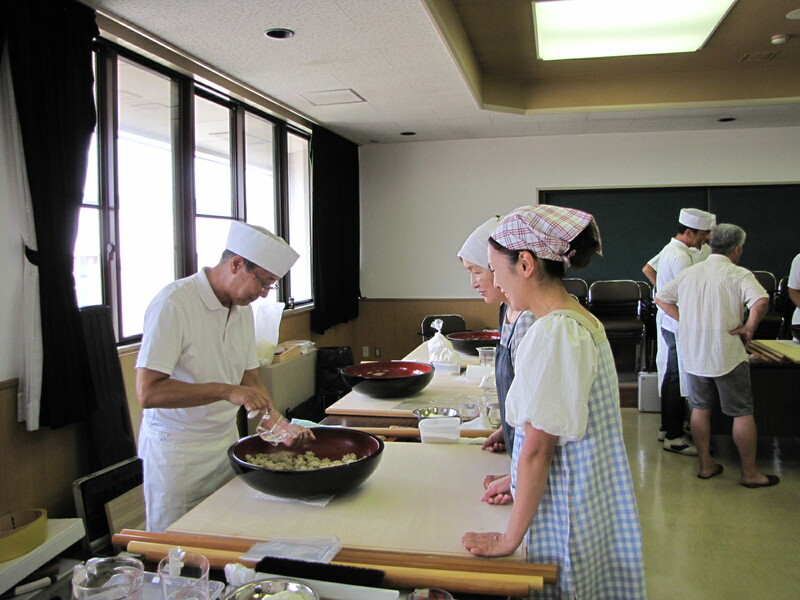 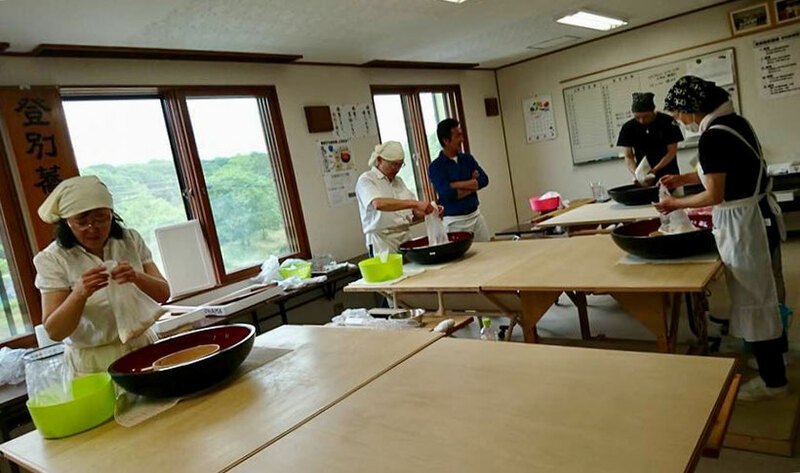 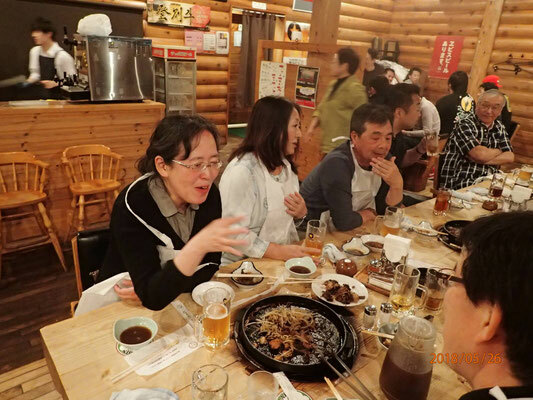 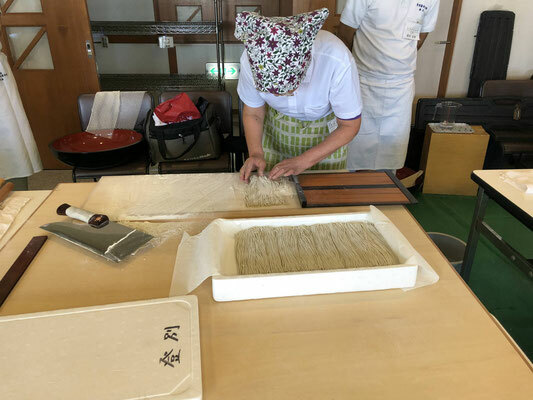 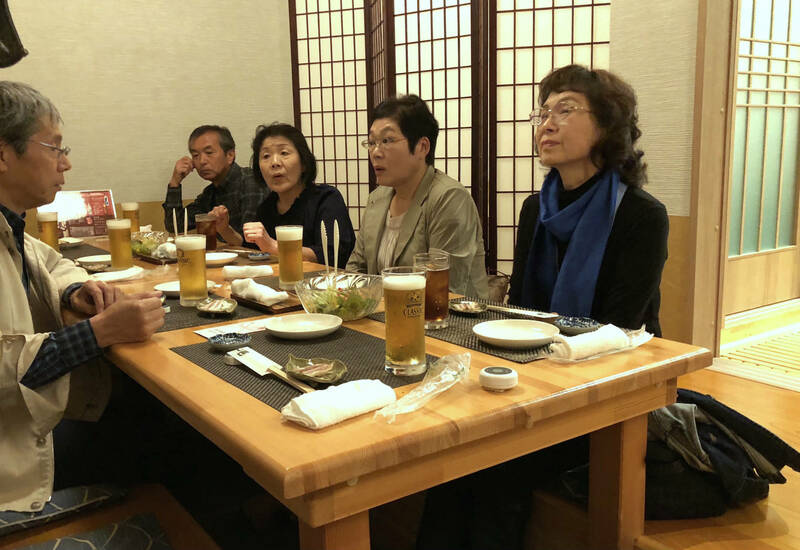 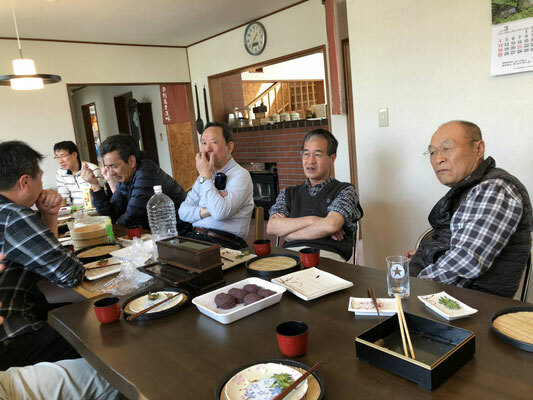 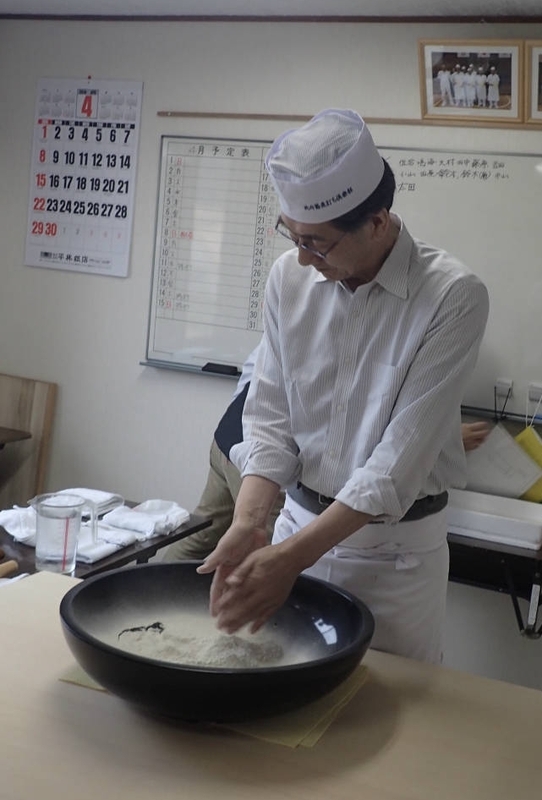 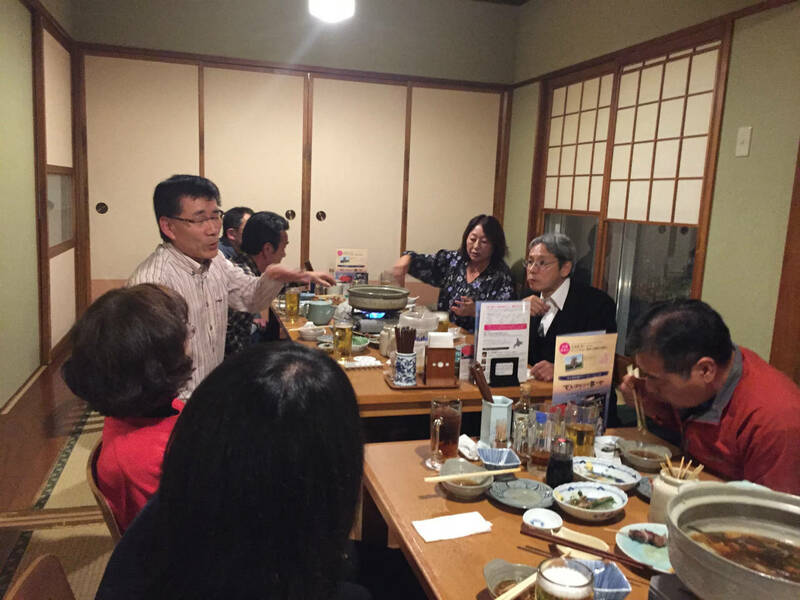 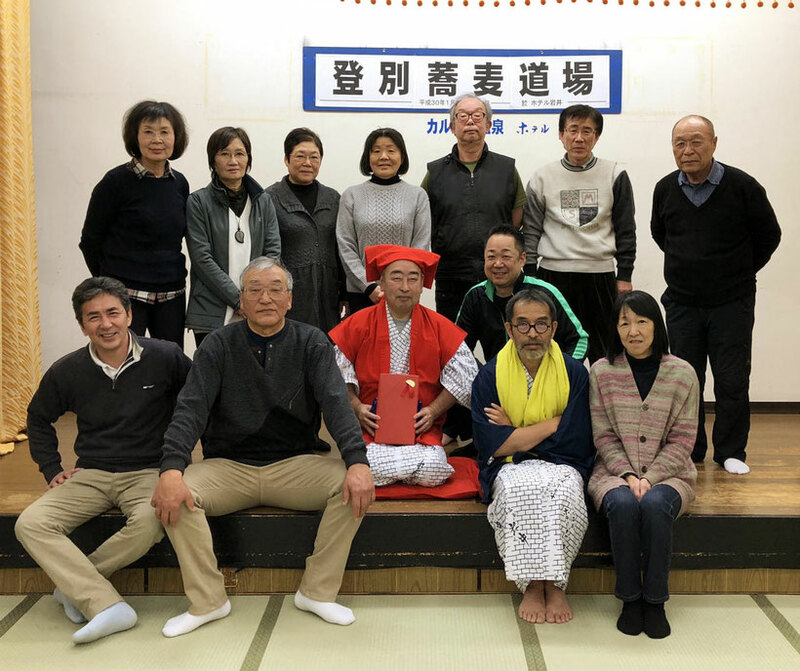 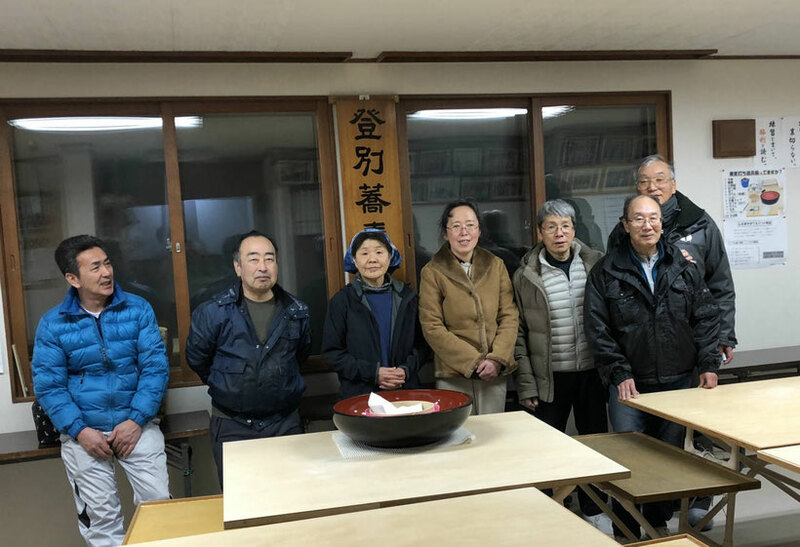 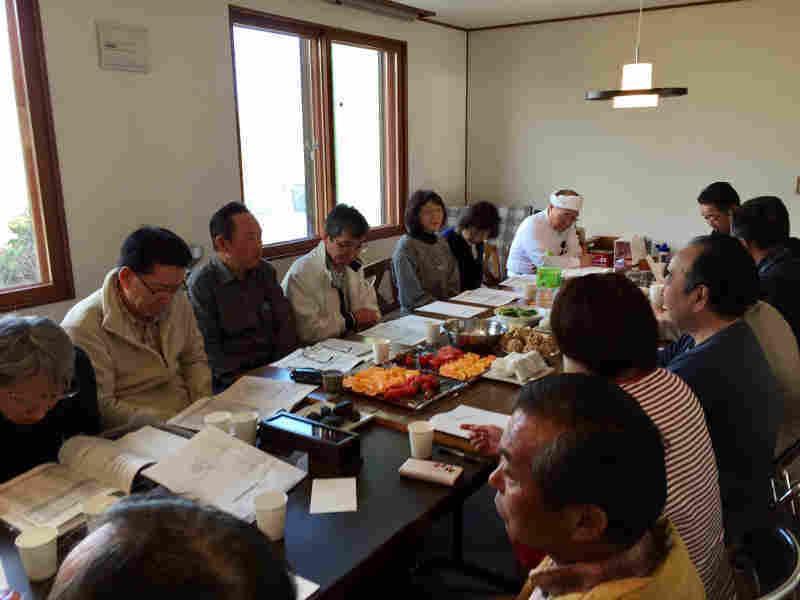 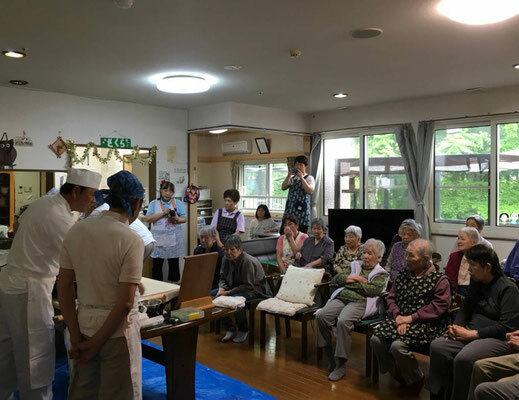 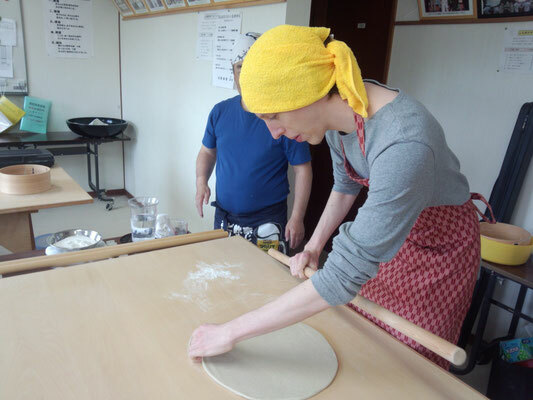 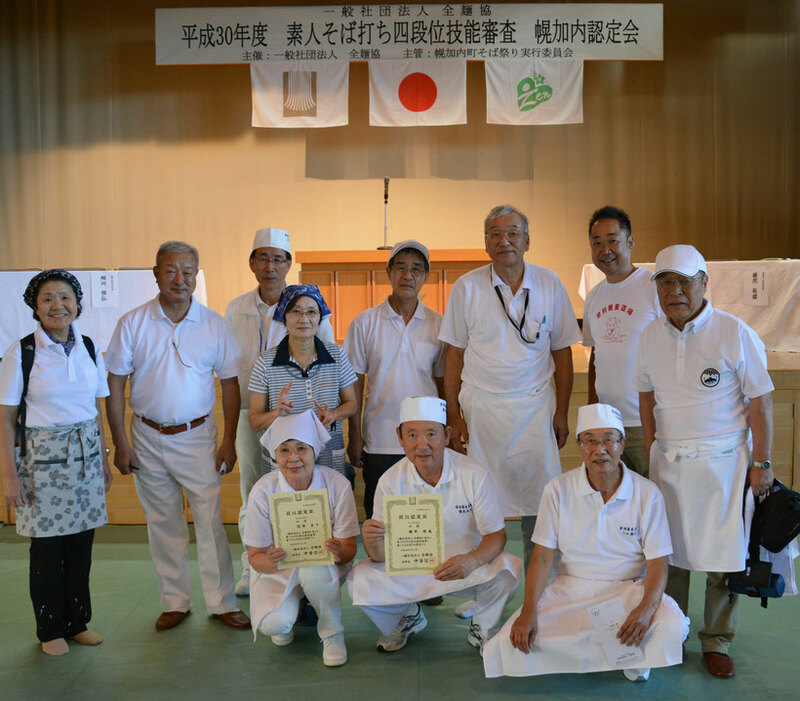 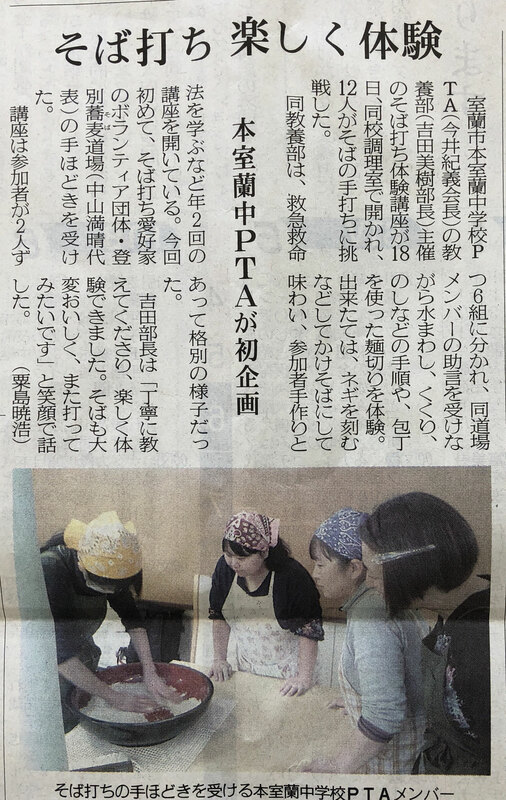 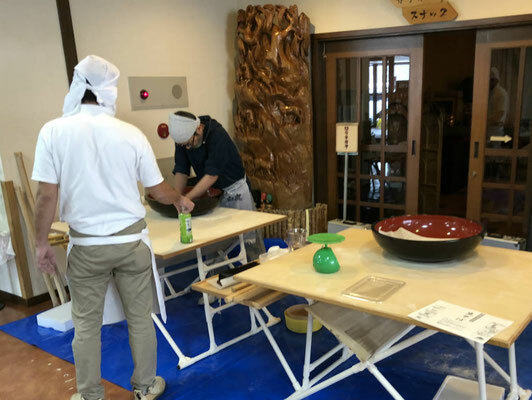 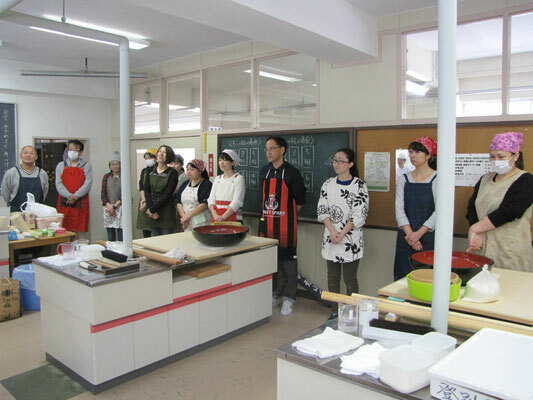 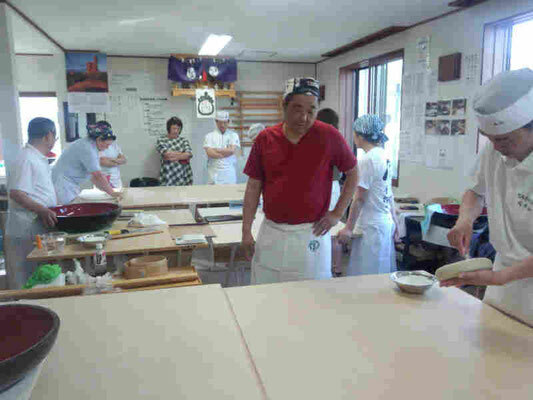 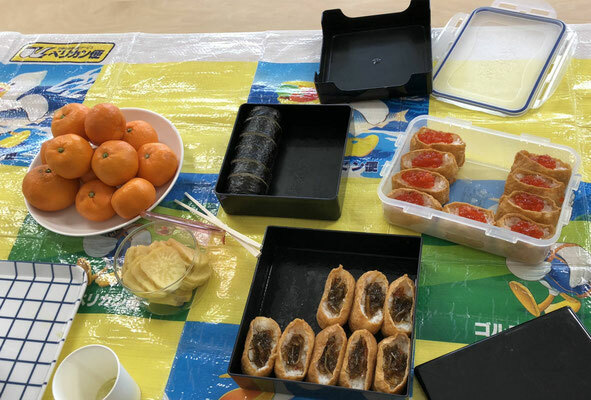 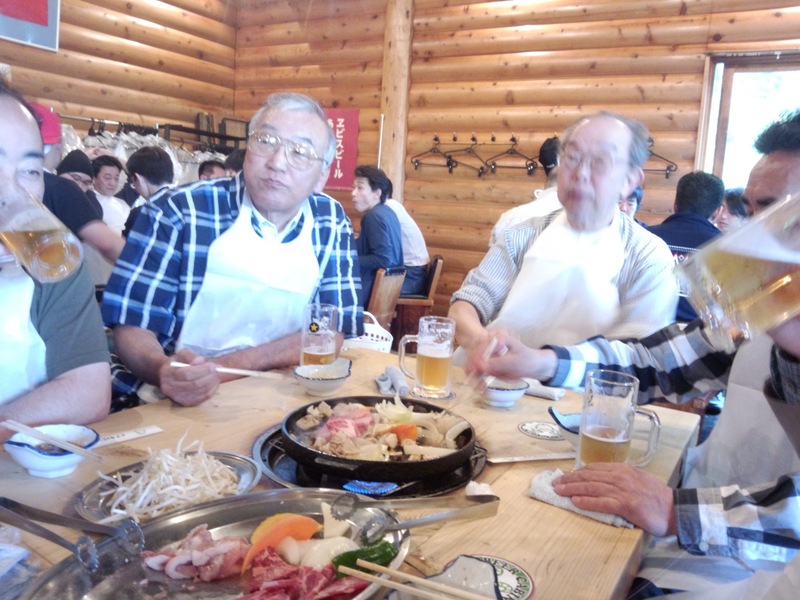 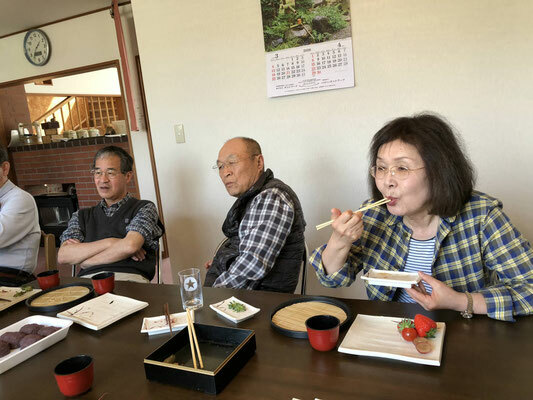 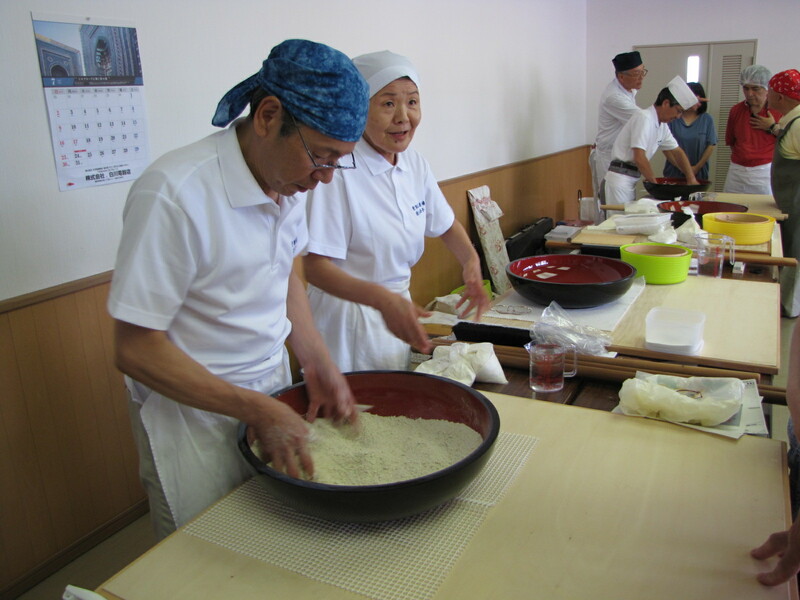 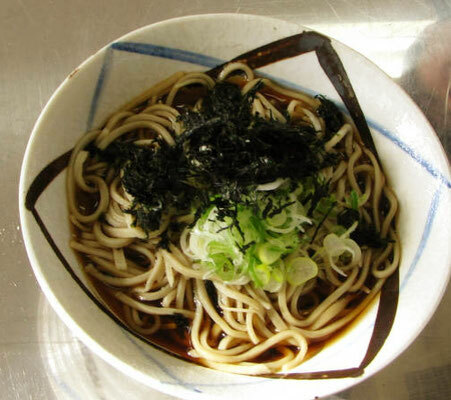 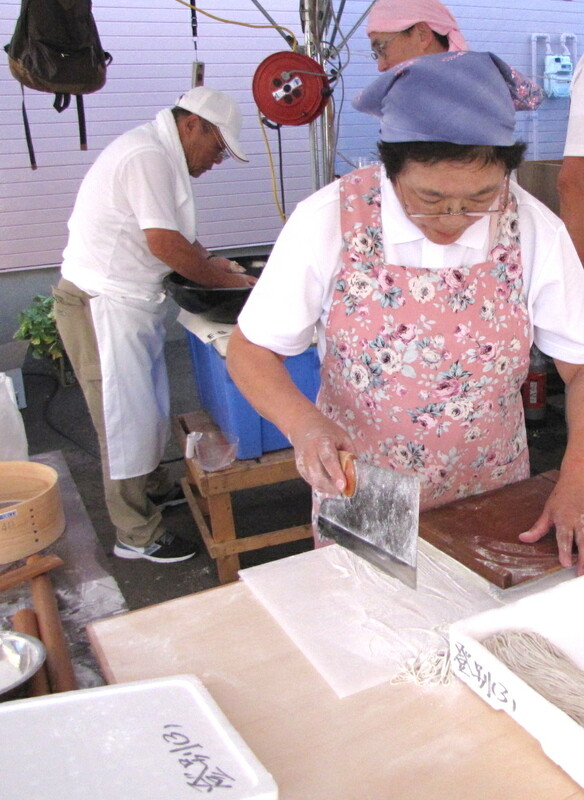 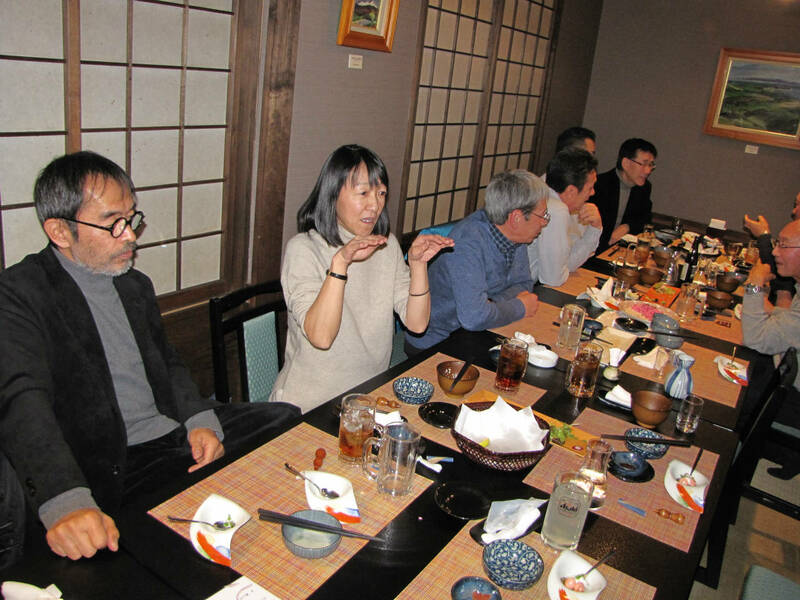 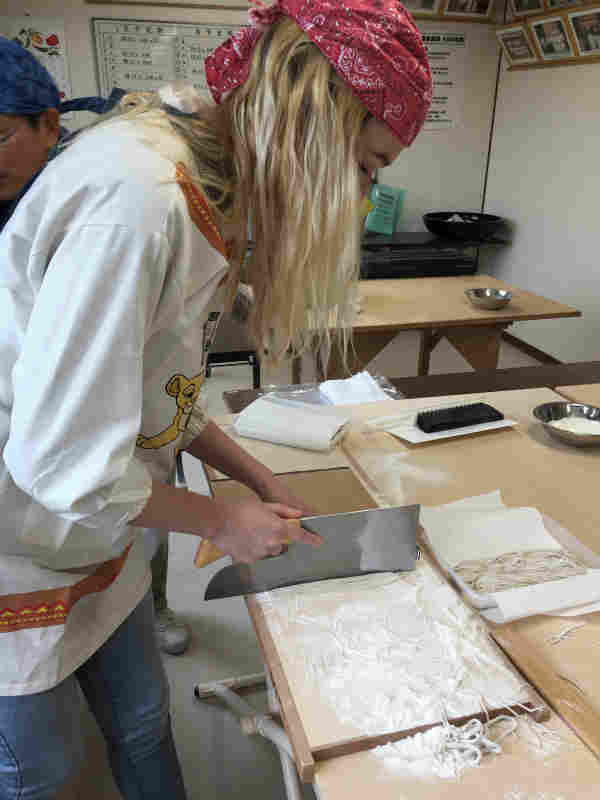 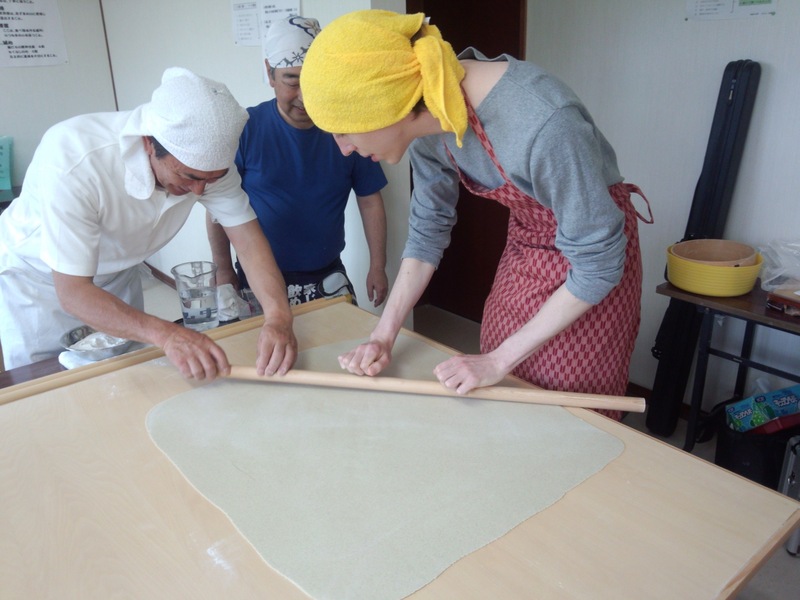 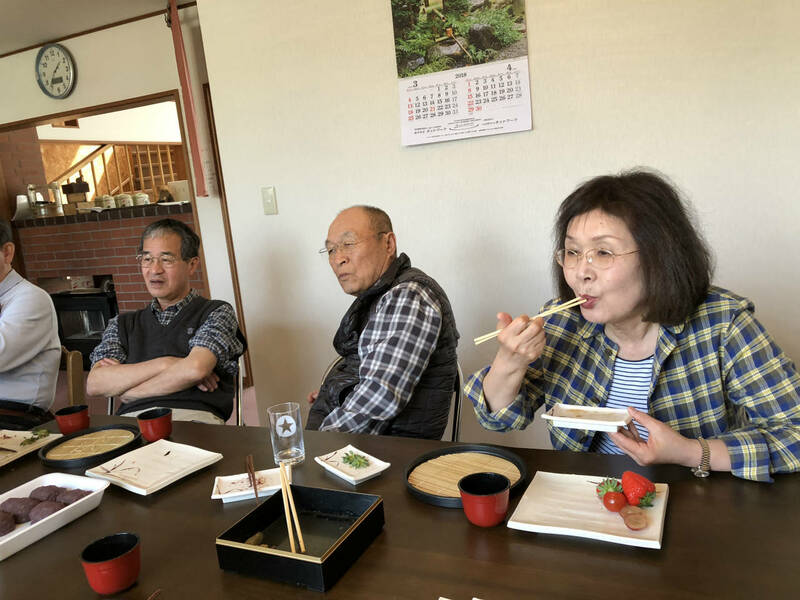 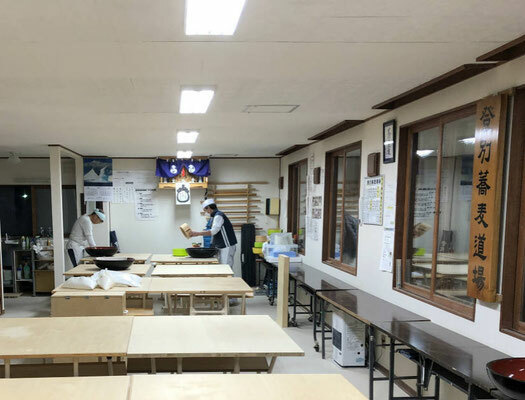 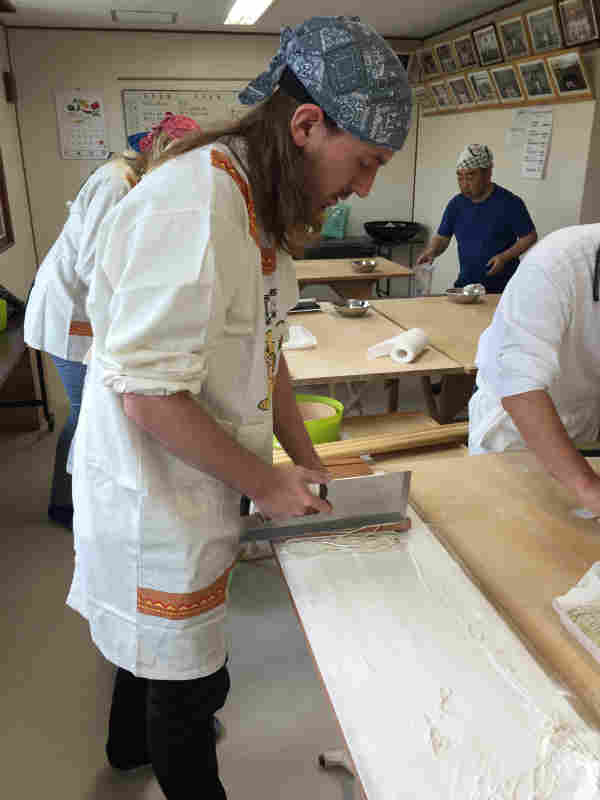 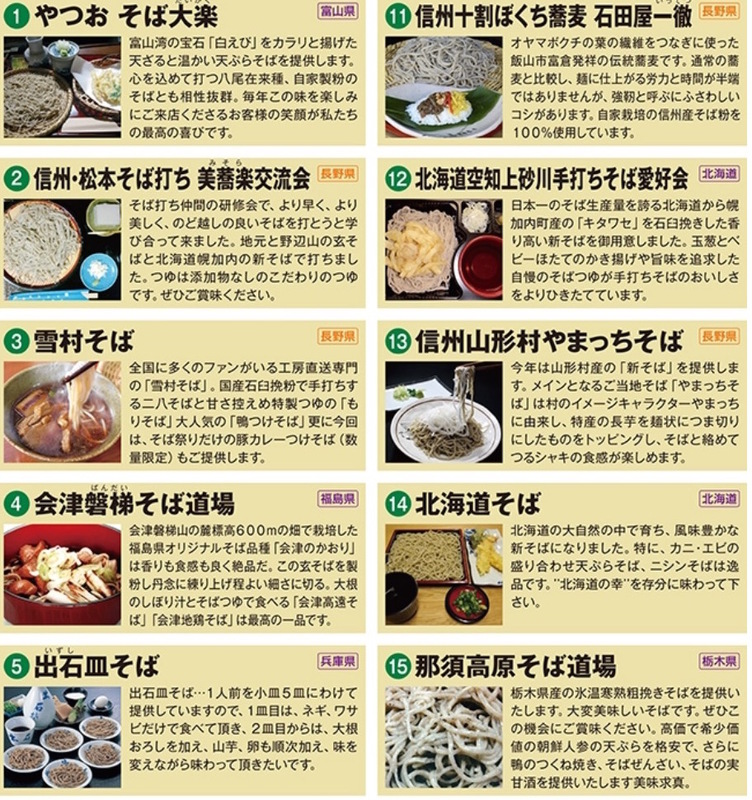 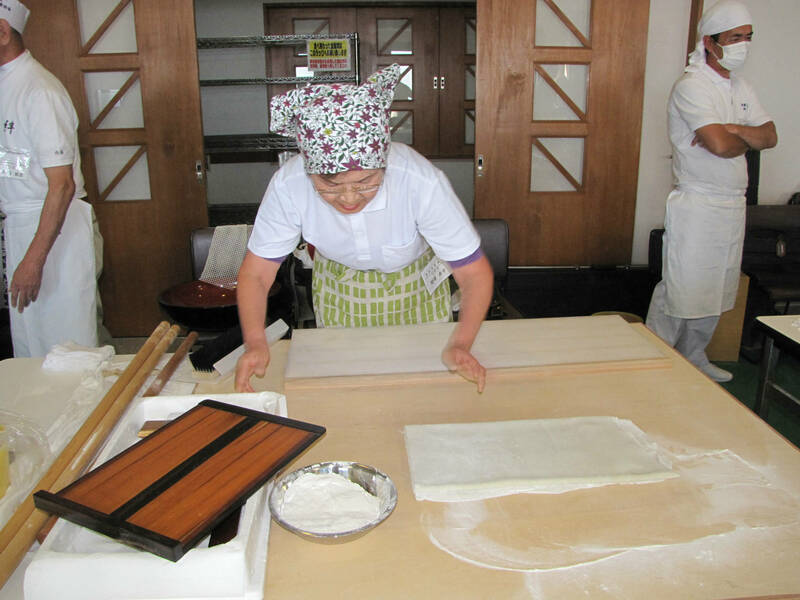 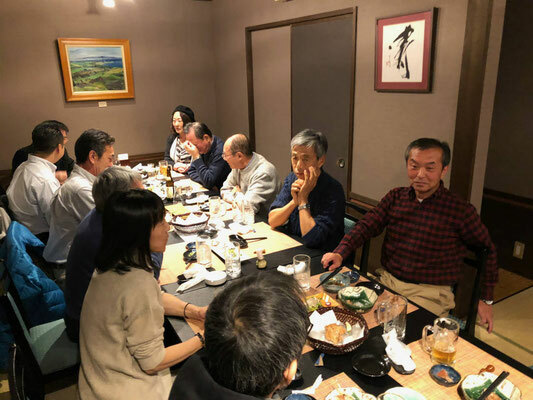 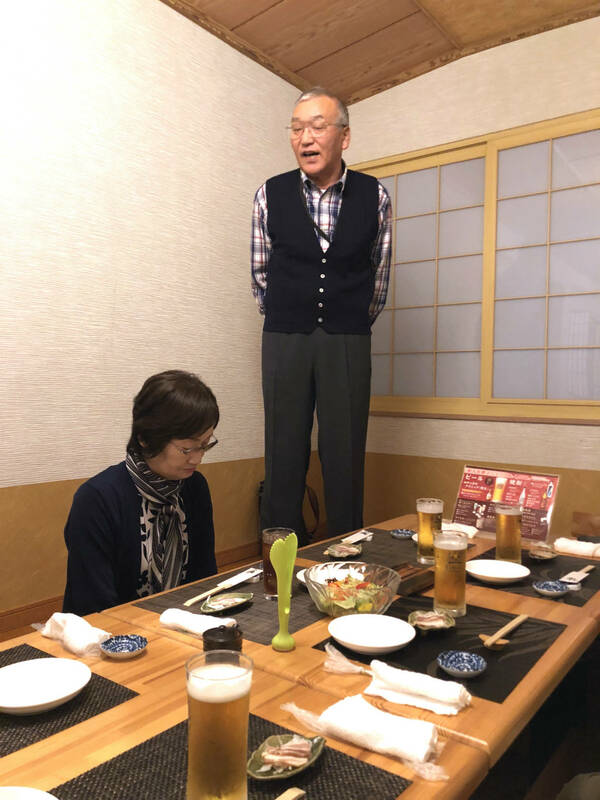 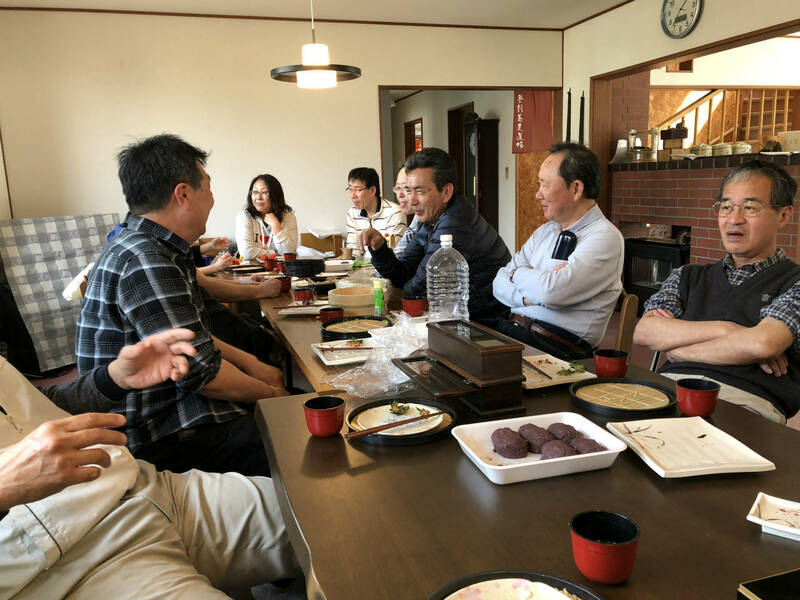 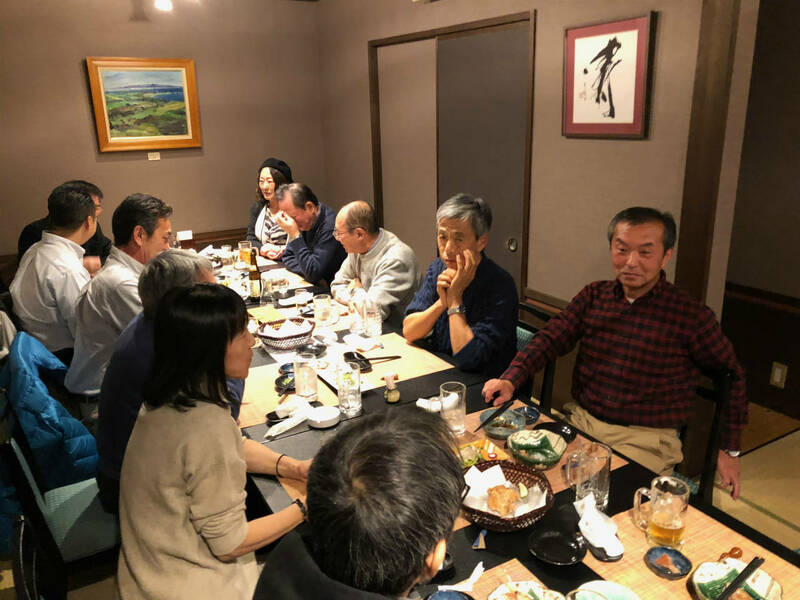 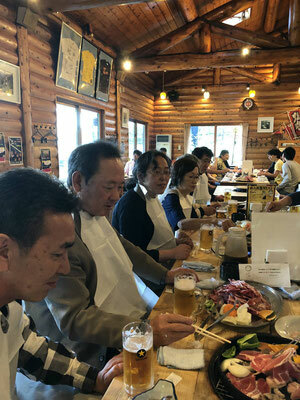 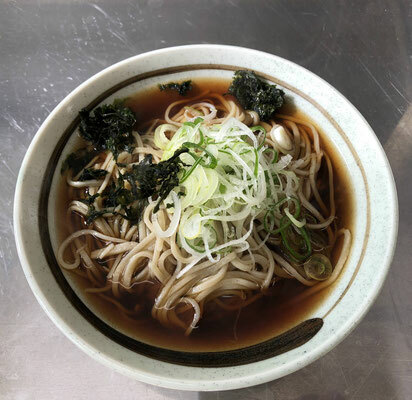 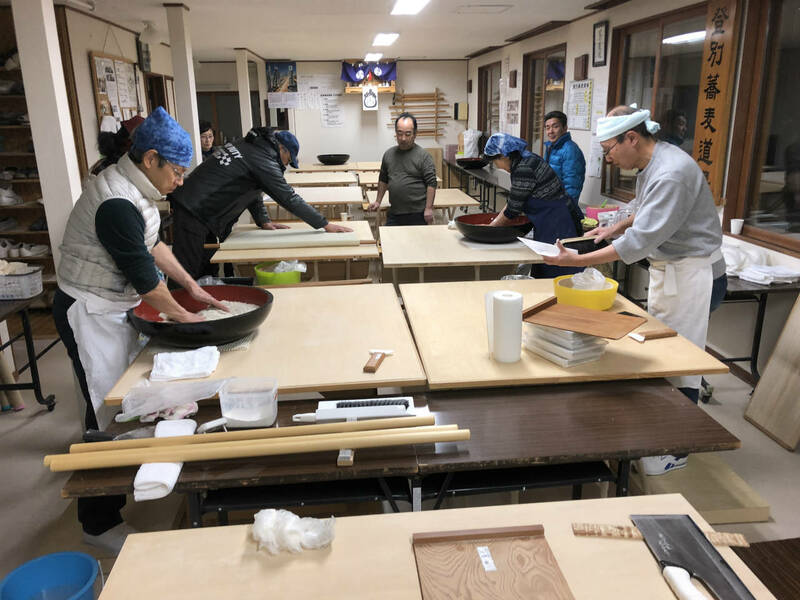 Mr. Matthew, Mr. Collin and Mrs. Diana, who are teaching English at high school in Muroran ,Date ,Noboribetsu district, came to this SOBA dojo to experience of making buckwheat noodles. 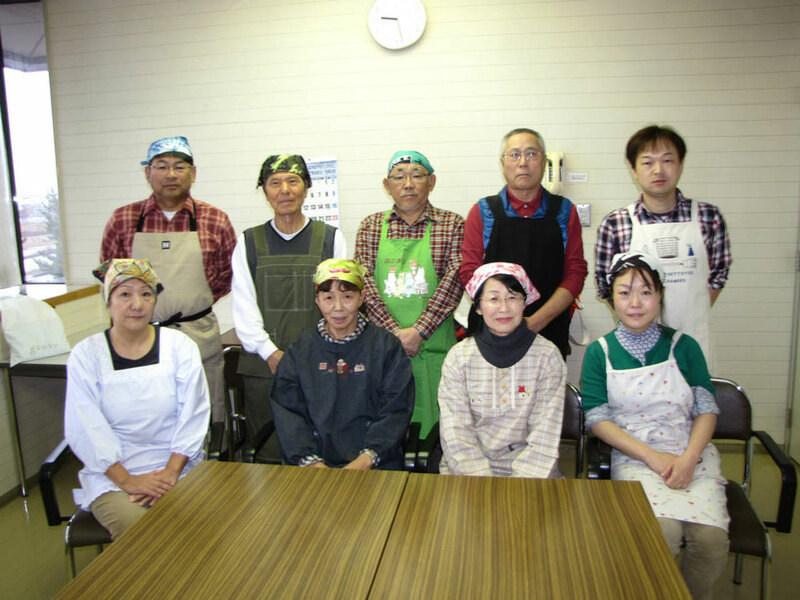 First of all it is ready by wearing an apron and winding a bandana on the head. 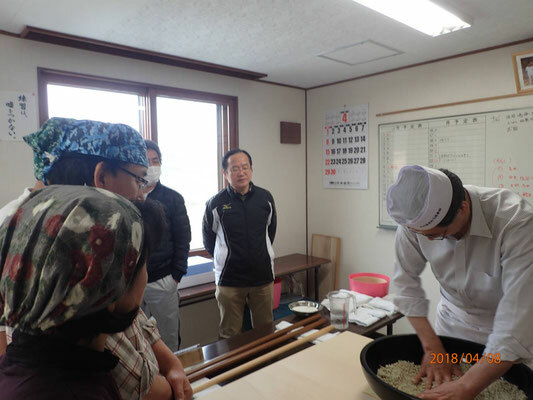 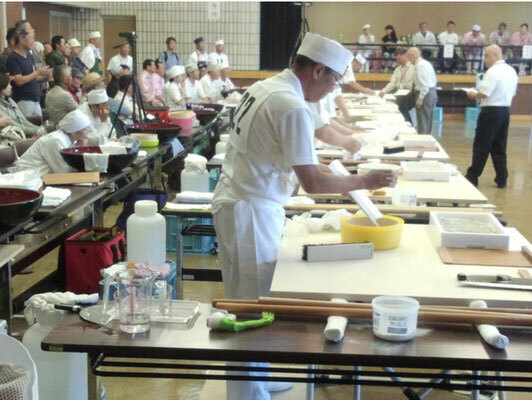 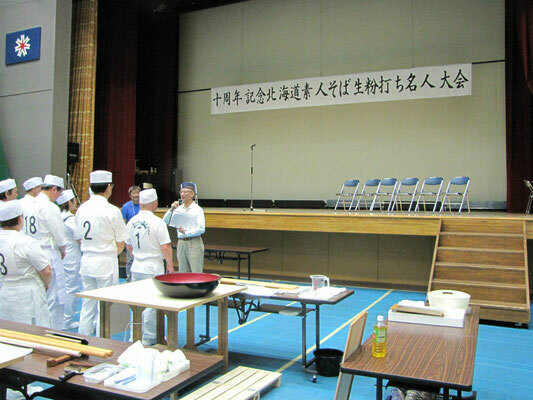 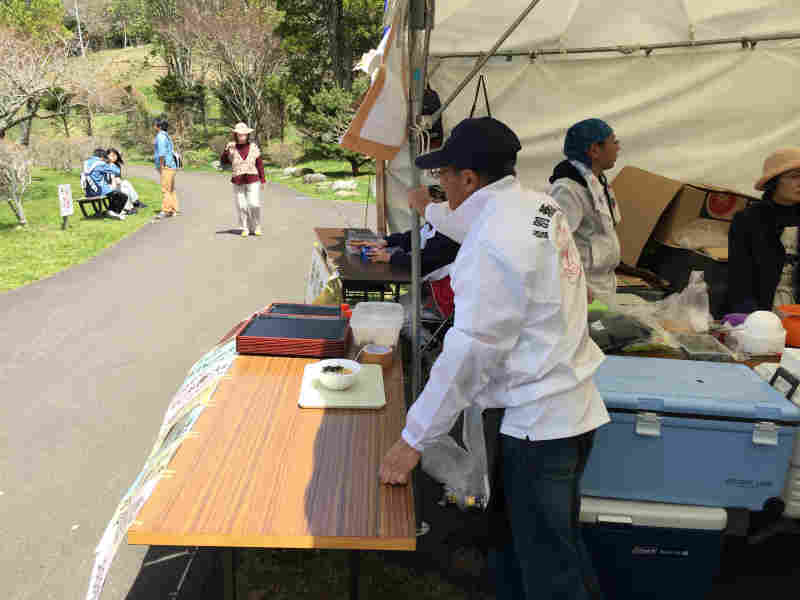 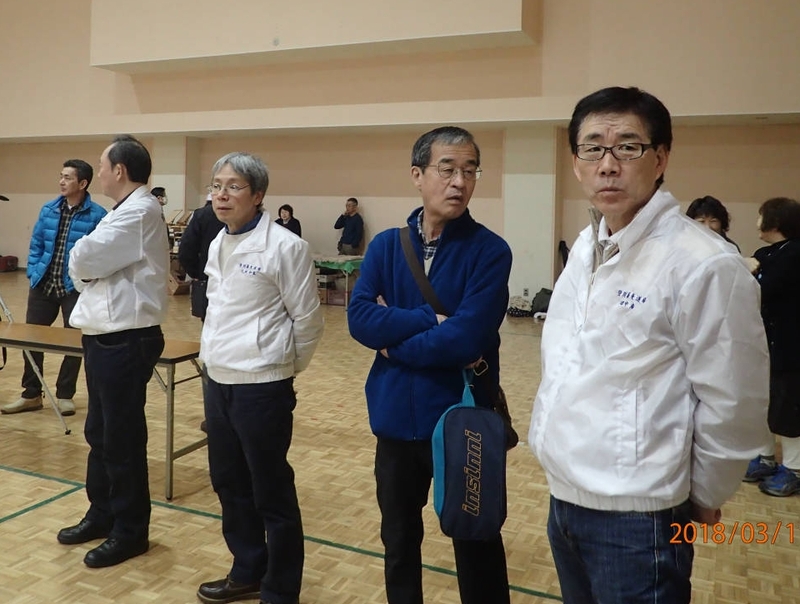 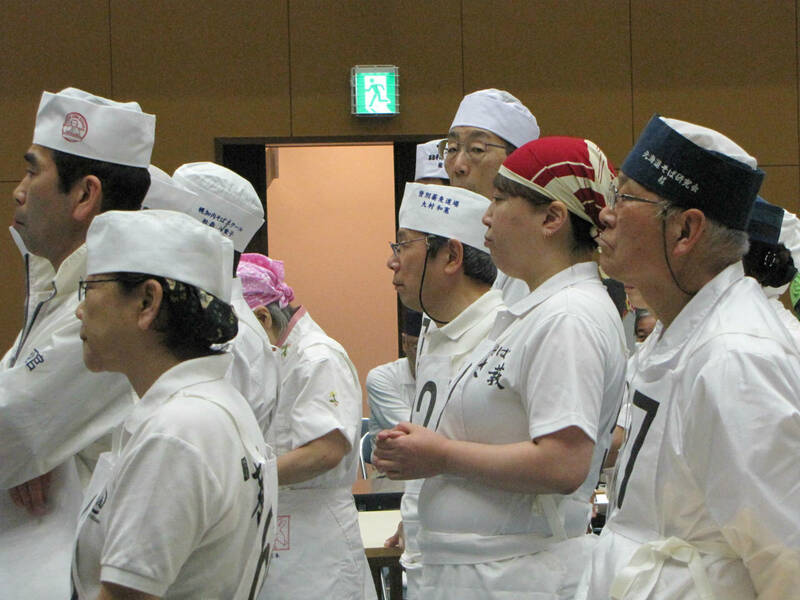 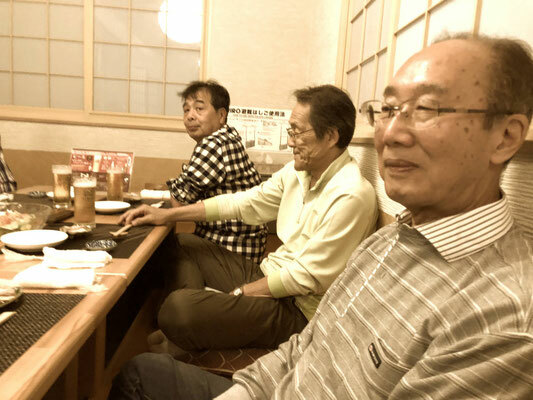 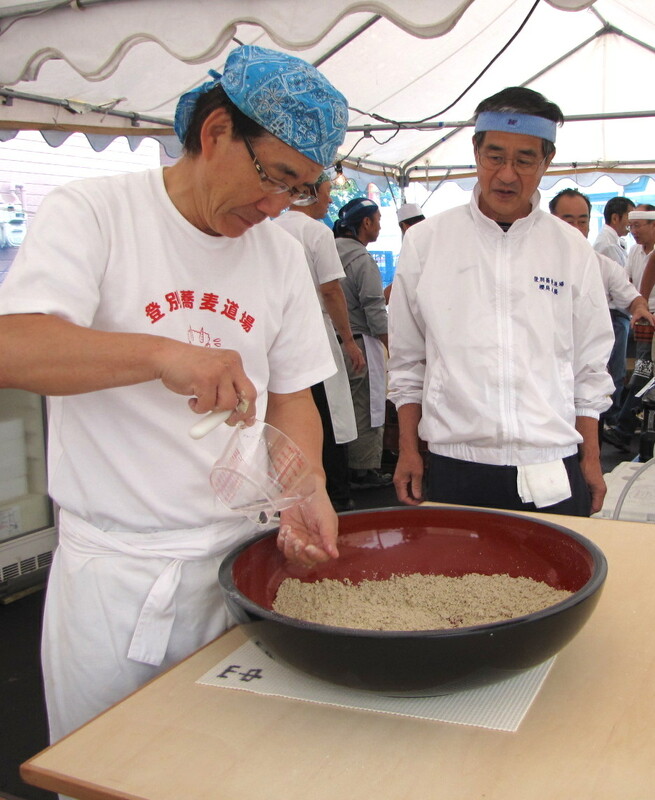 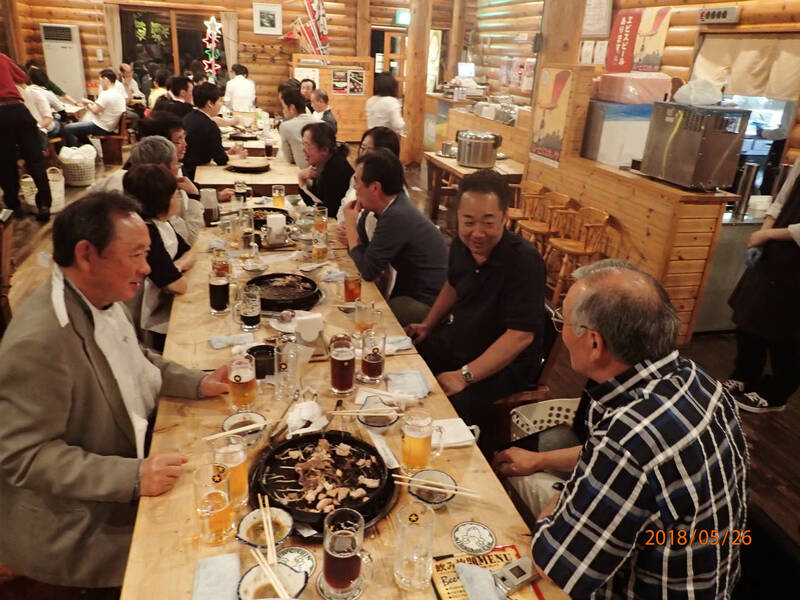 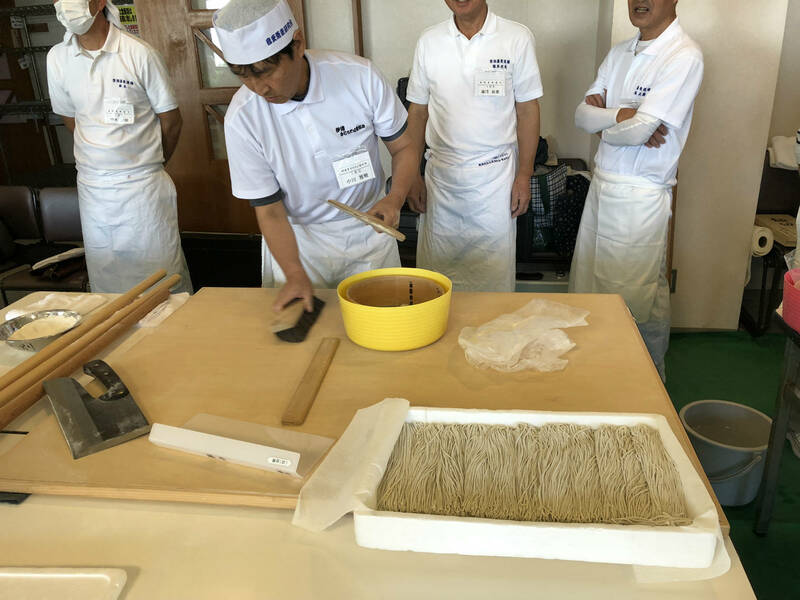 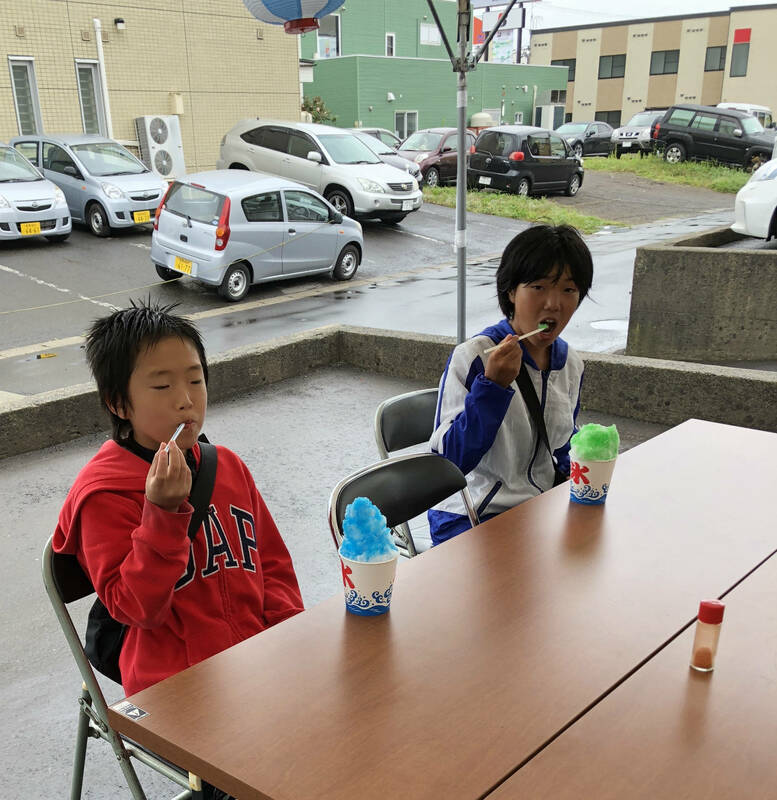 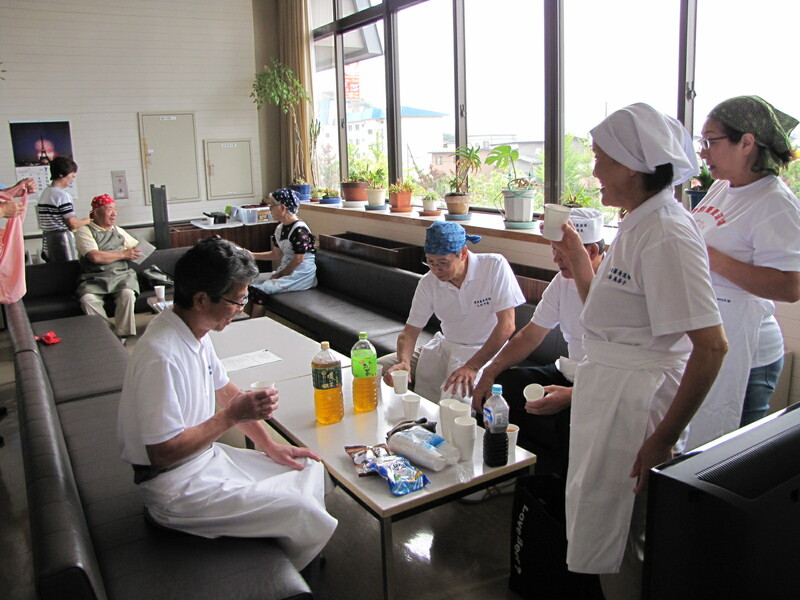 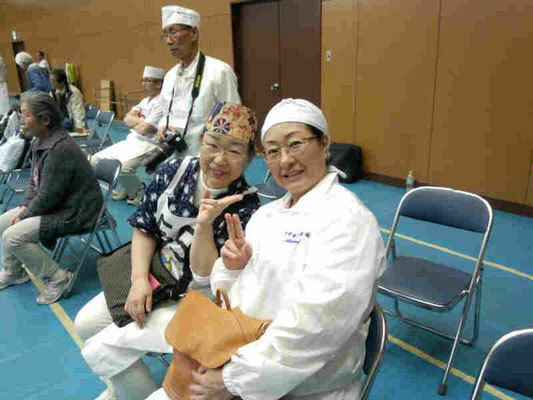 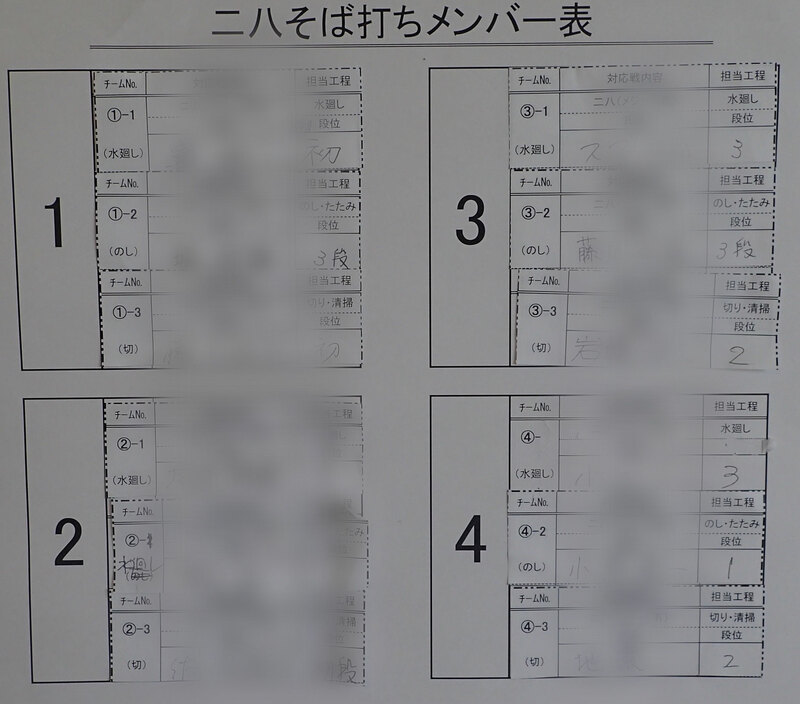 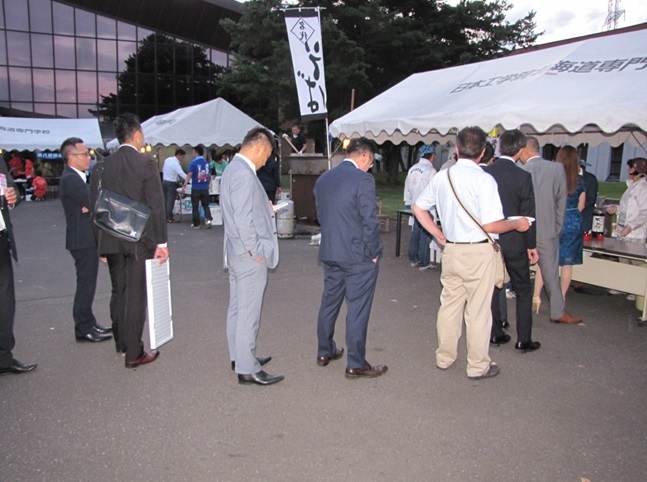 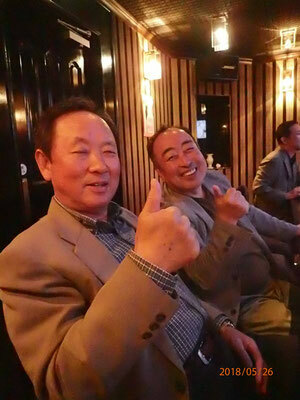 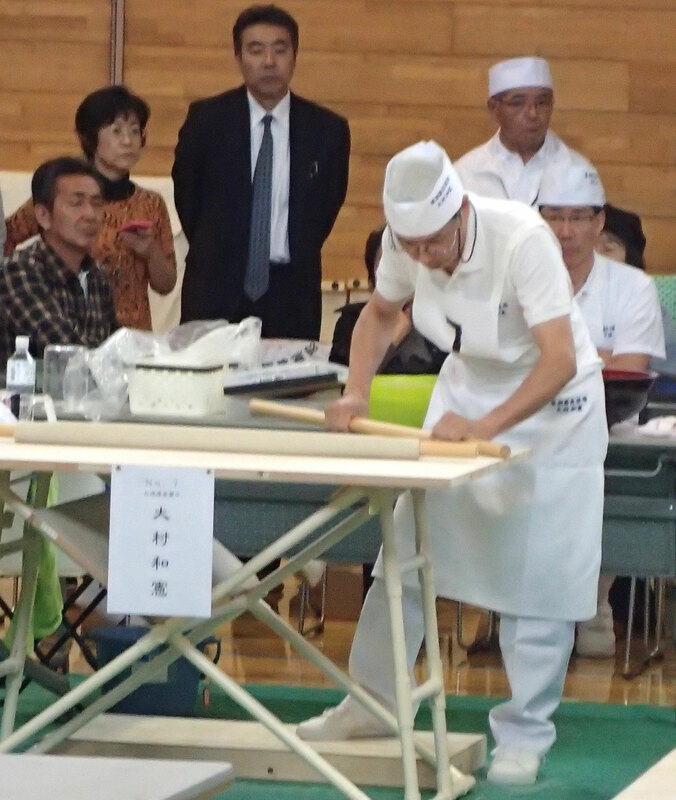 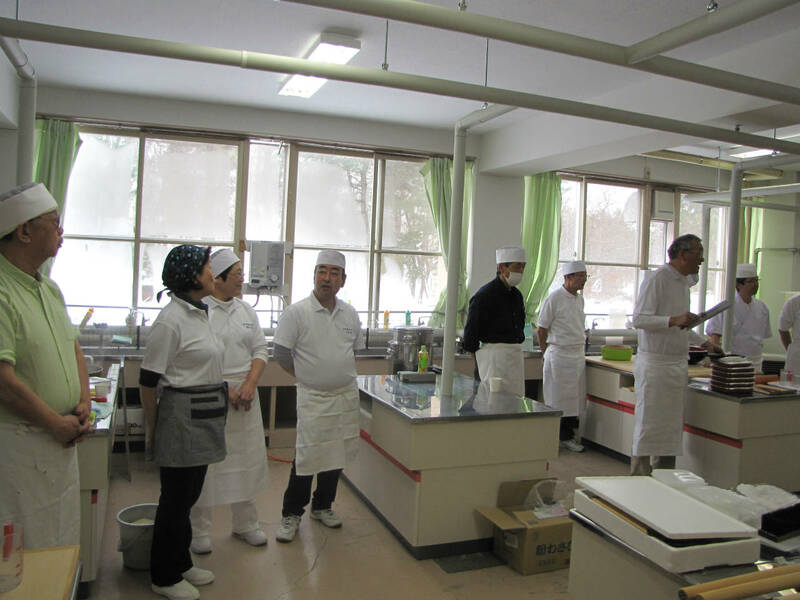 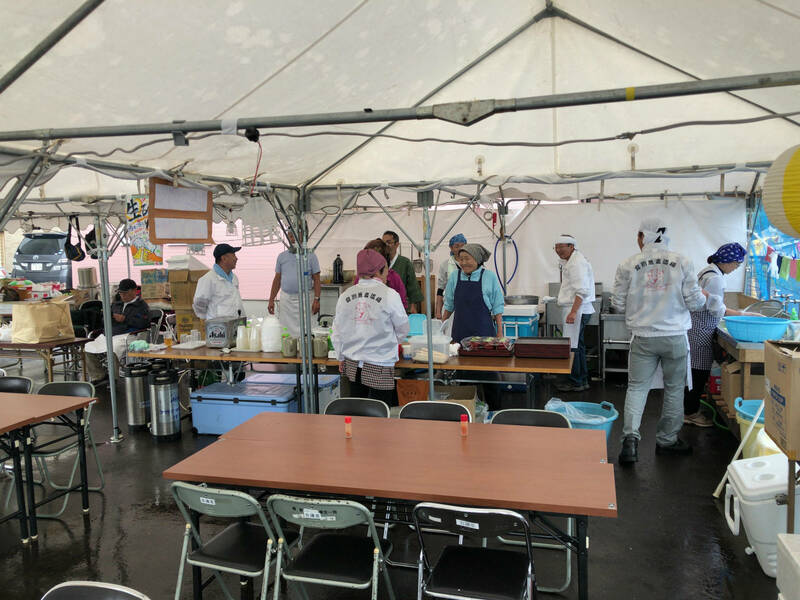 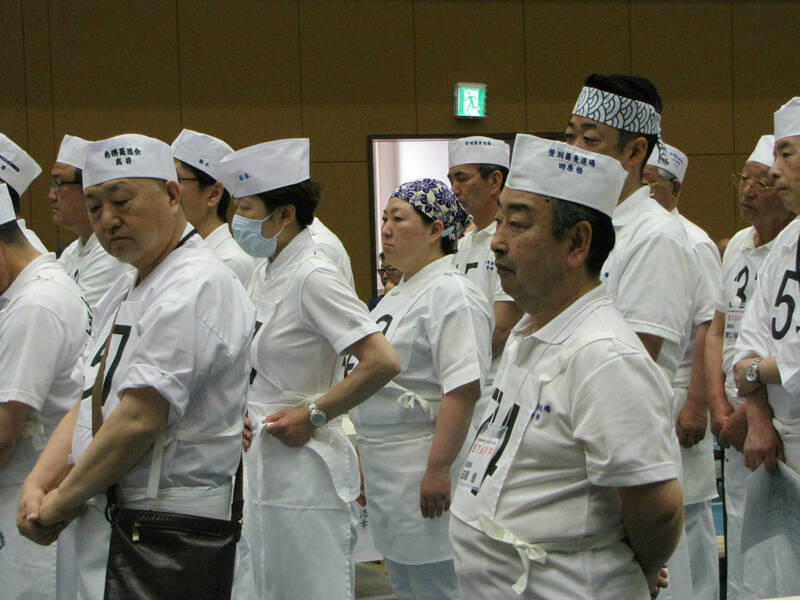 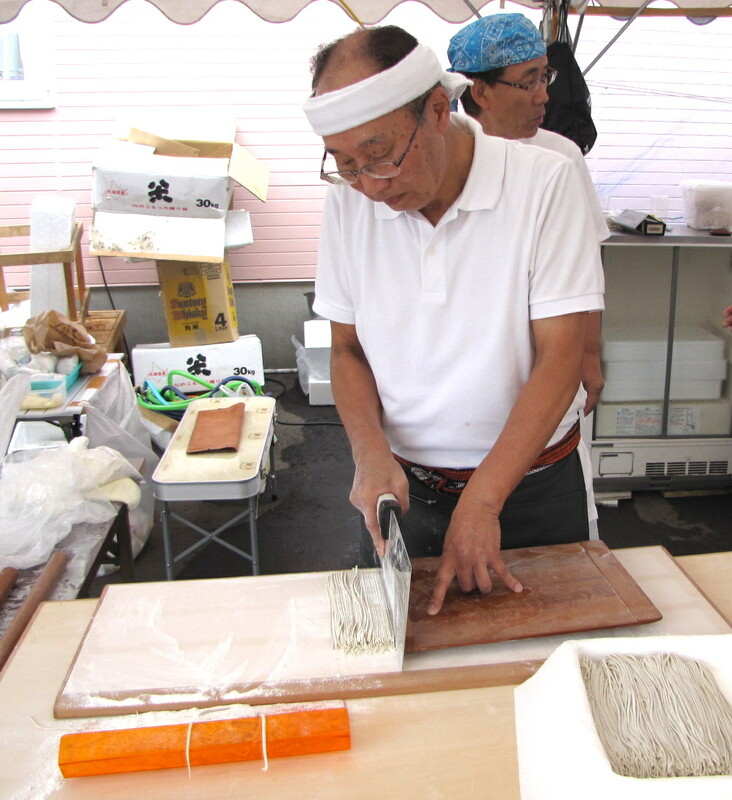 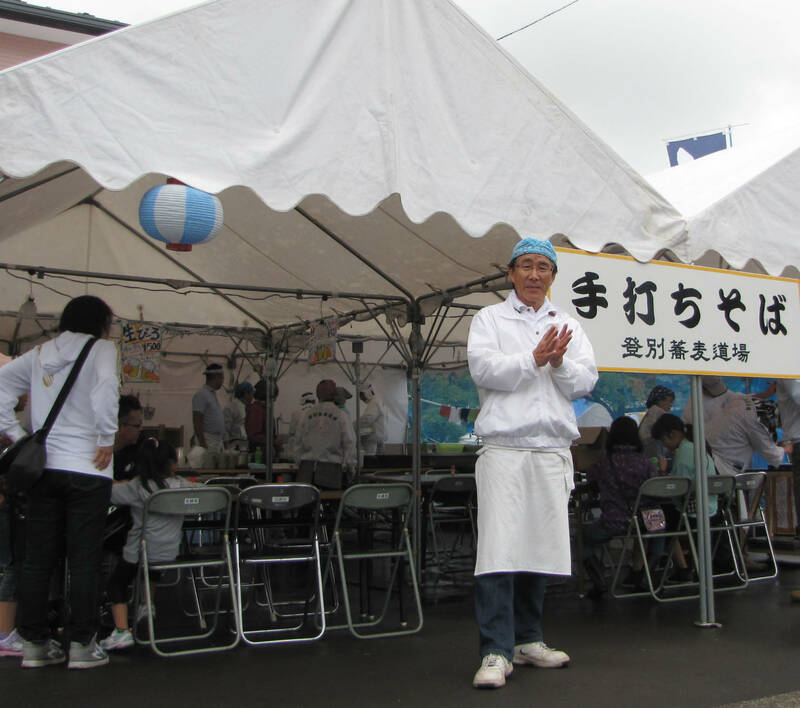 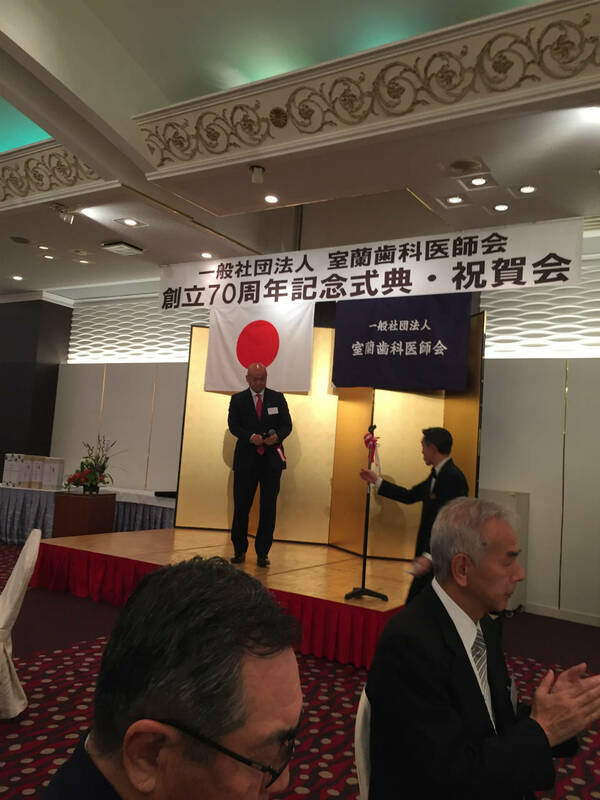 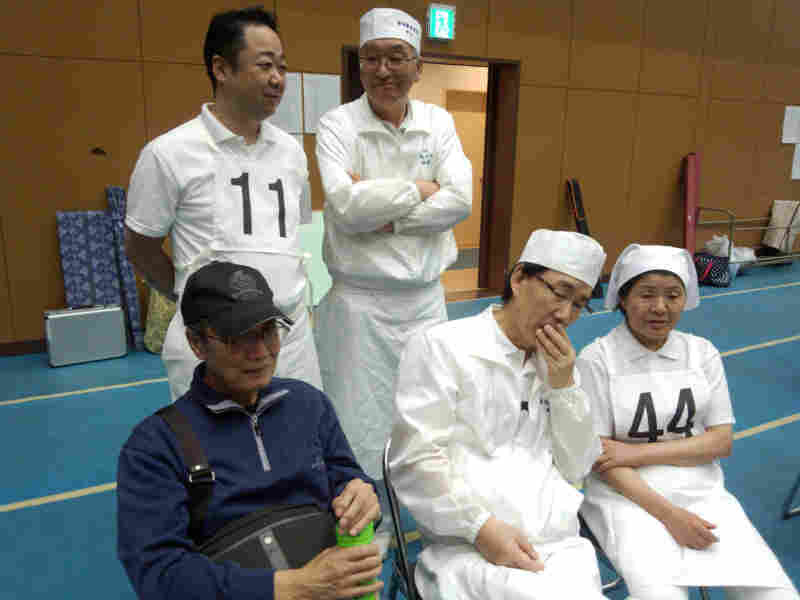 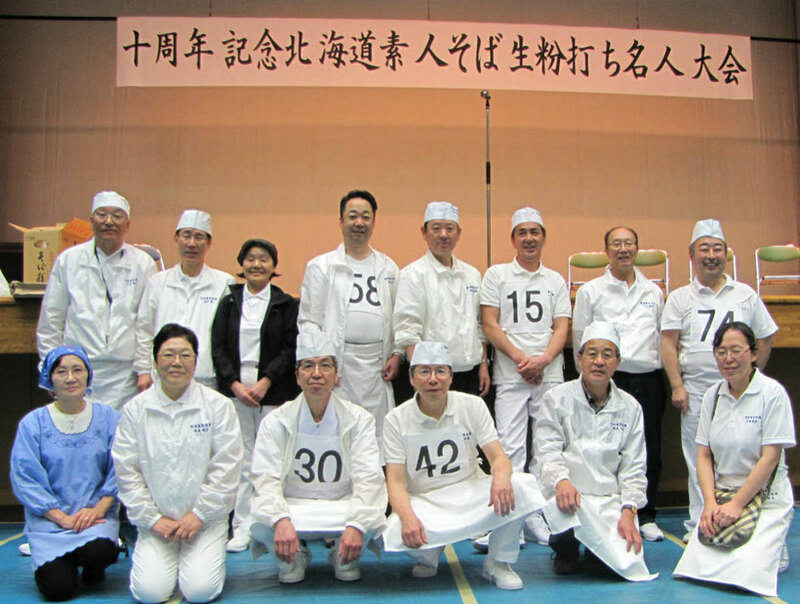 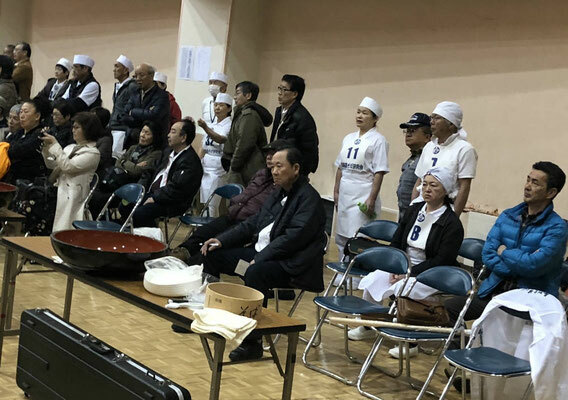 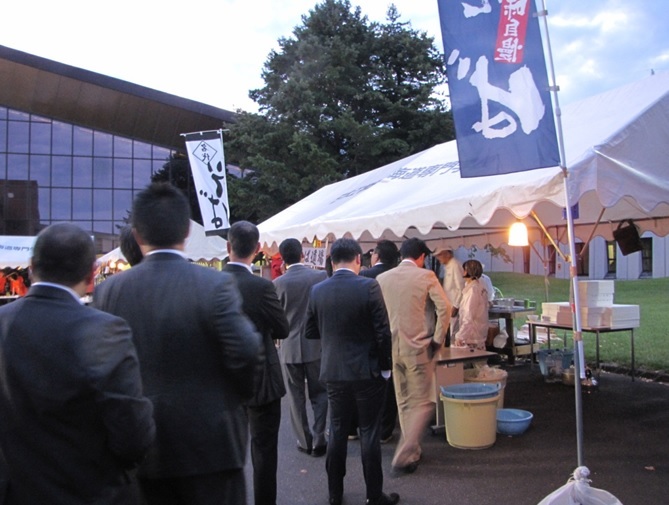 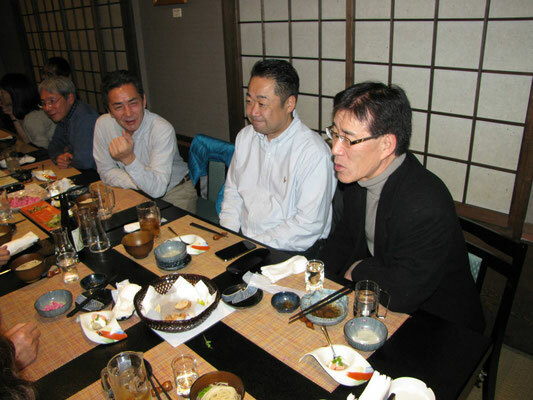 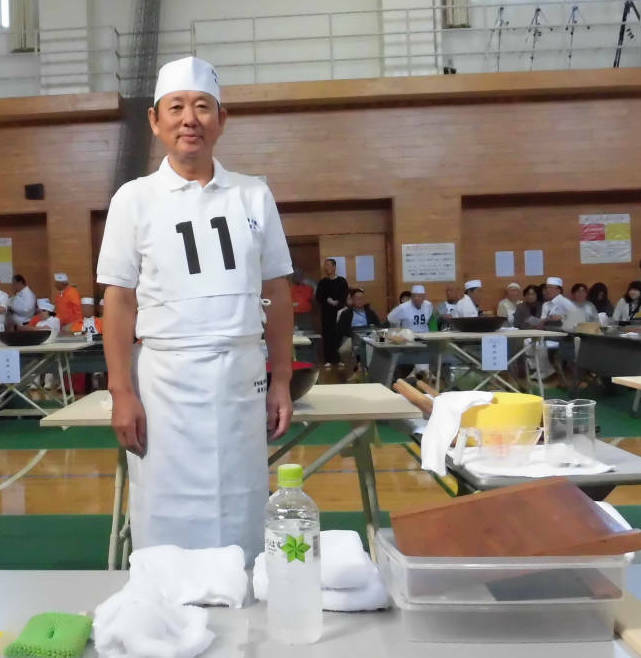 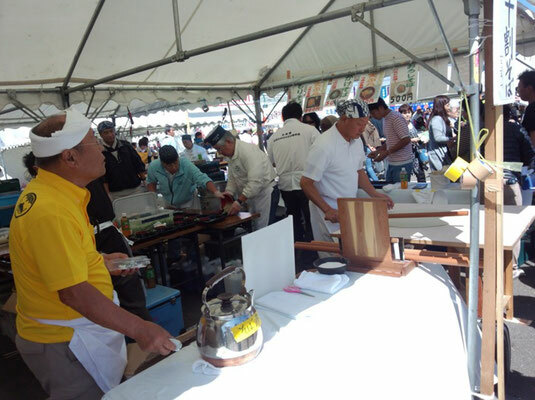 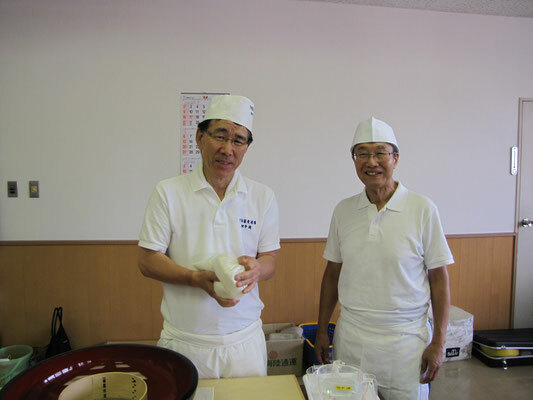 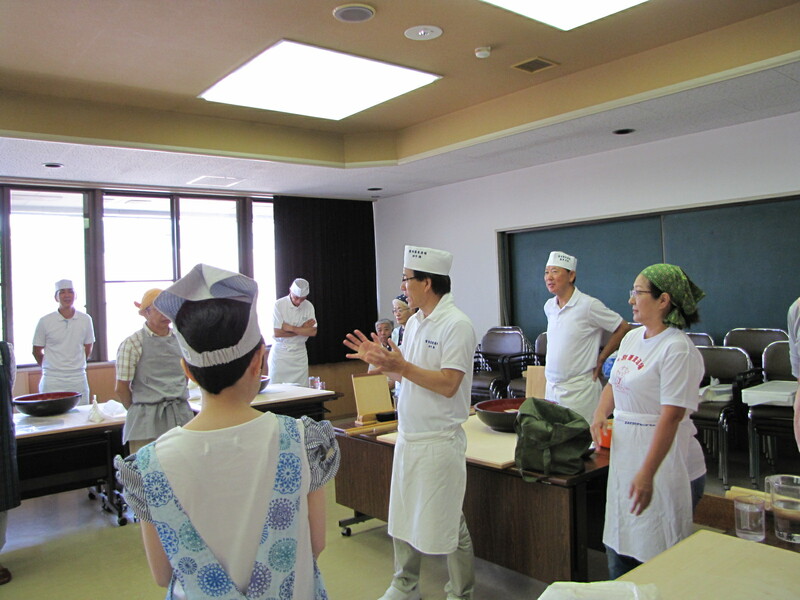 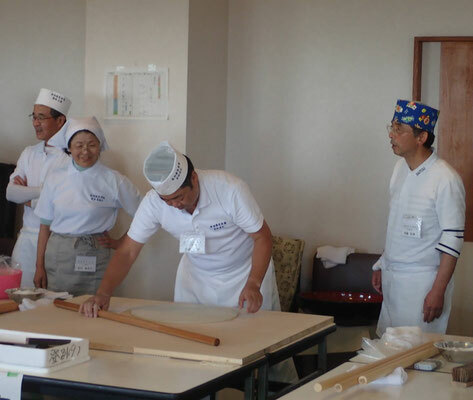 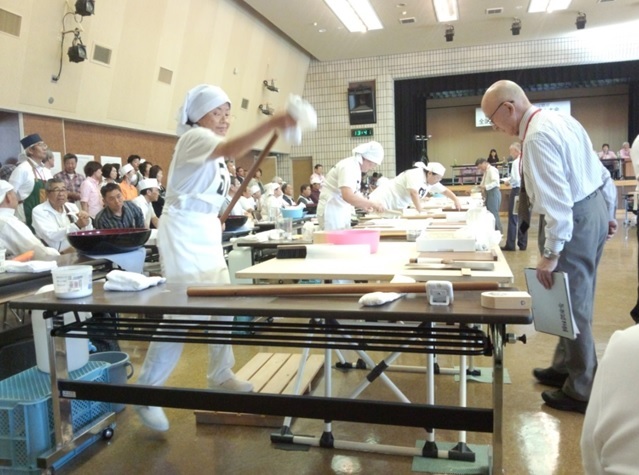 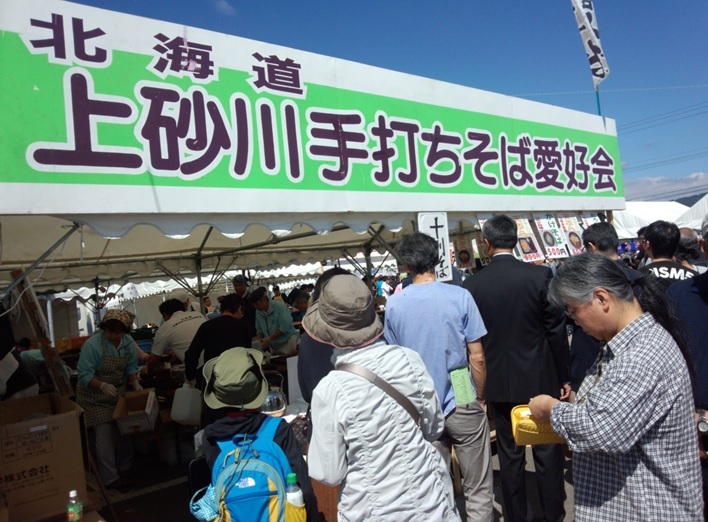 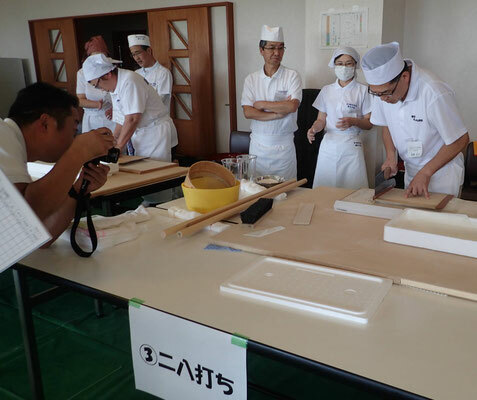 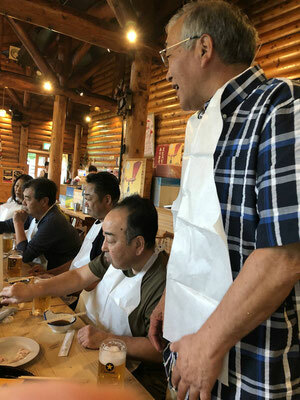 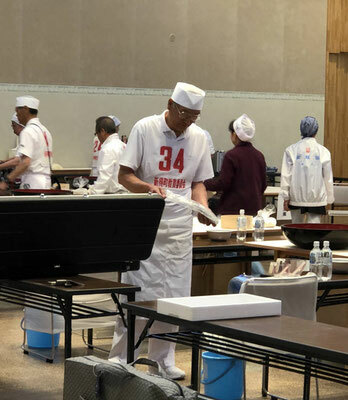 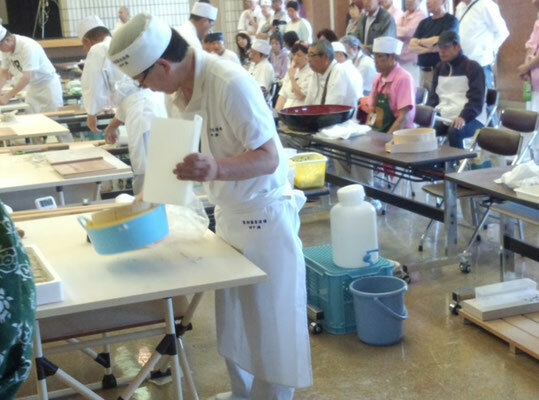 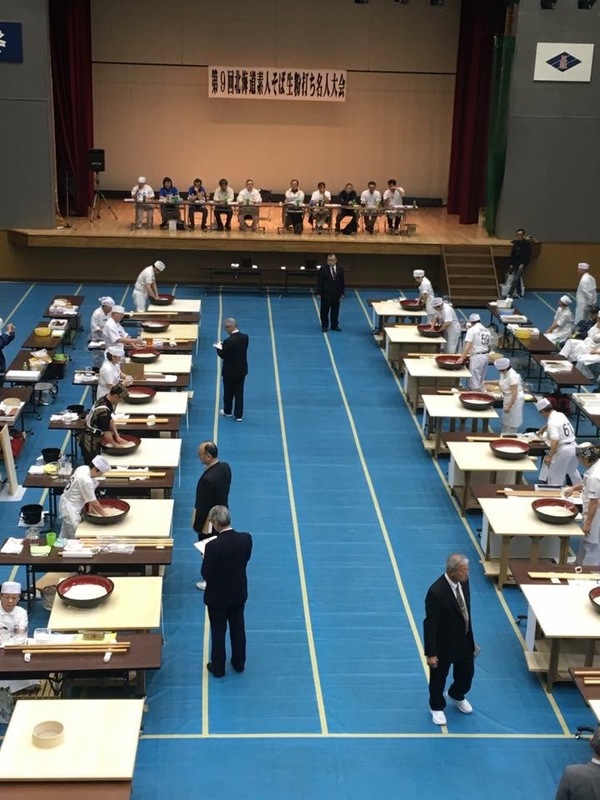 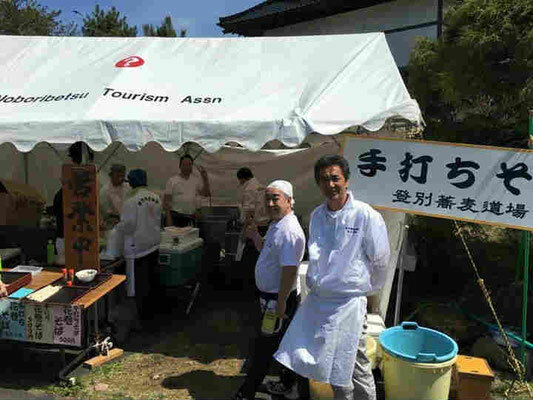 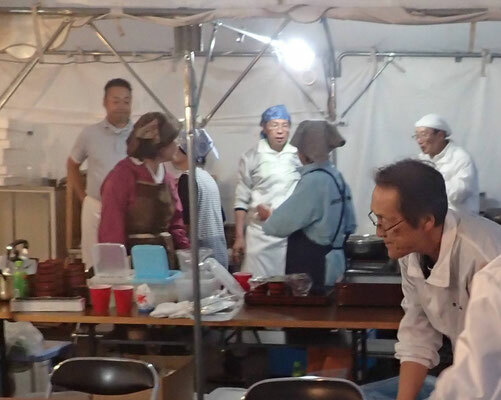 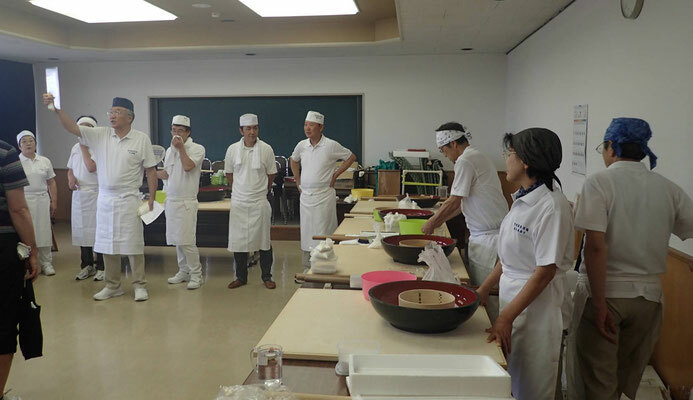 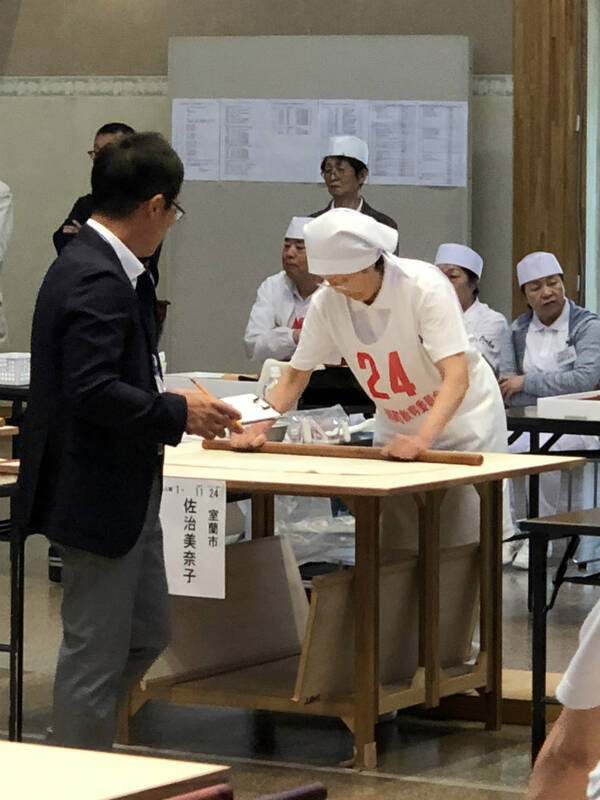 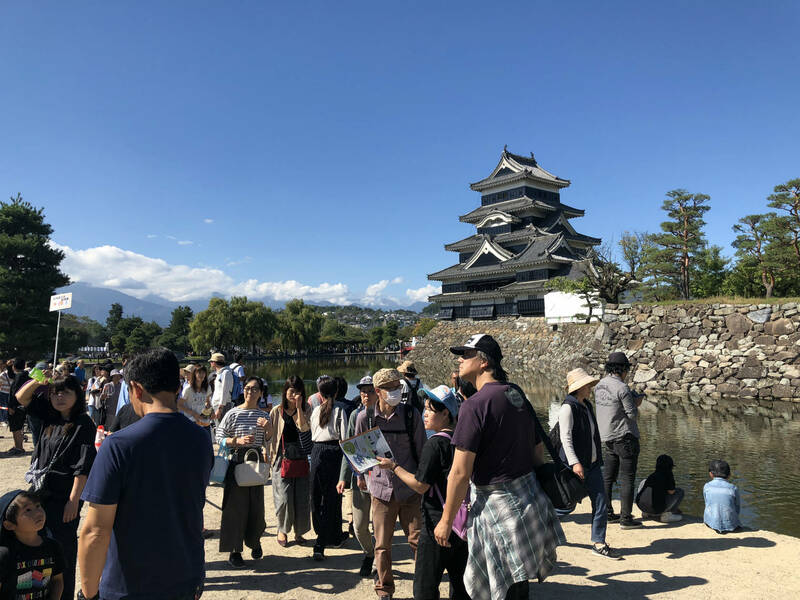 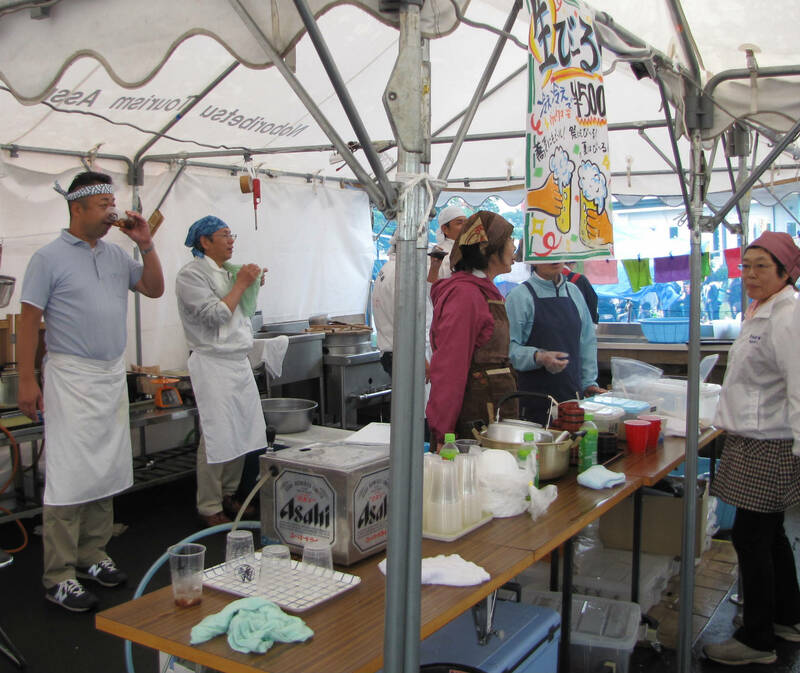 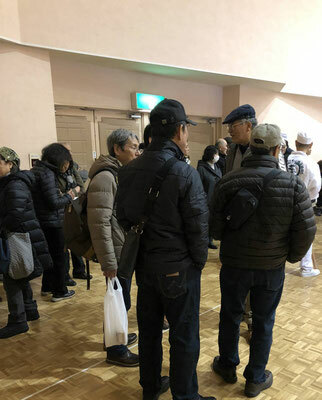 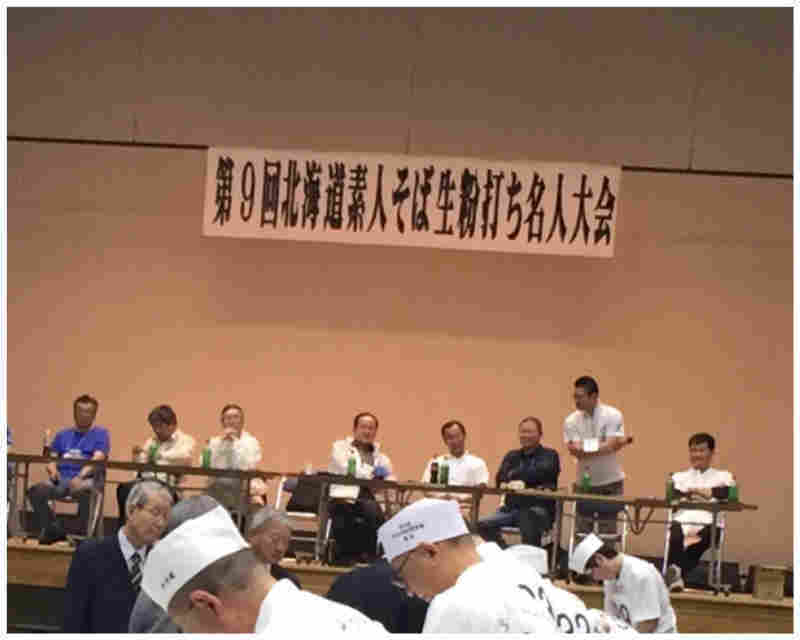 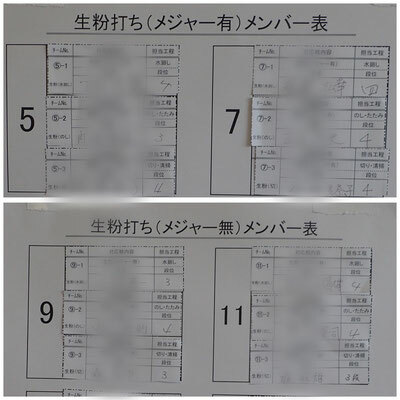 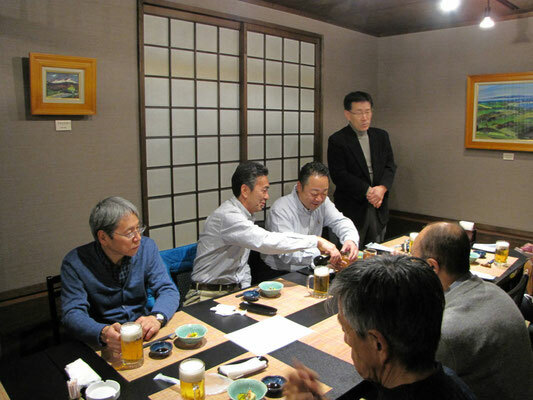 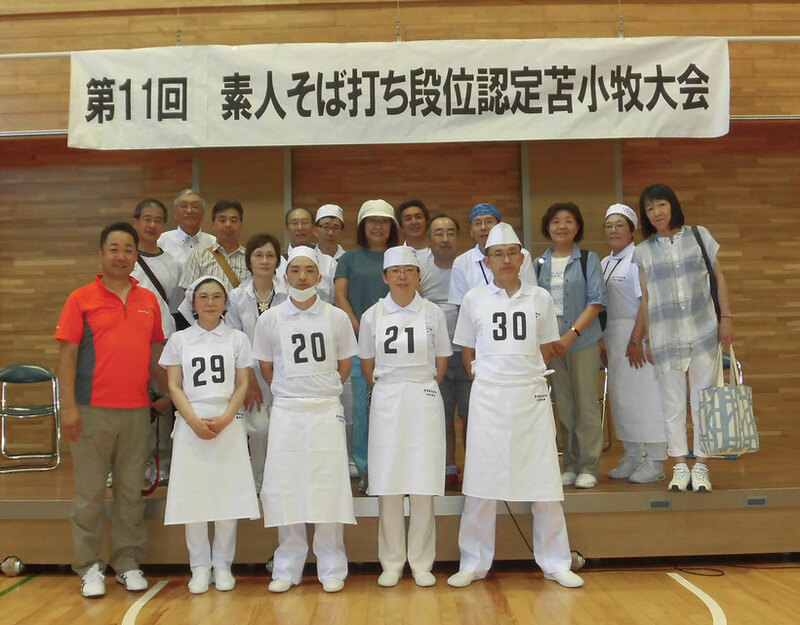 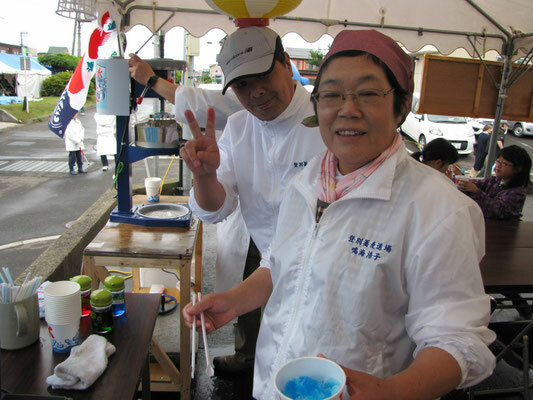 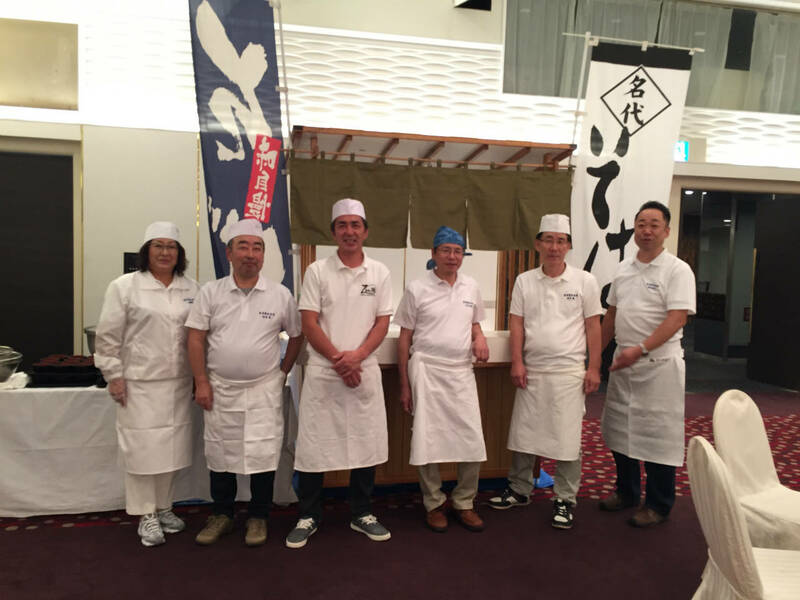 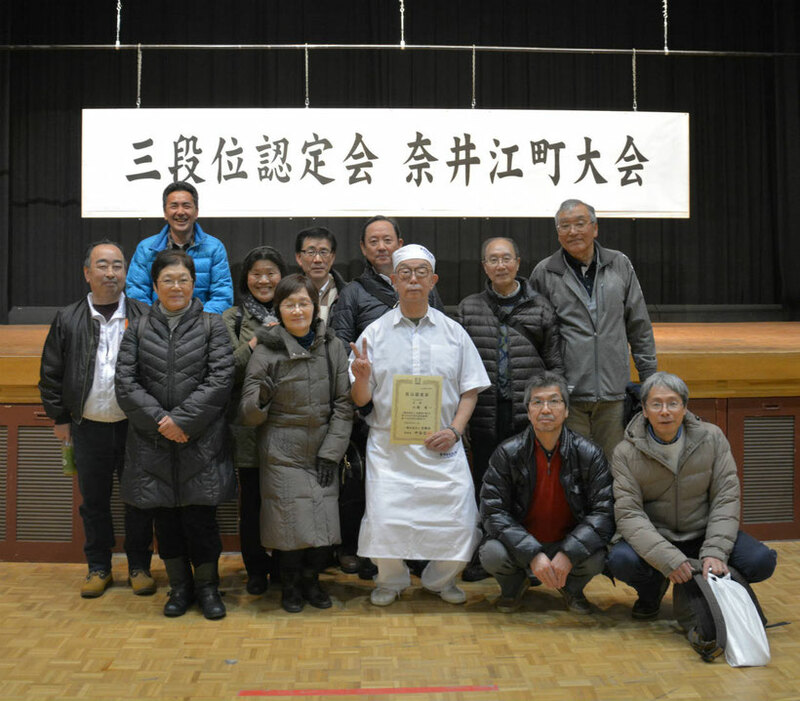 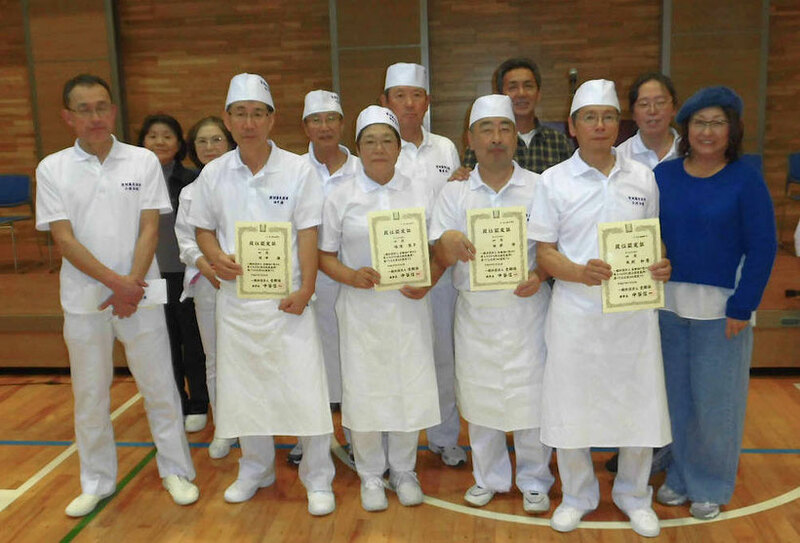 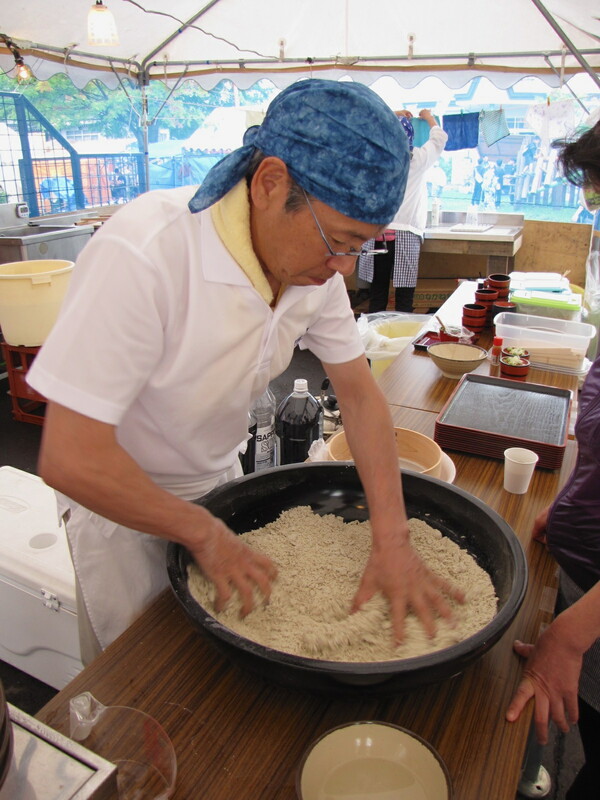 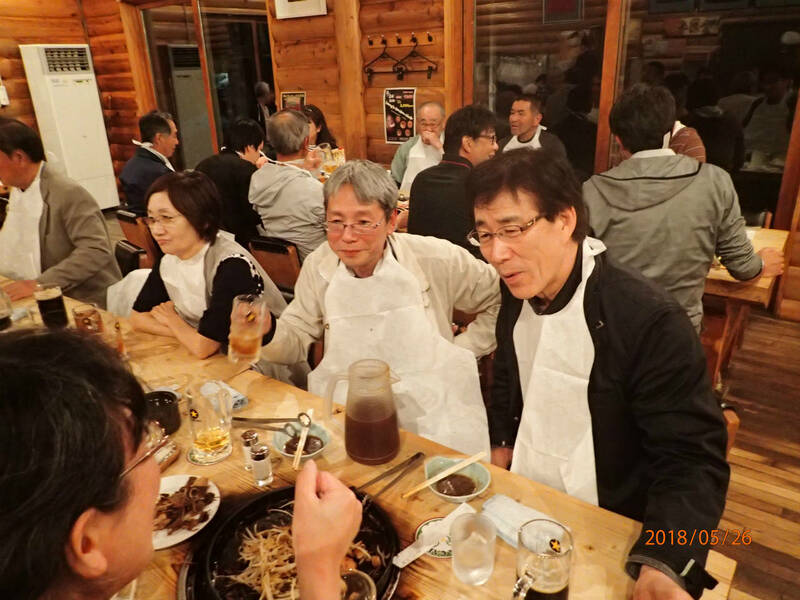 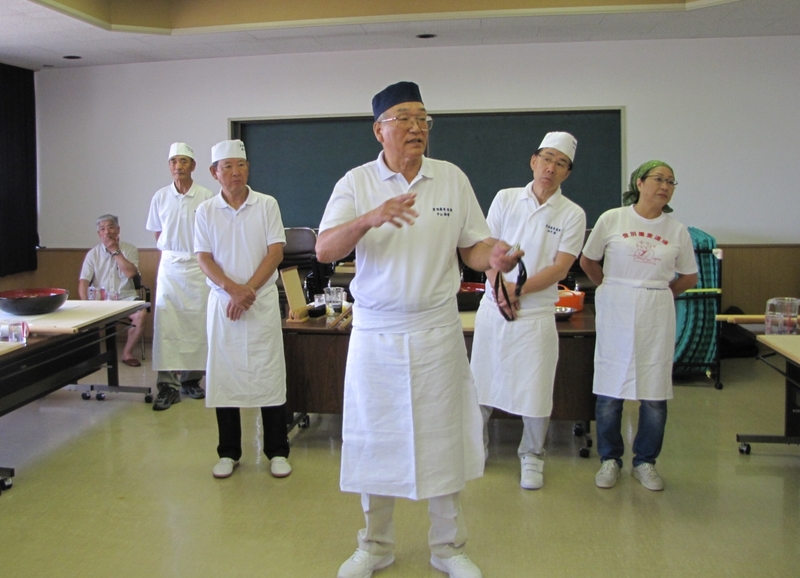 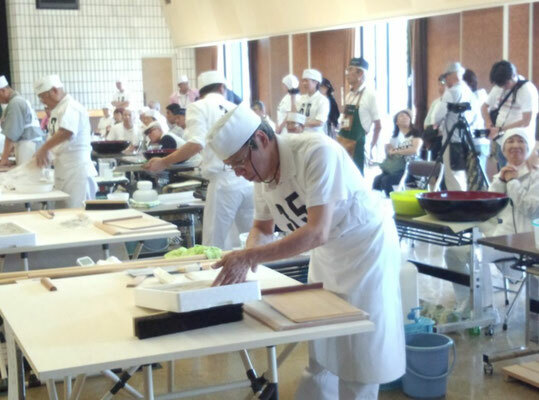 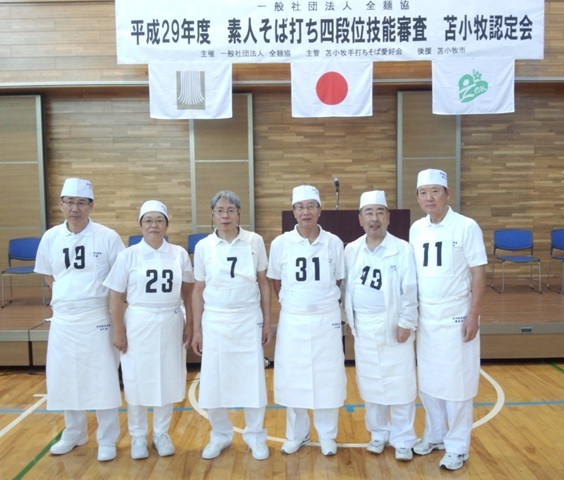 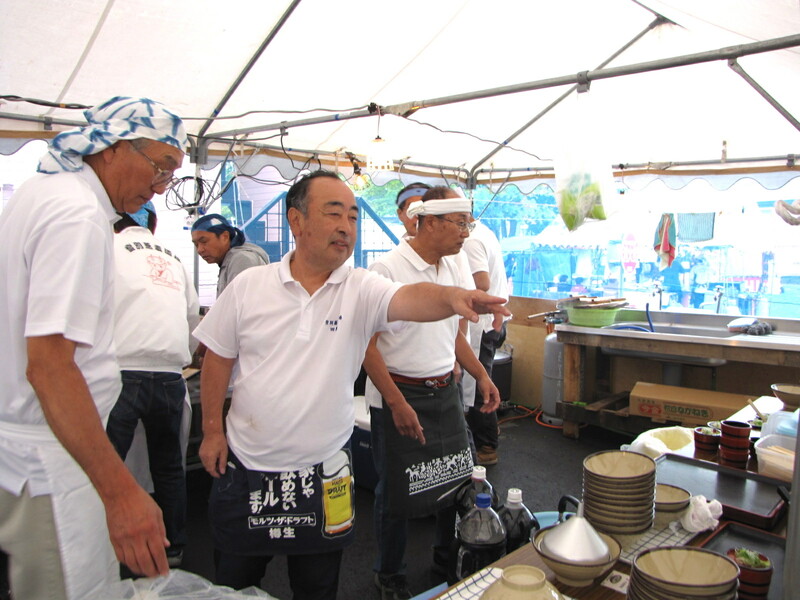 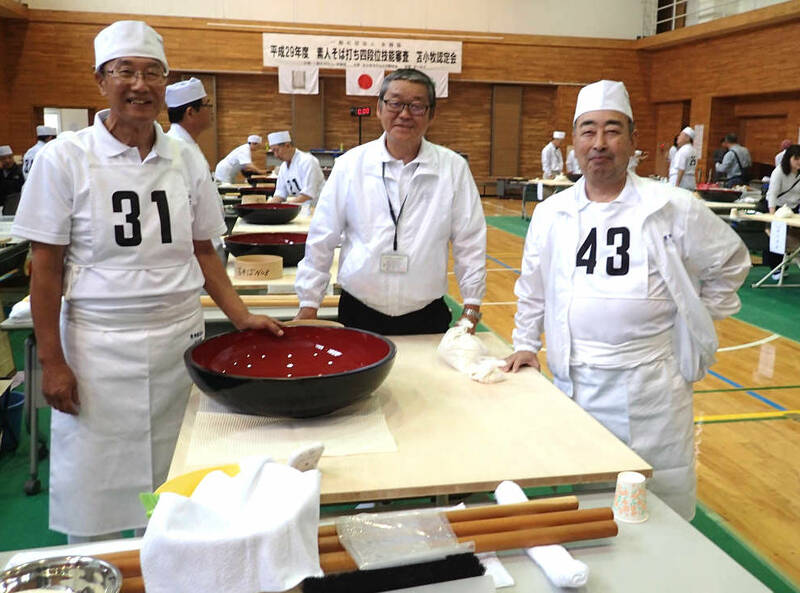 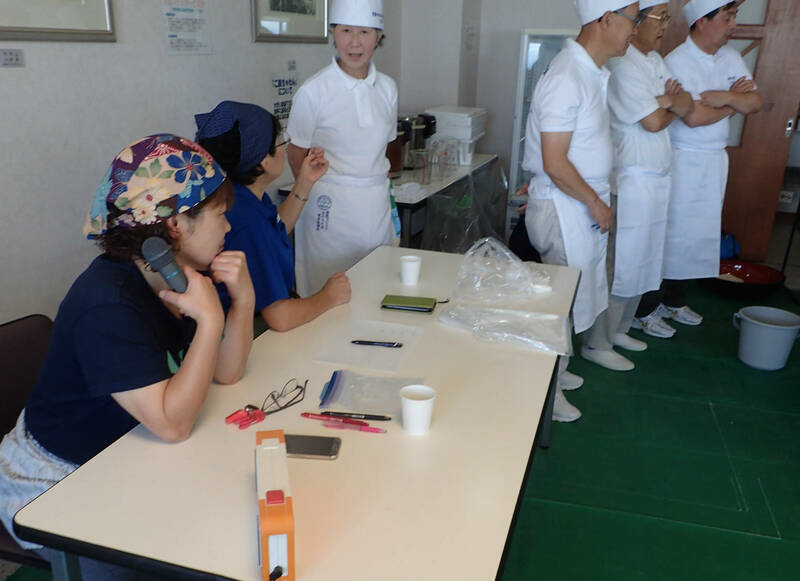 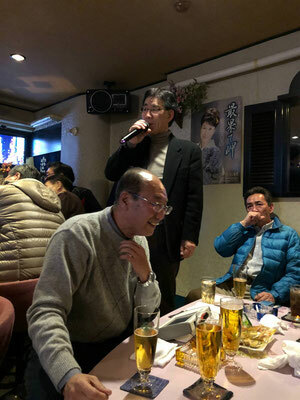 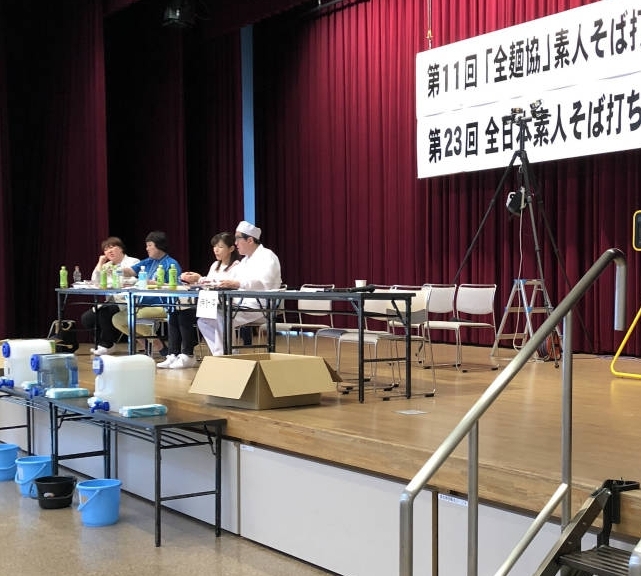 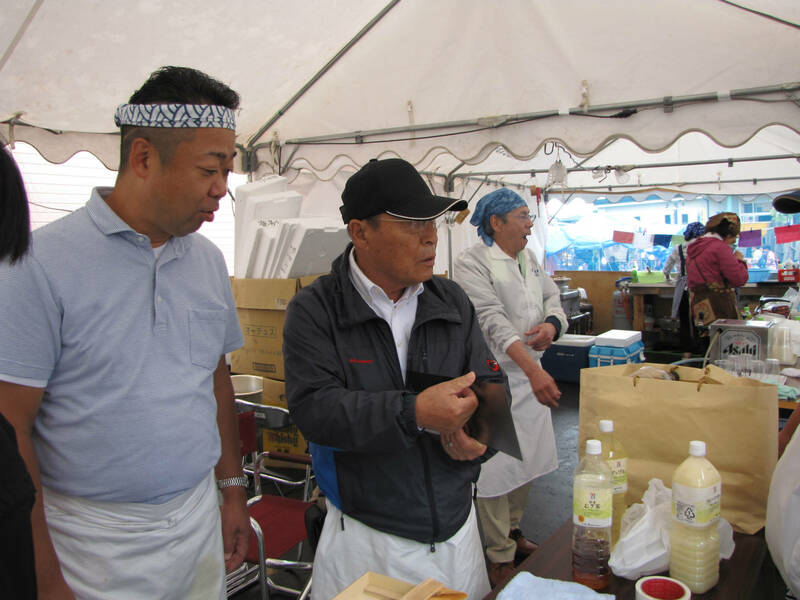 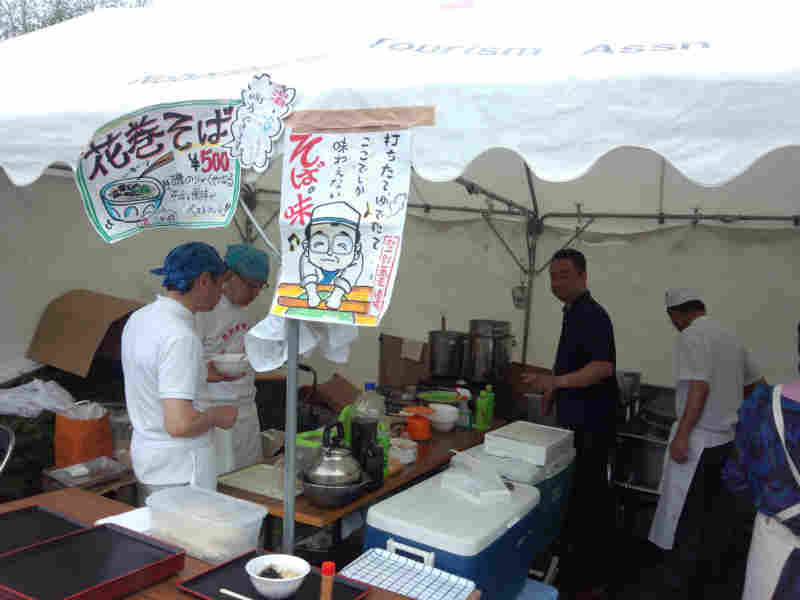 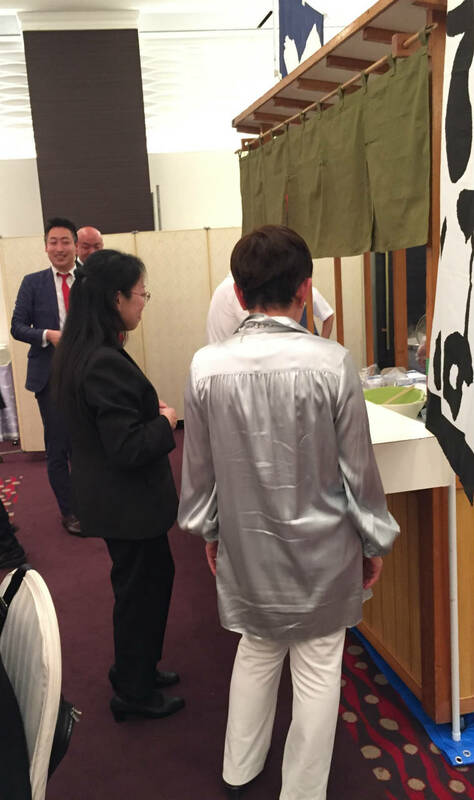 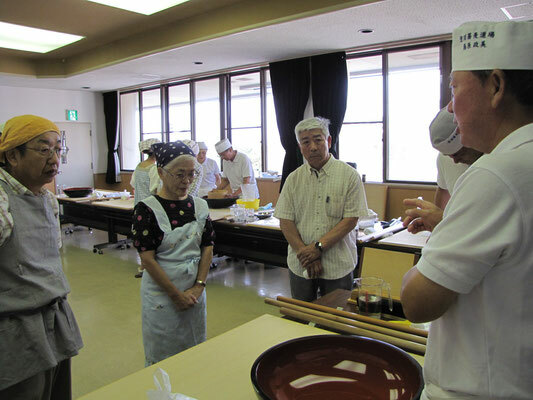 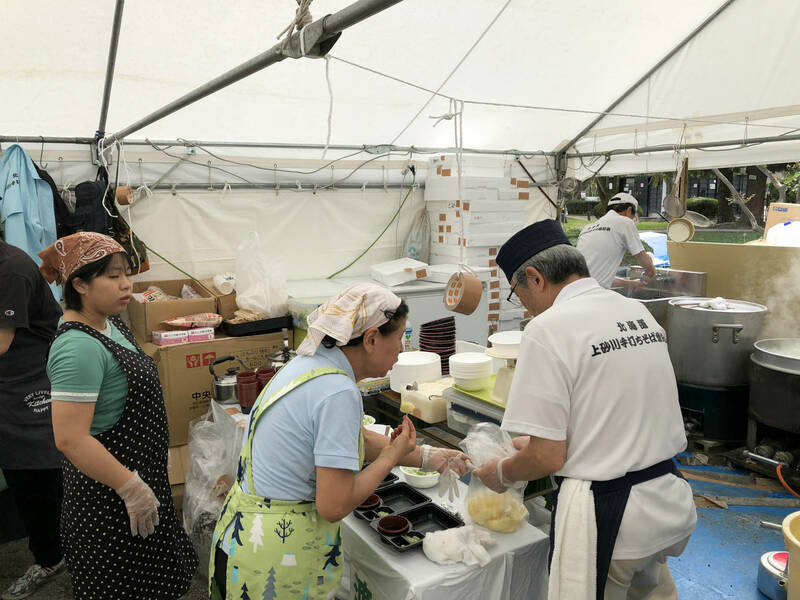 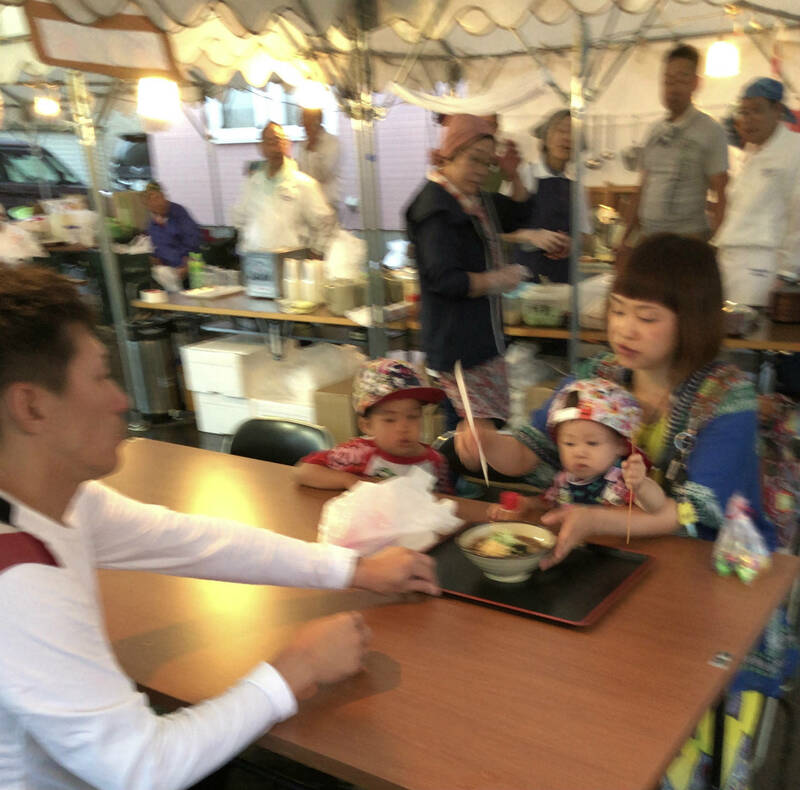 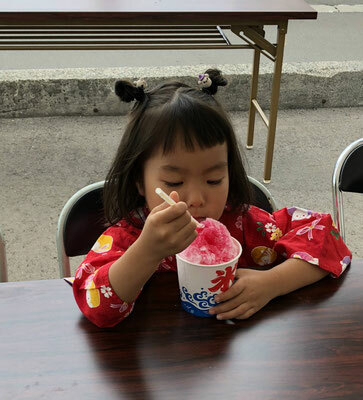 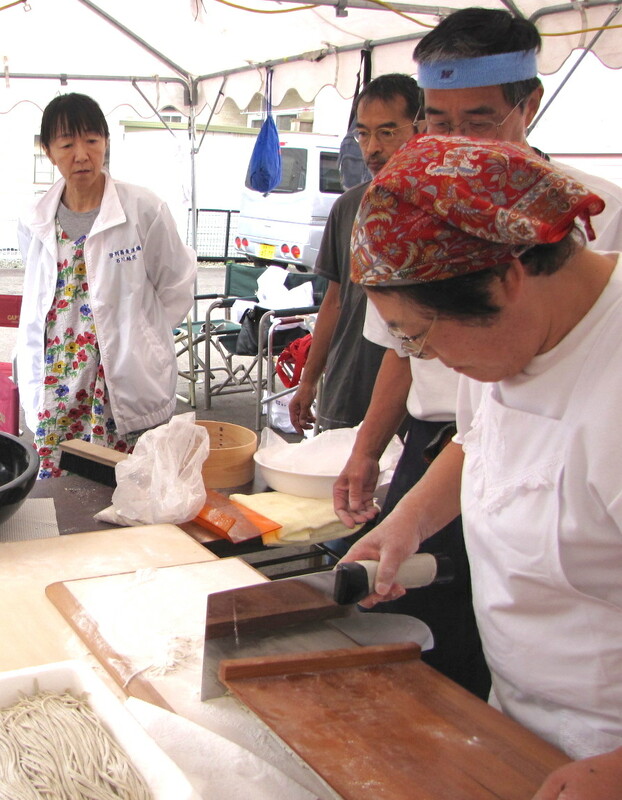 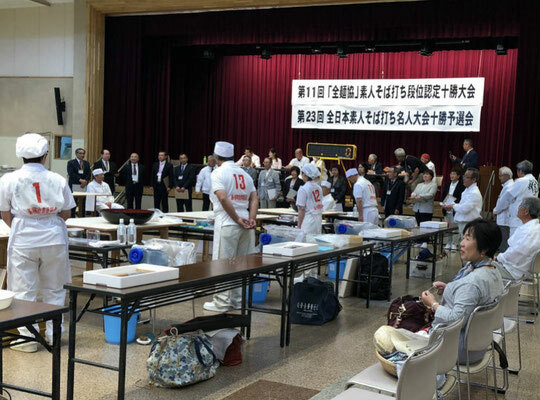 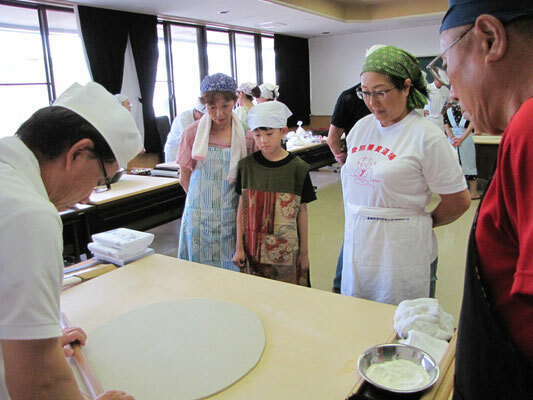 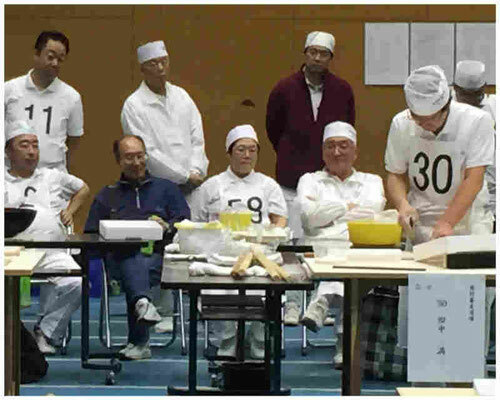 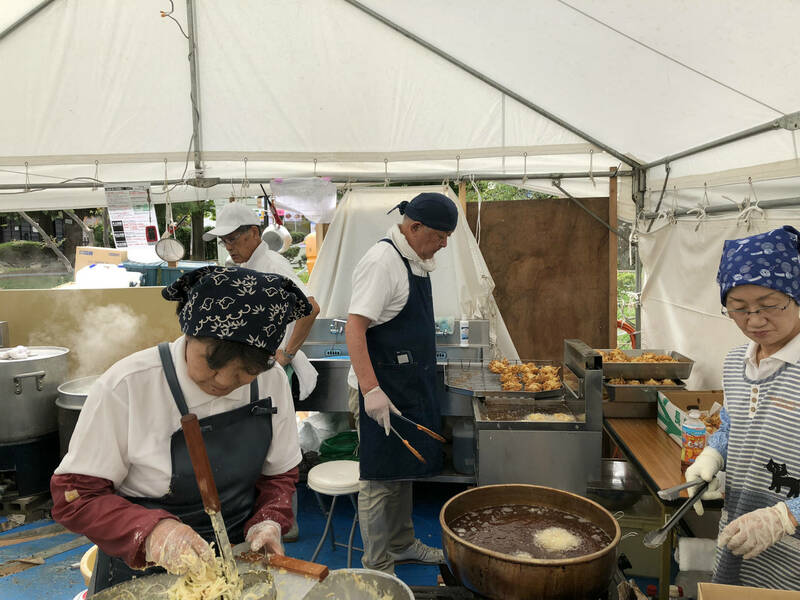 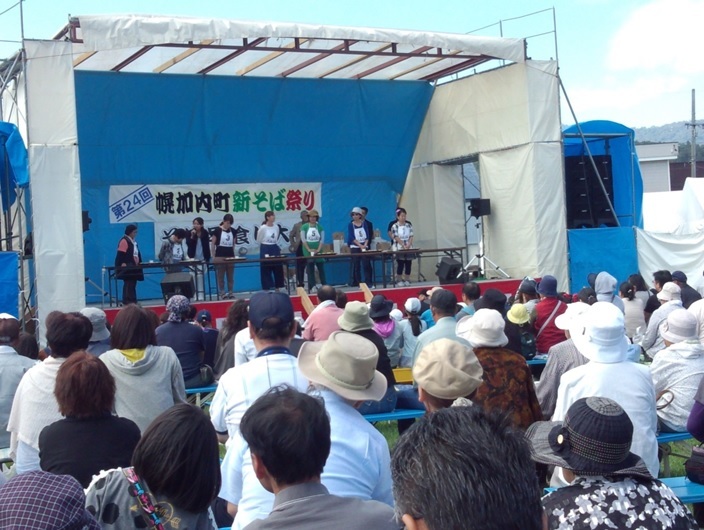 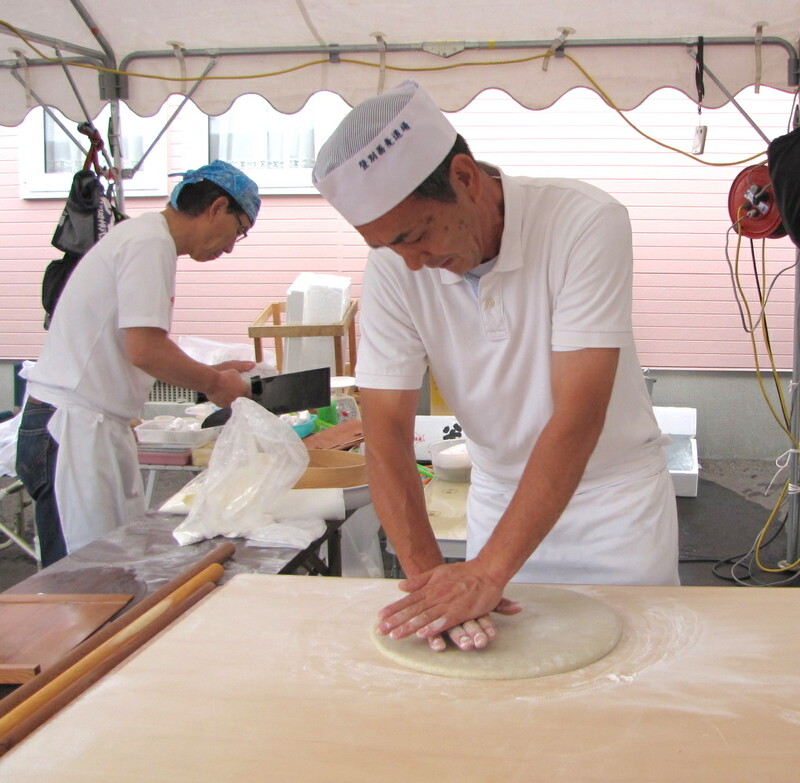 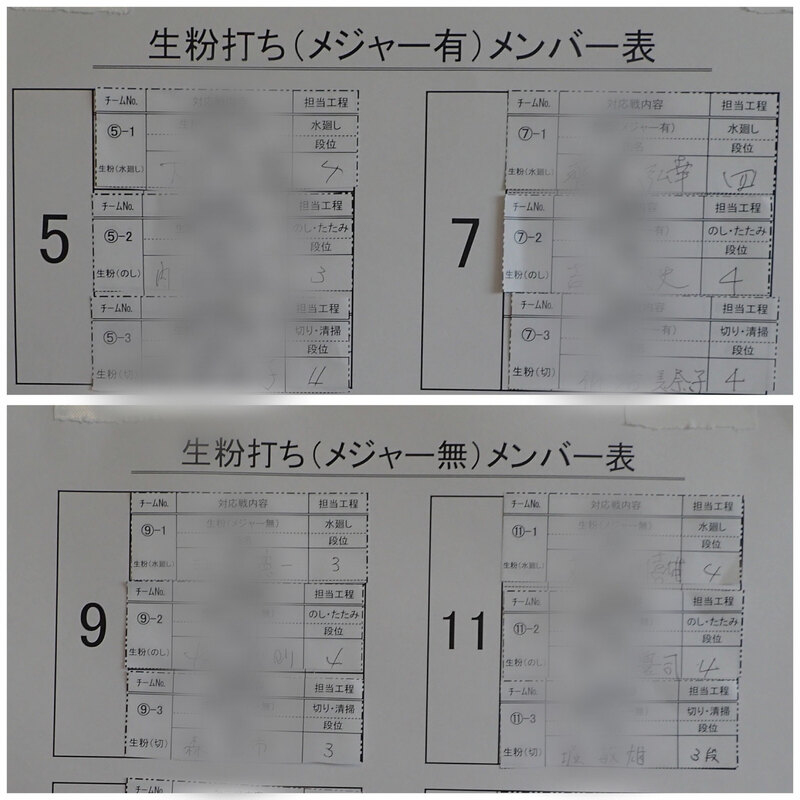 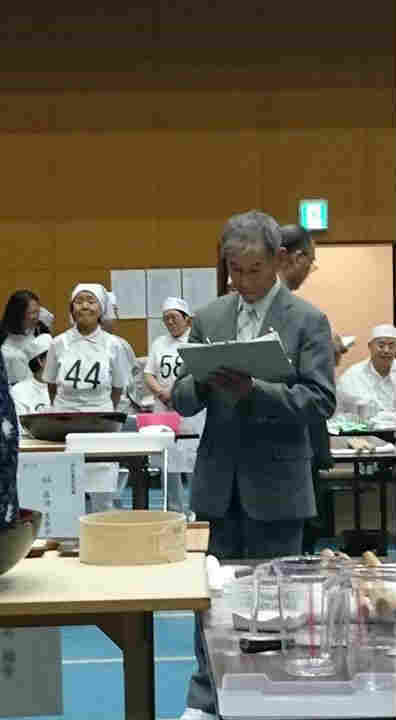 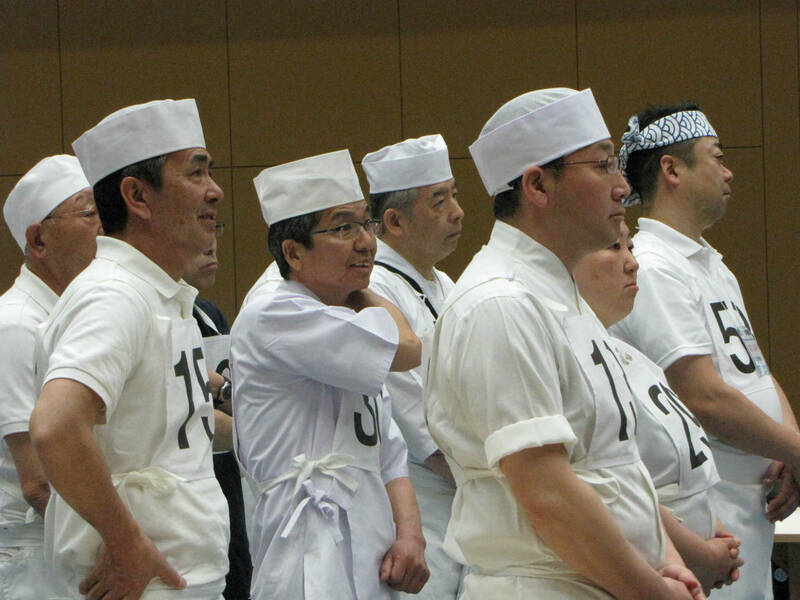 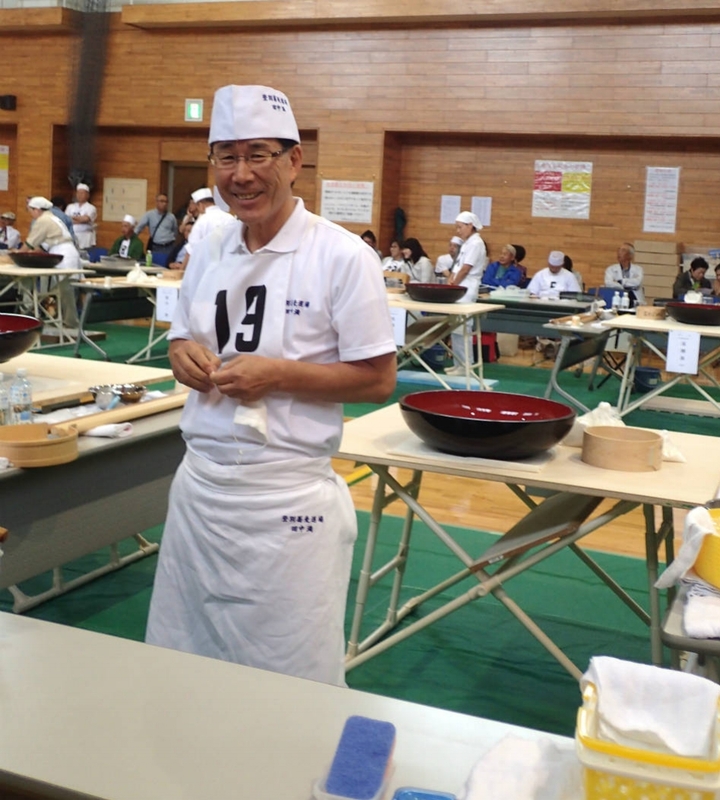 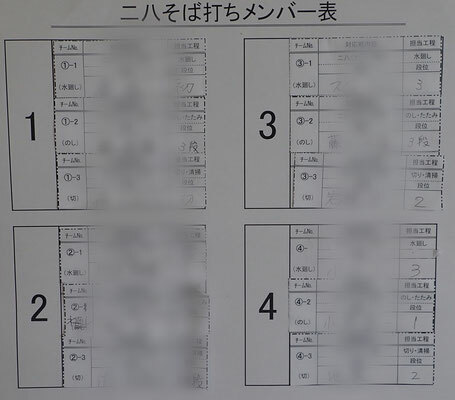 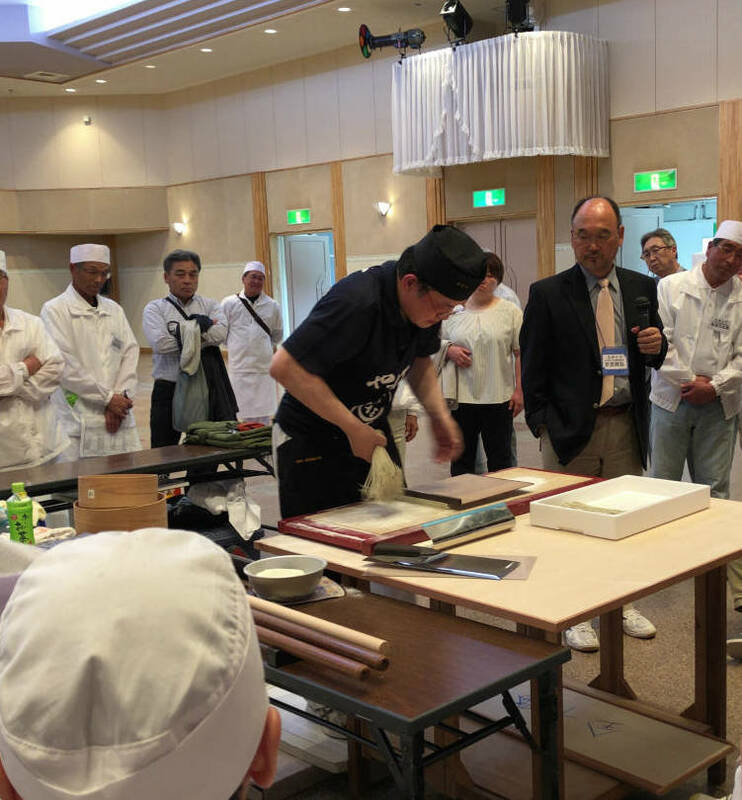 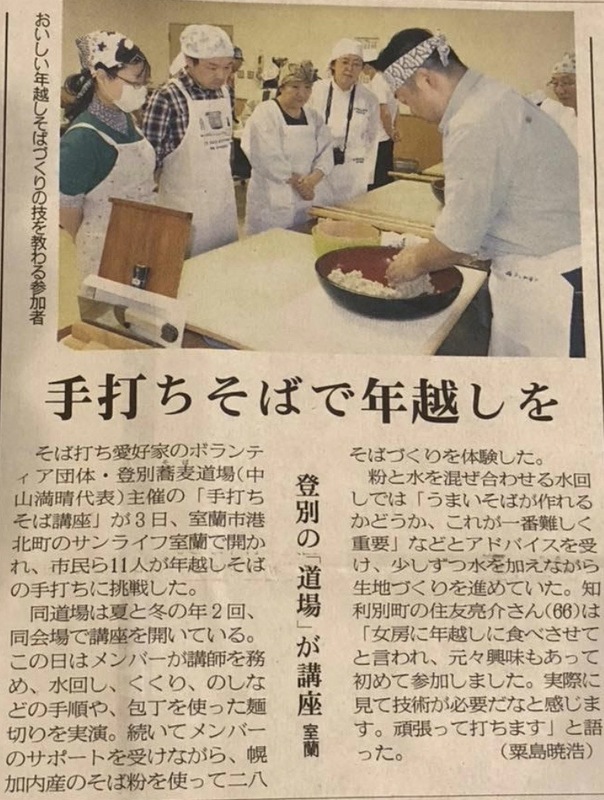 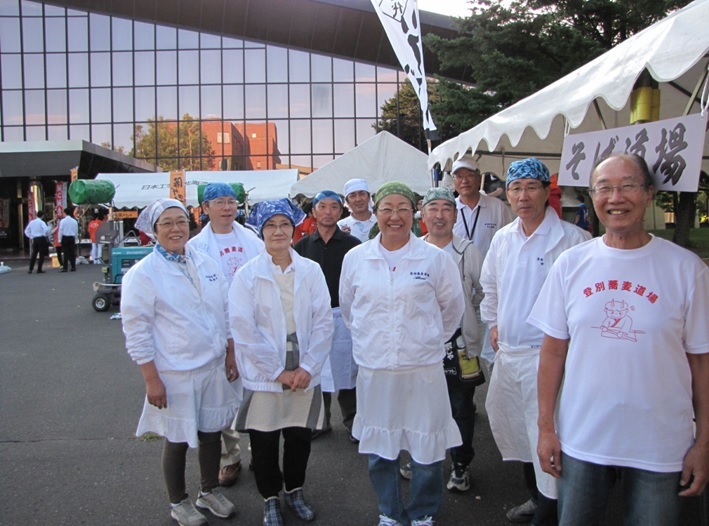 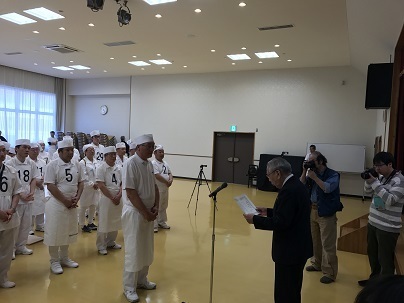 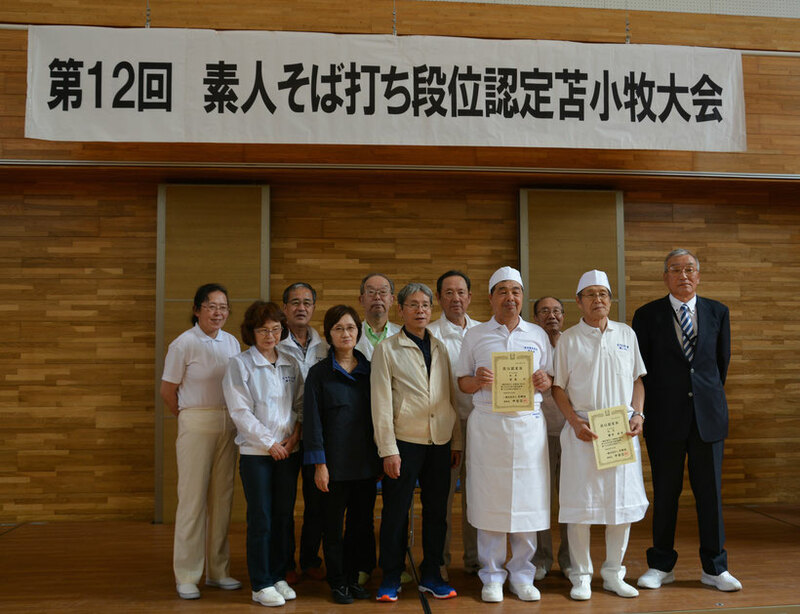 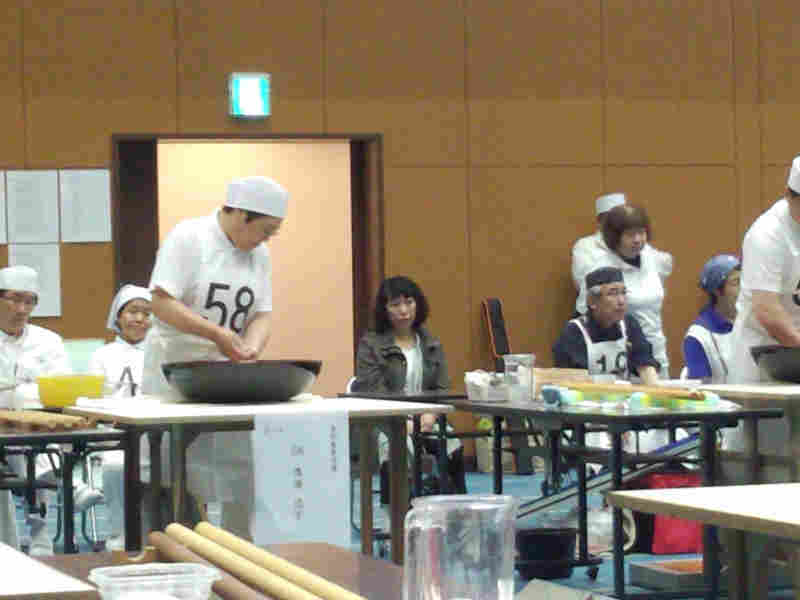 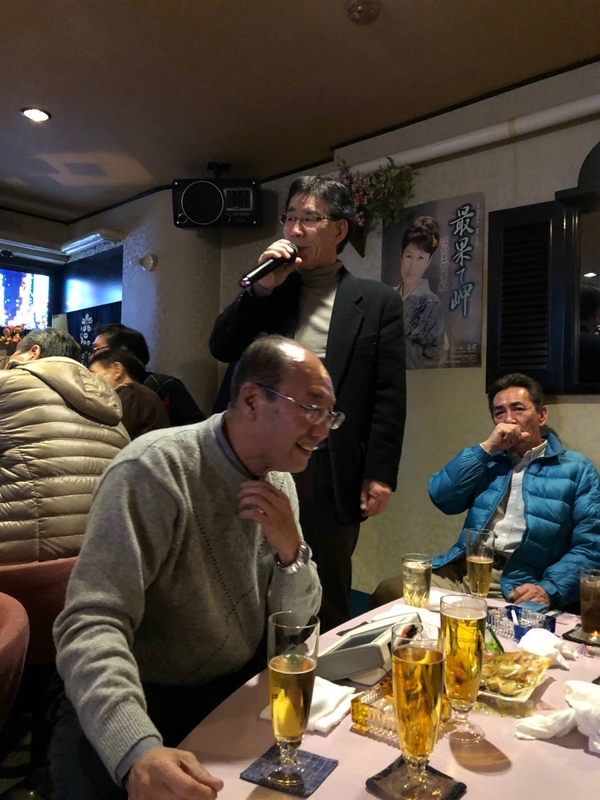 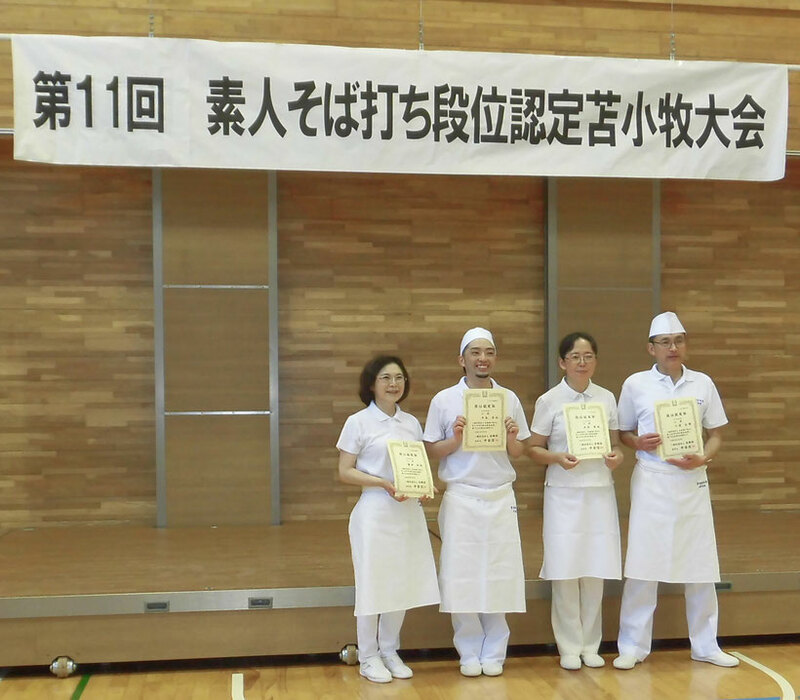 First they saw Mr. Suzuki's demonstration and then they were taught by Mr. Tahara ,Mr.Tanaka and Mr. Omura, one on one hand, for guiding them to buckwheat noodles. 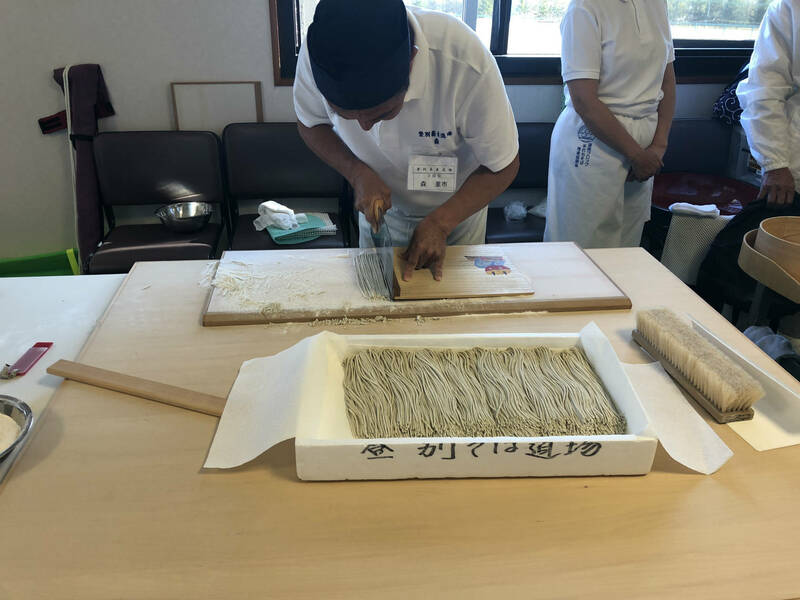 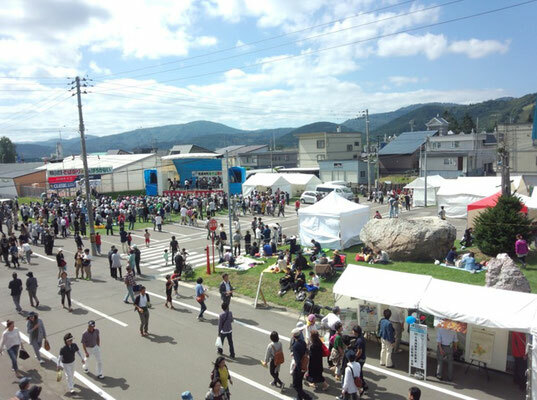 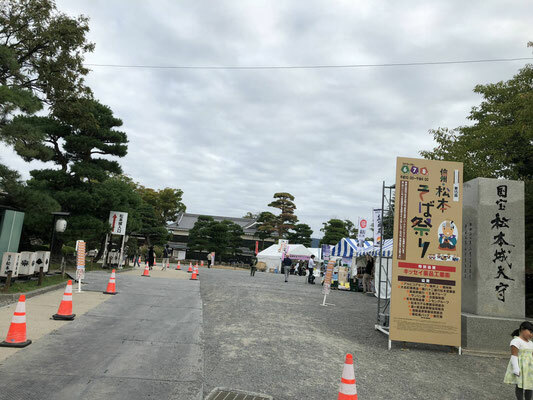 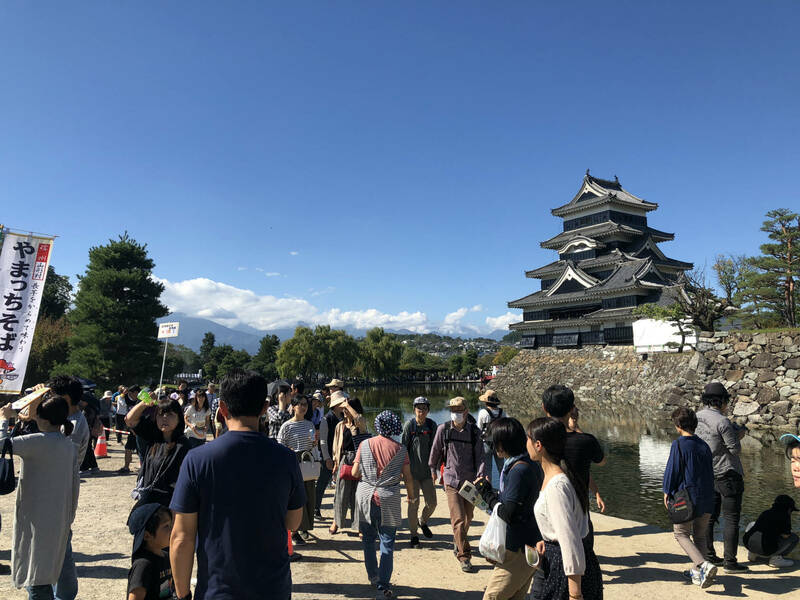 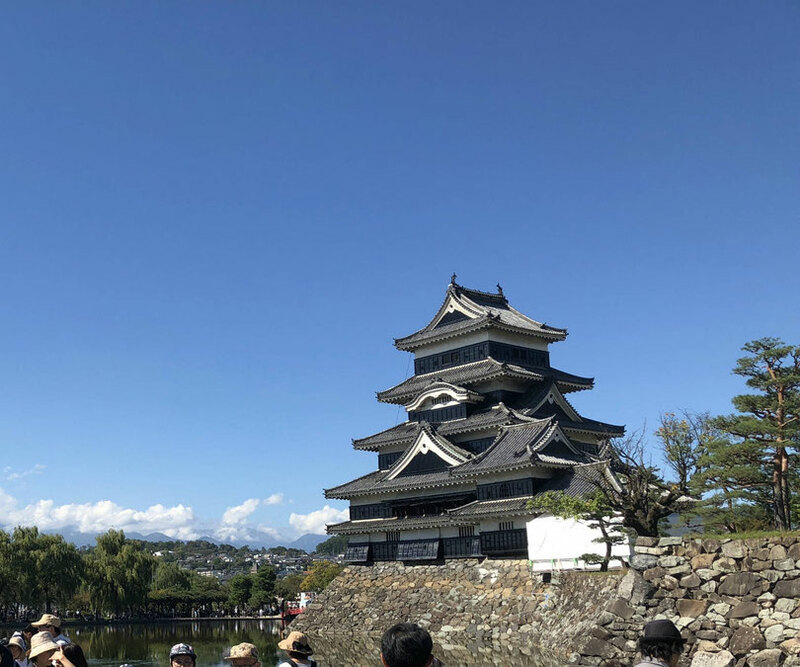 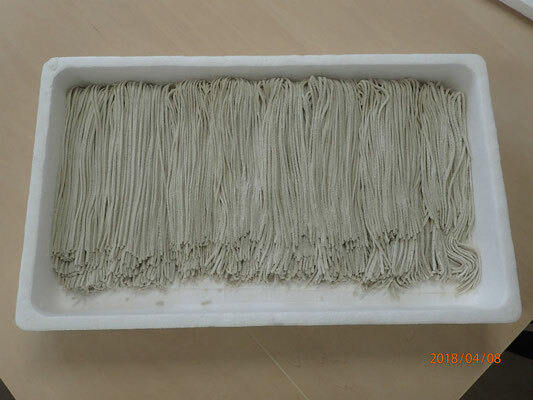 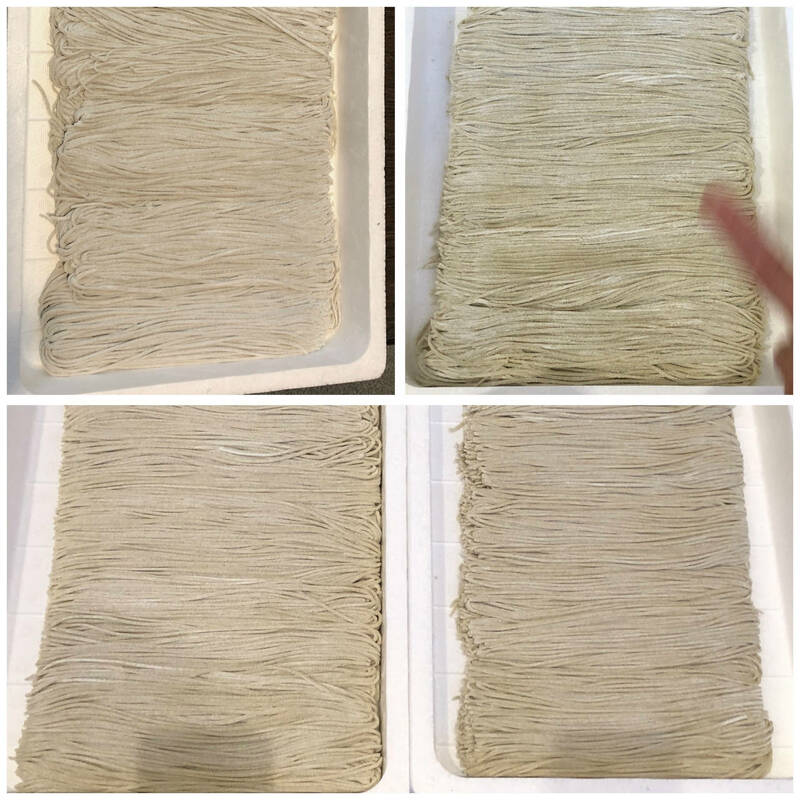 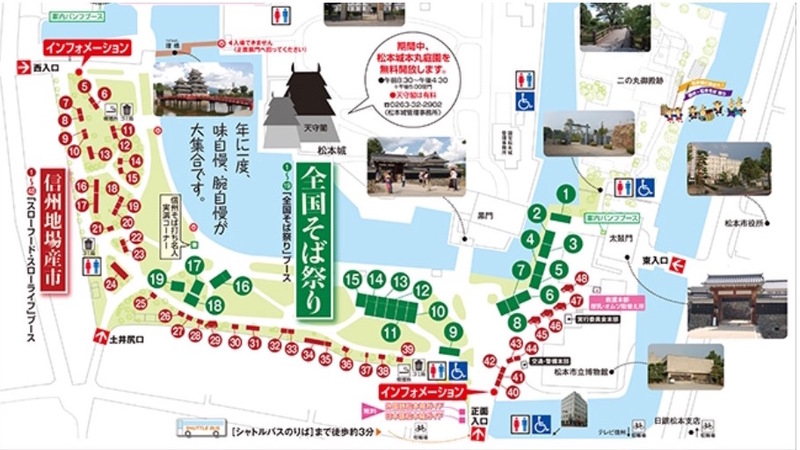 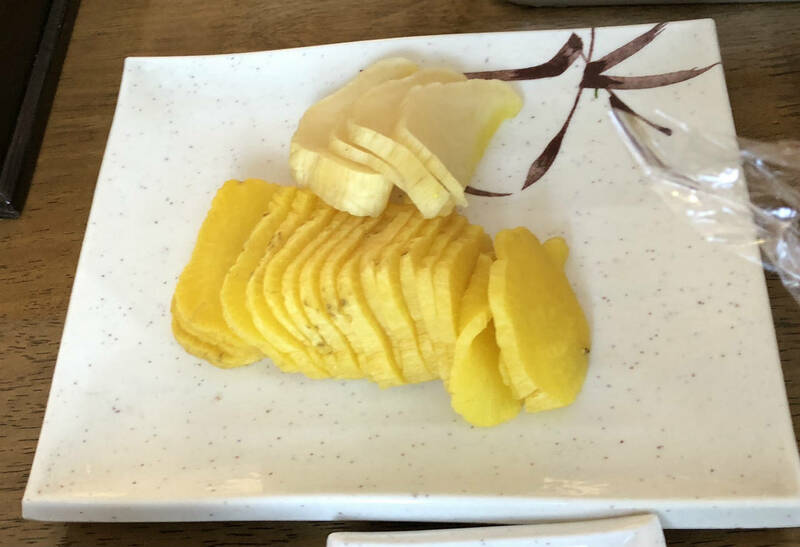 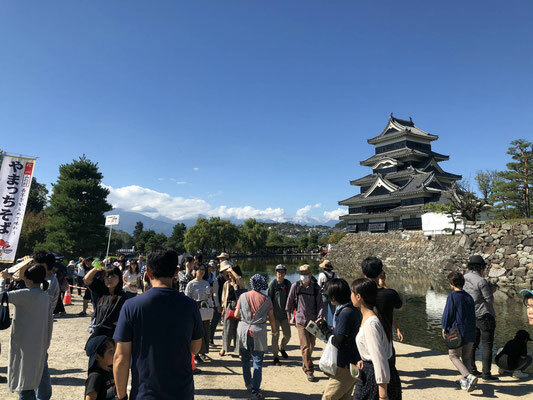 They finished cutting it safely, packing all the noodles for taking home, and we ate the soba noodles that Mr.Suzuki made last time for our lunch. 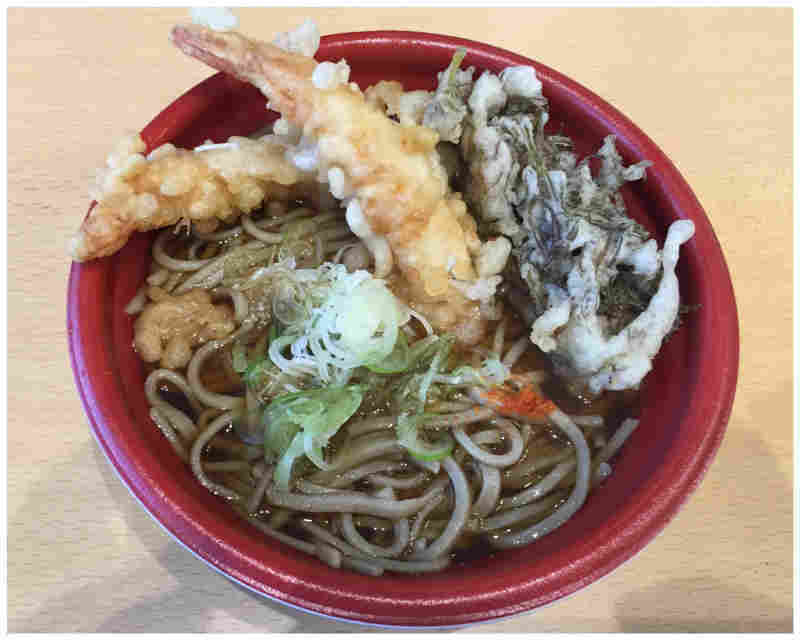 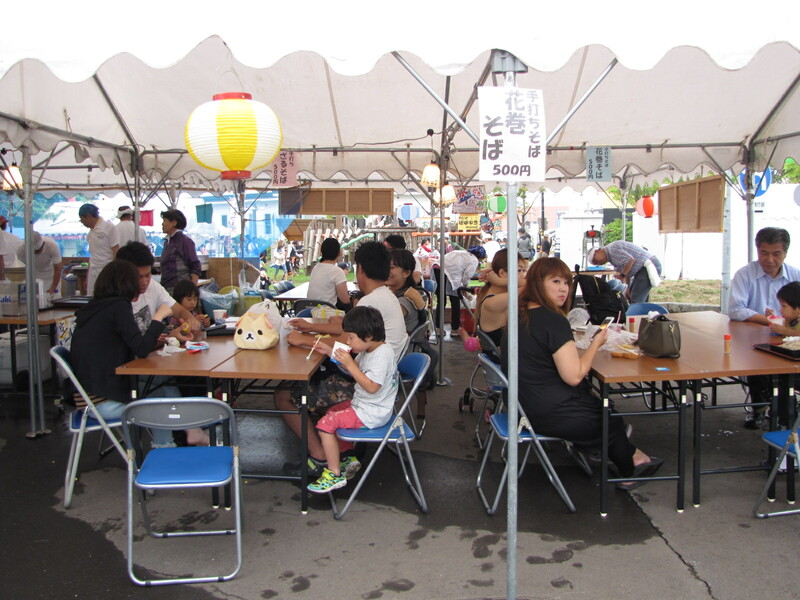 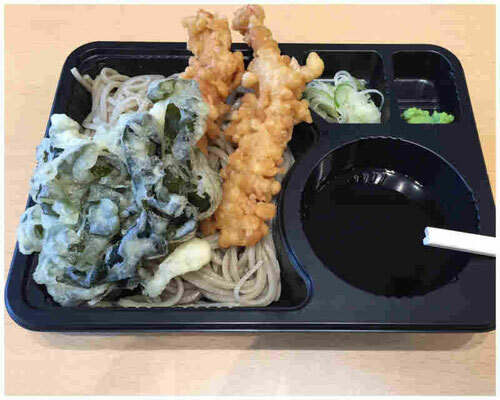 We enjoyed Japanese soba with delicious tempura made by Ms. Konno.